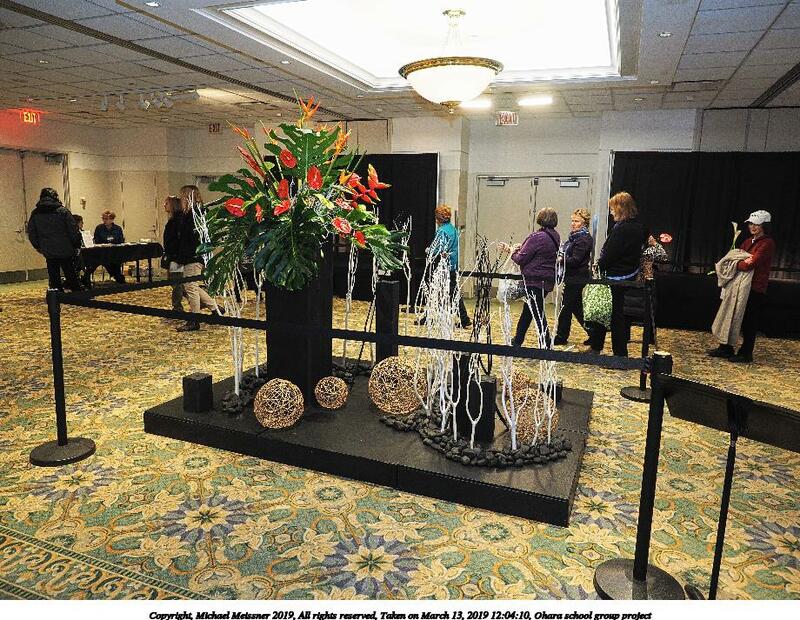 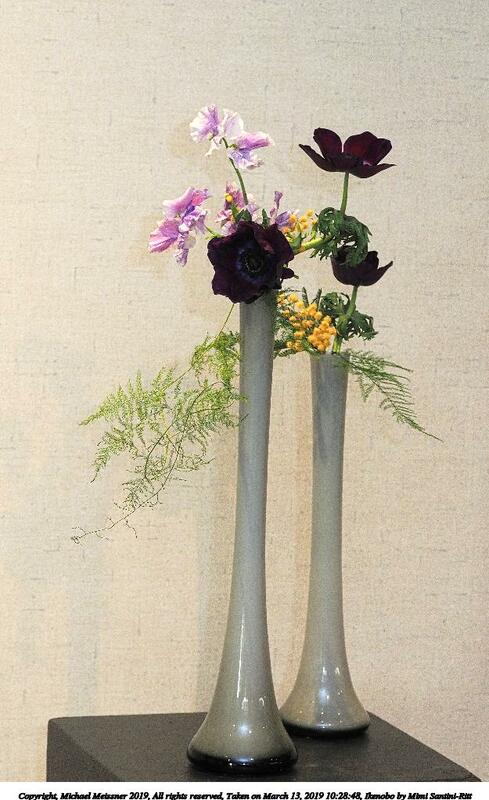 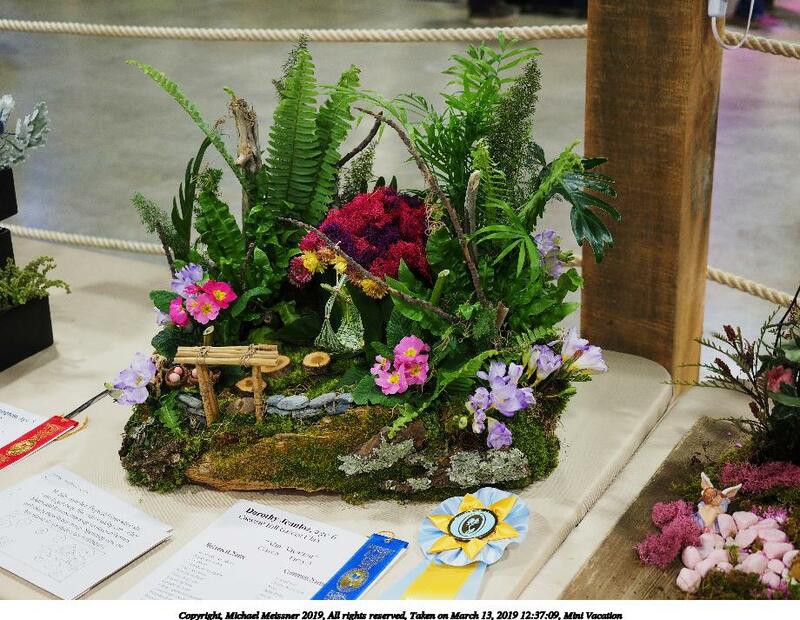 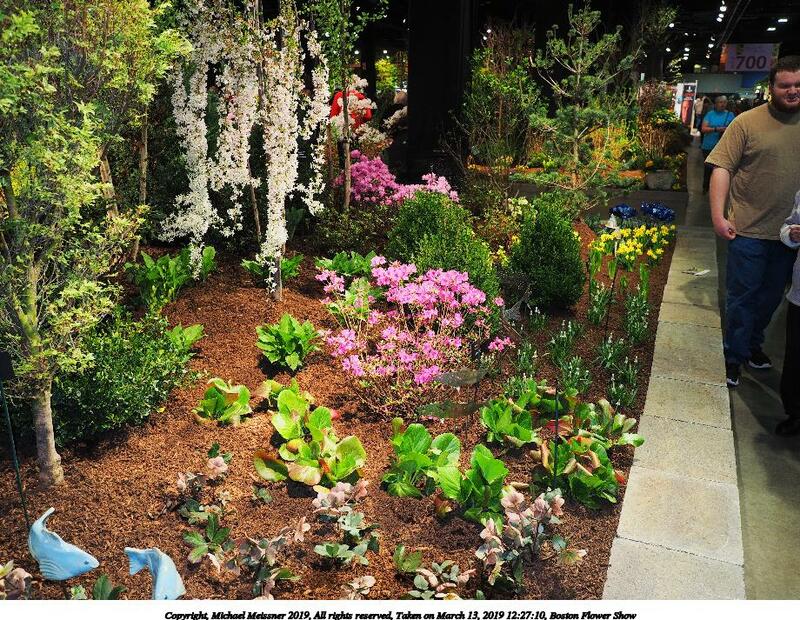 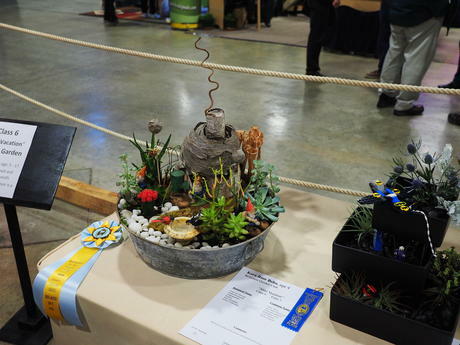 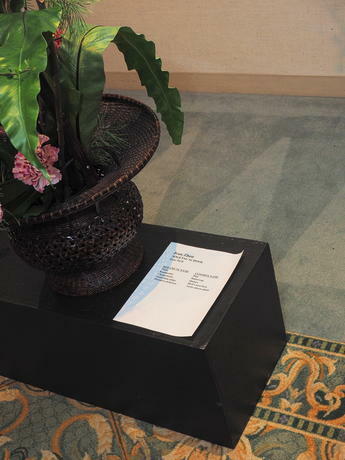 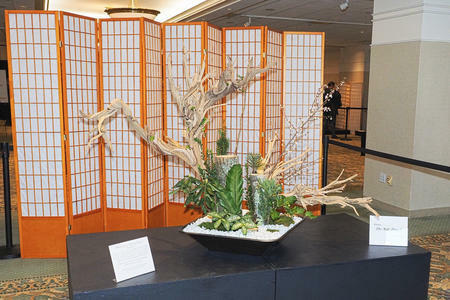 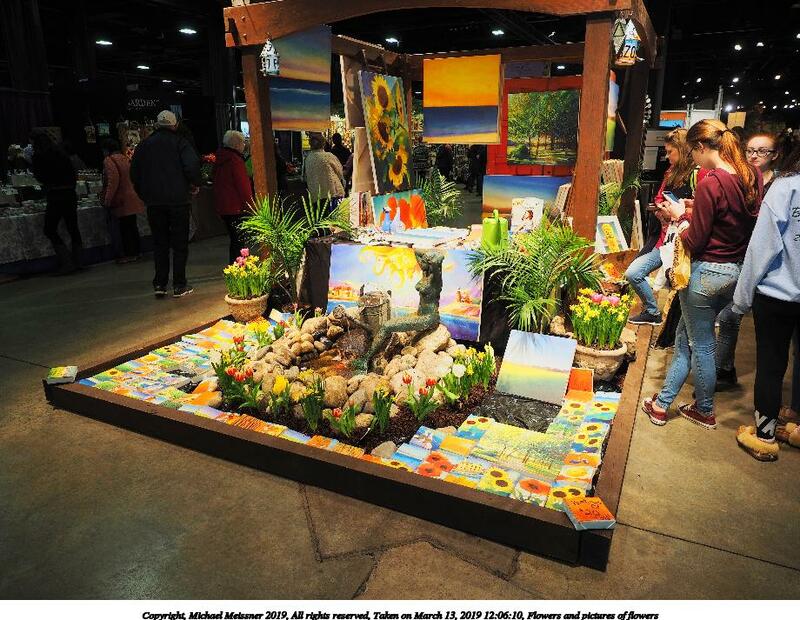 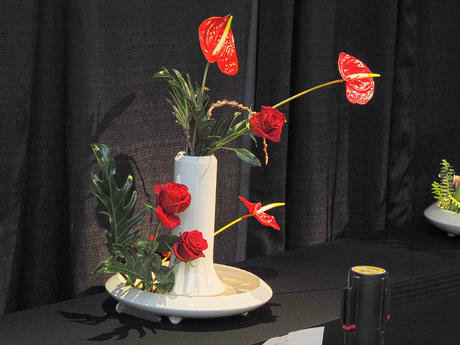 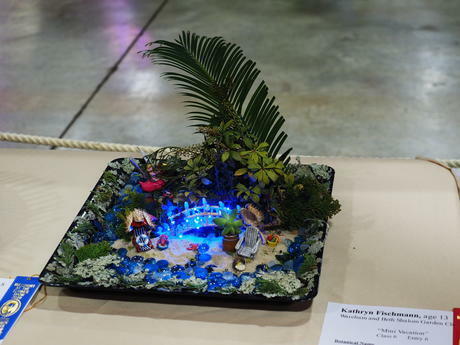 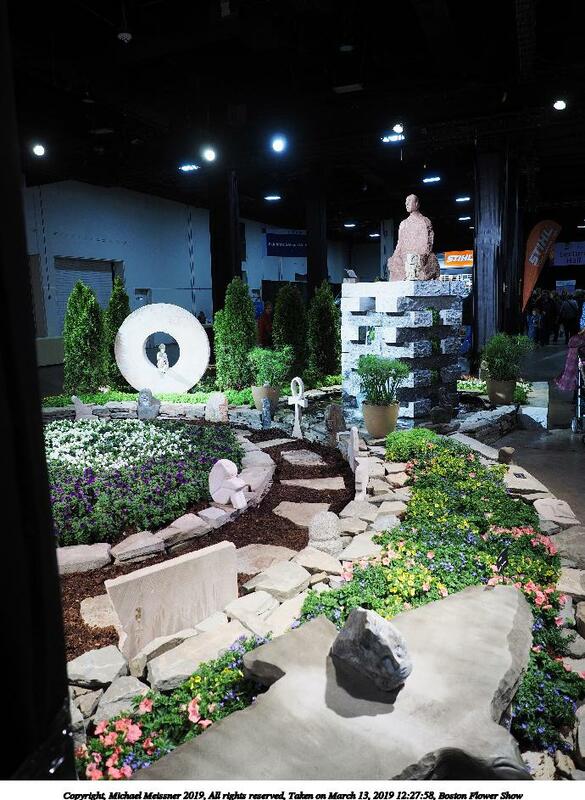 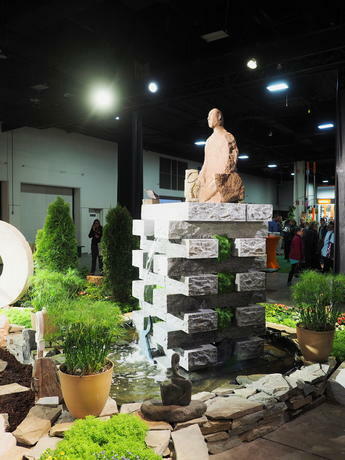 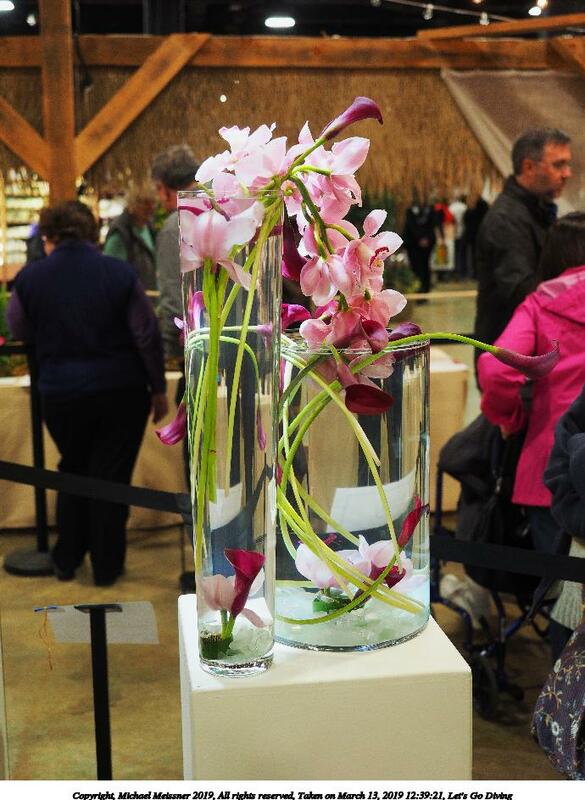 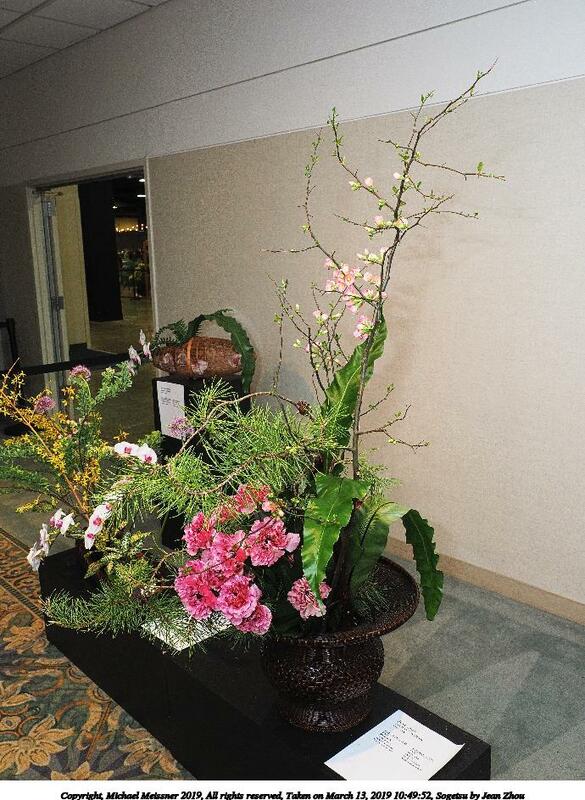 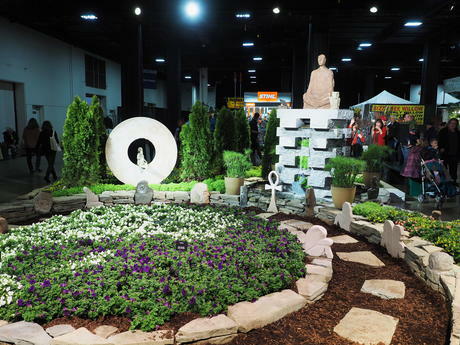 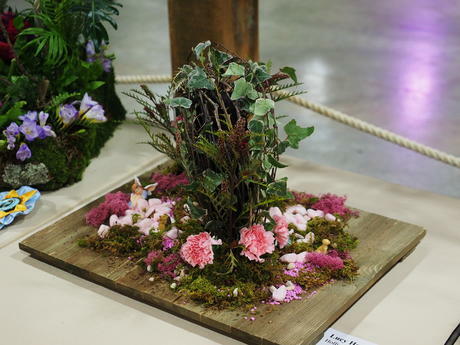 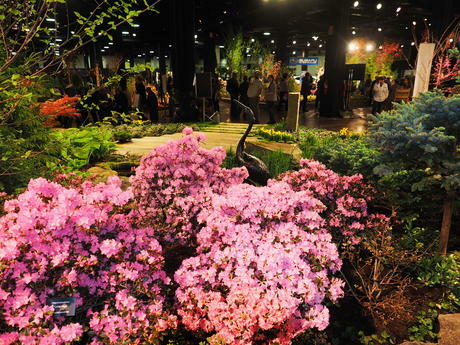 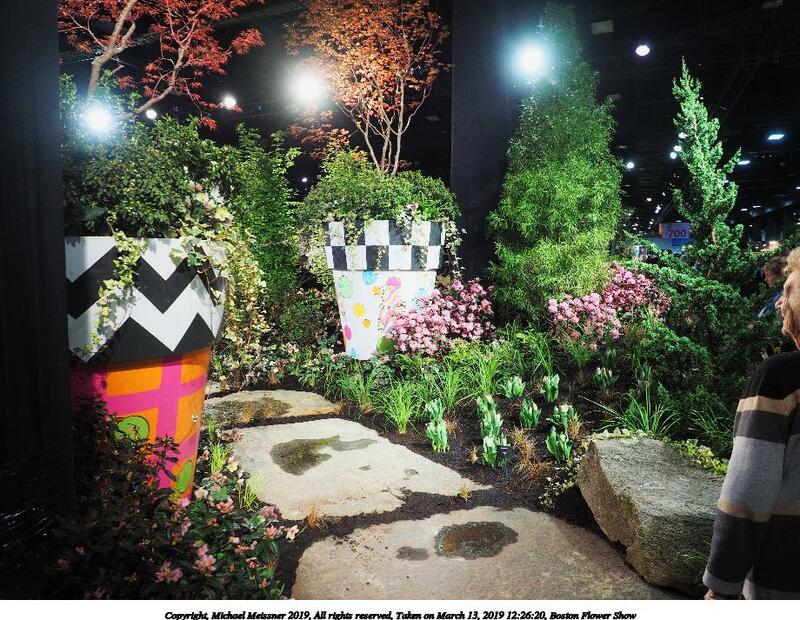 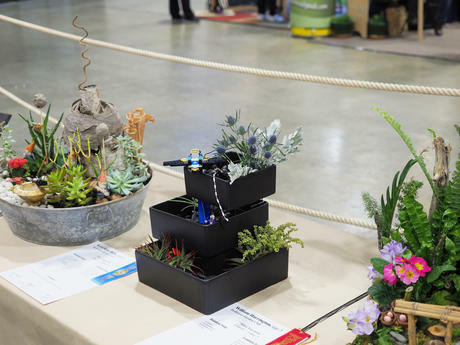 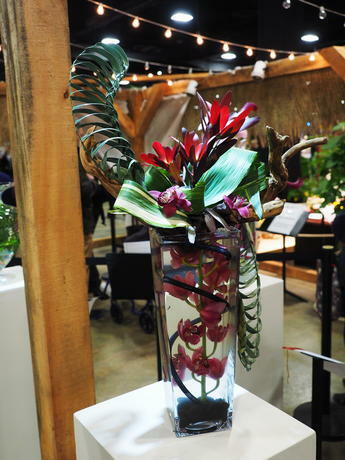 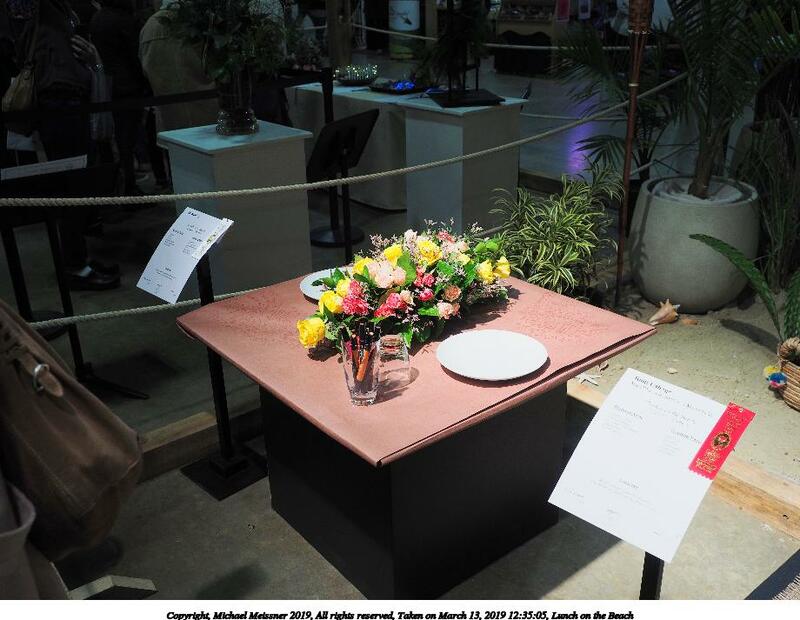 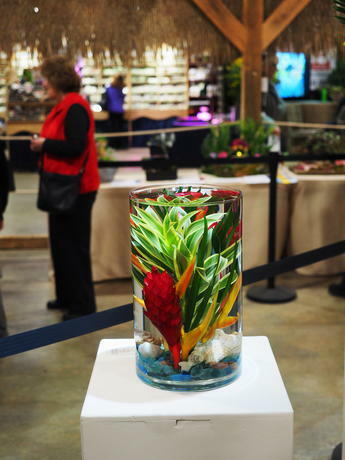 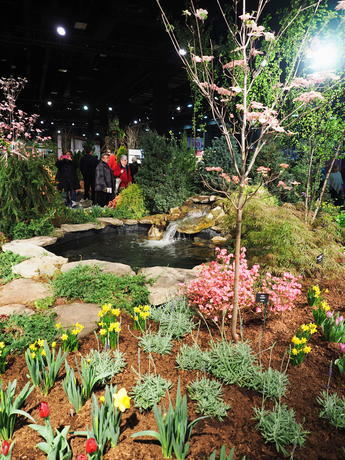 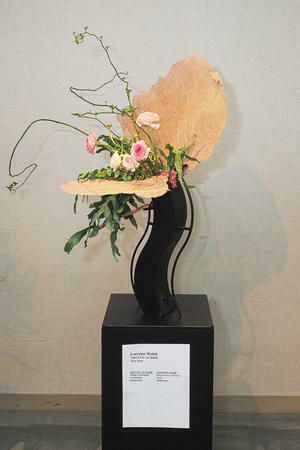 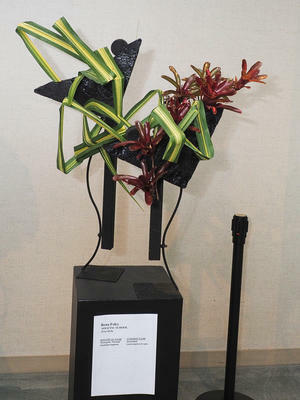 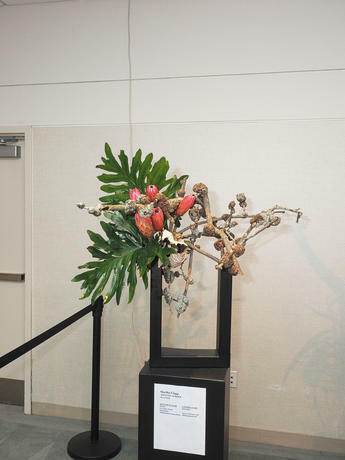 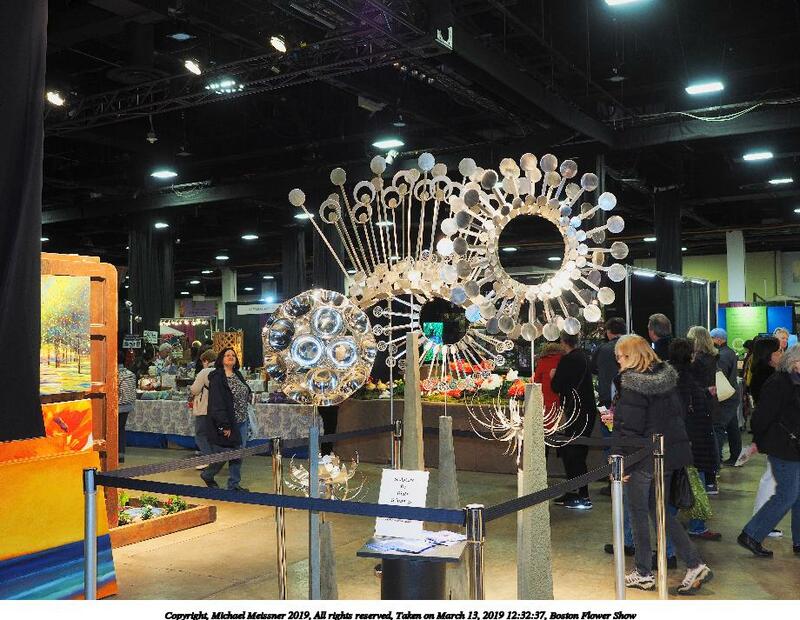 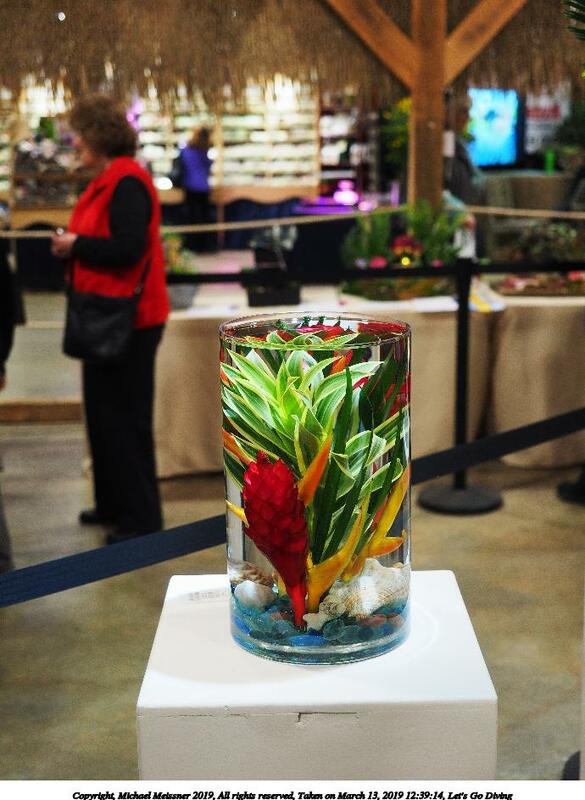 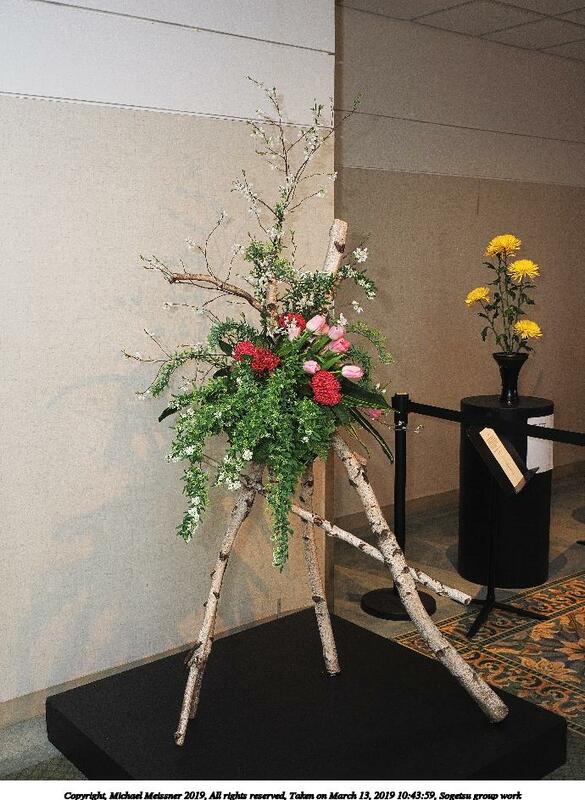 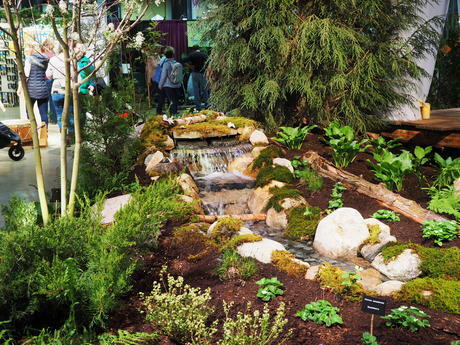 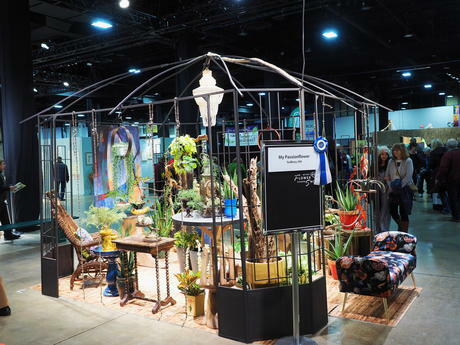 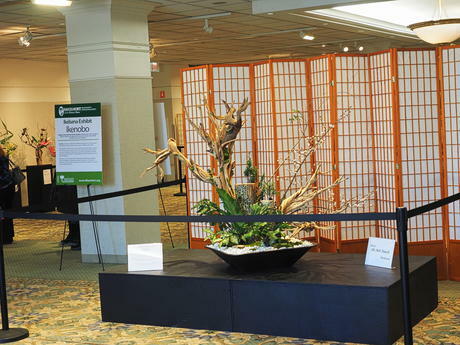 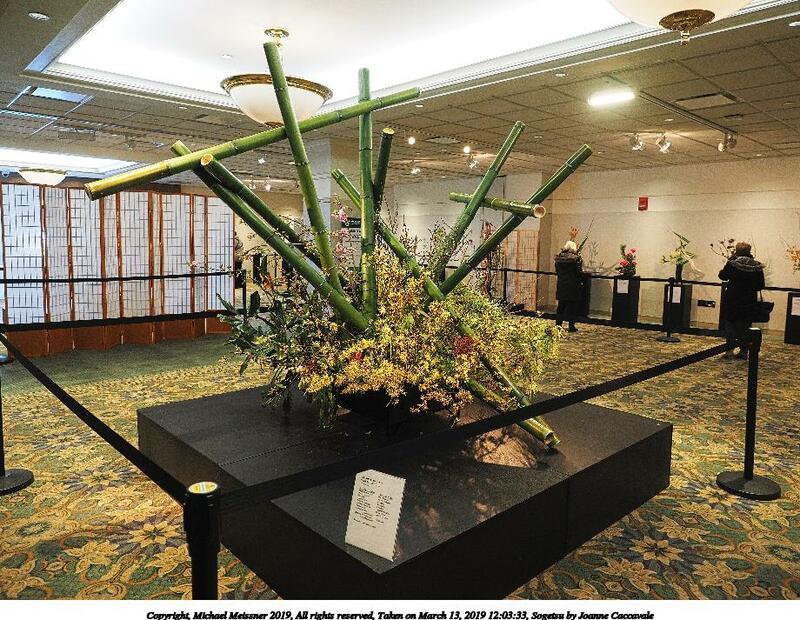 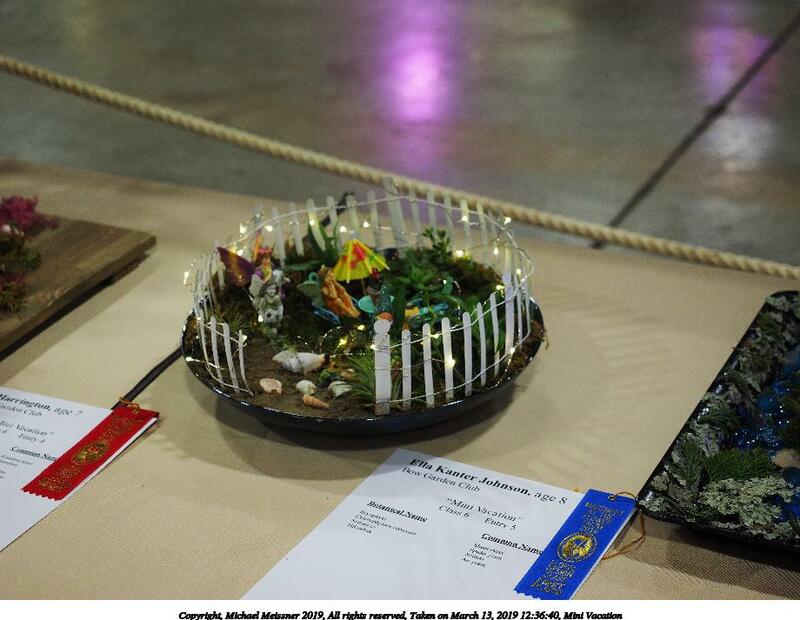 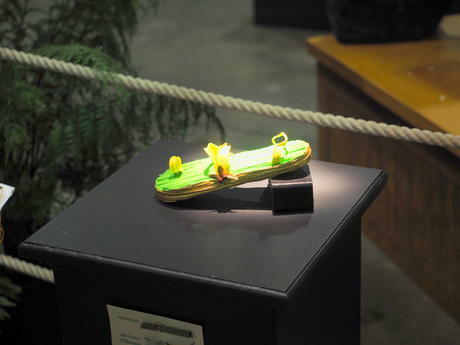 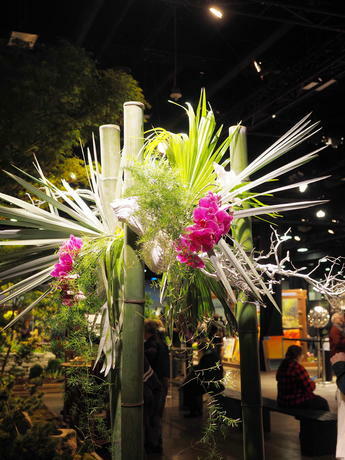 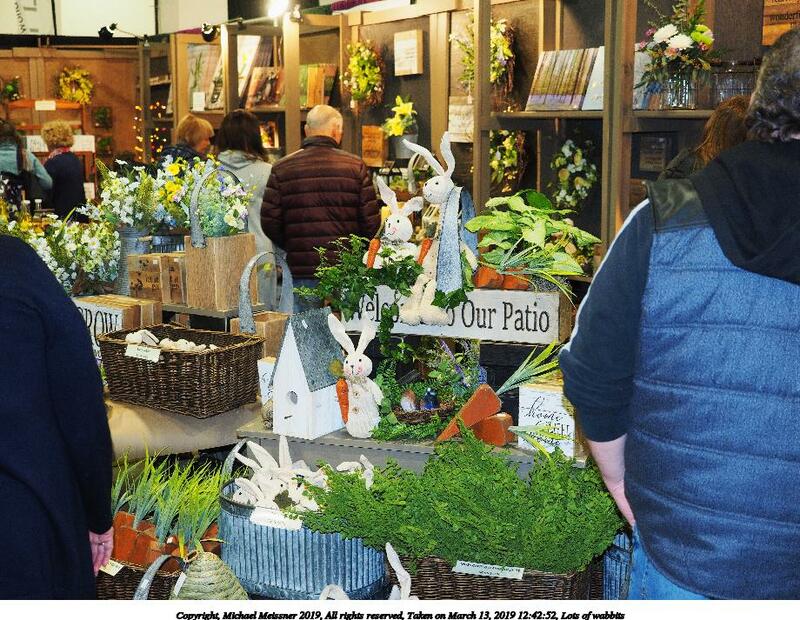 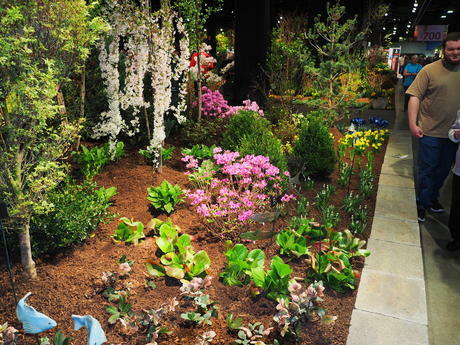 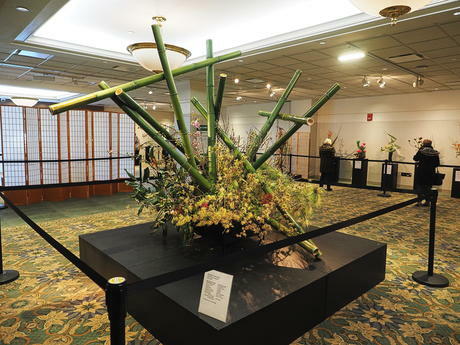 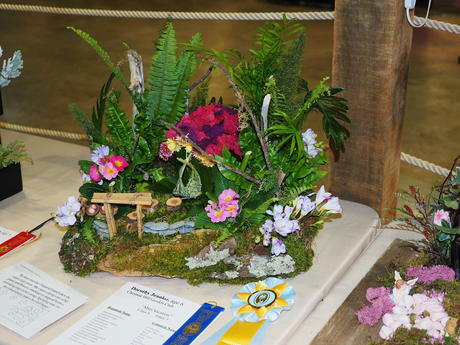 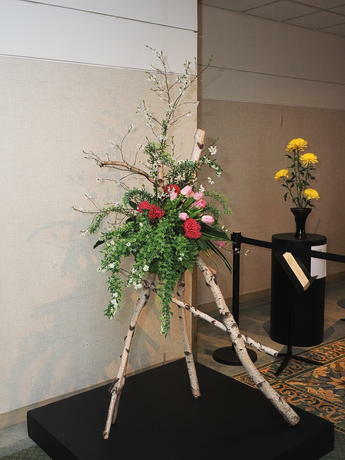 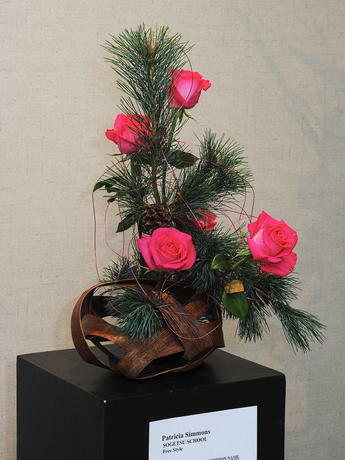 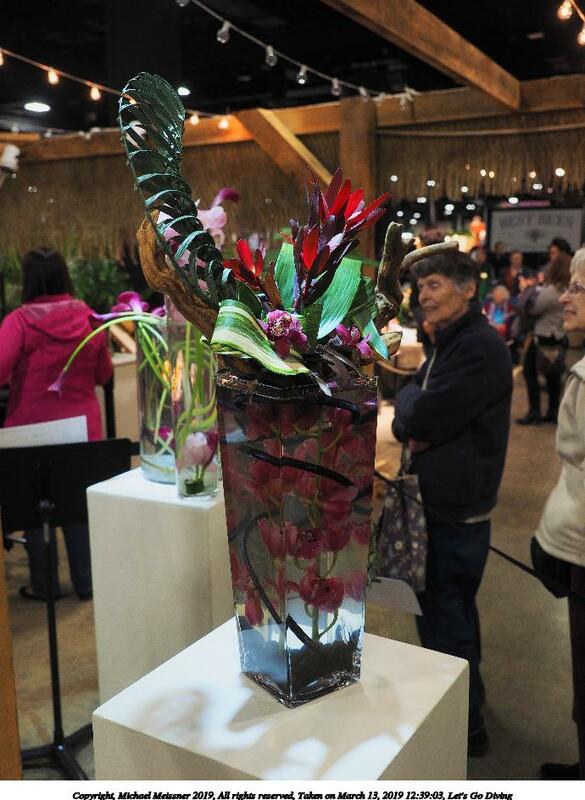 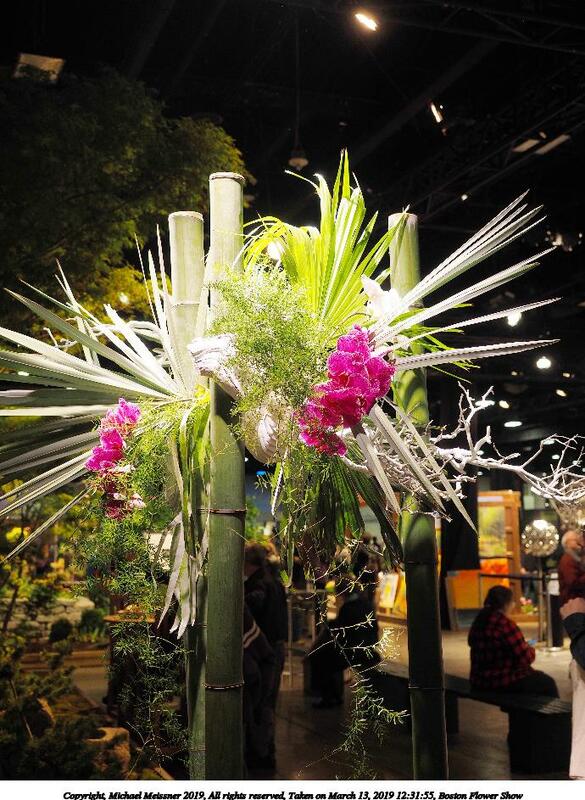 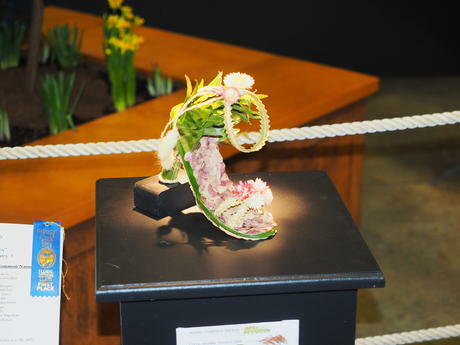 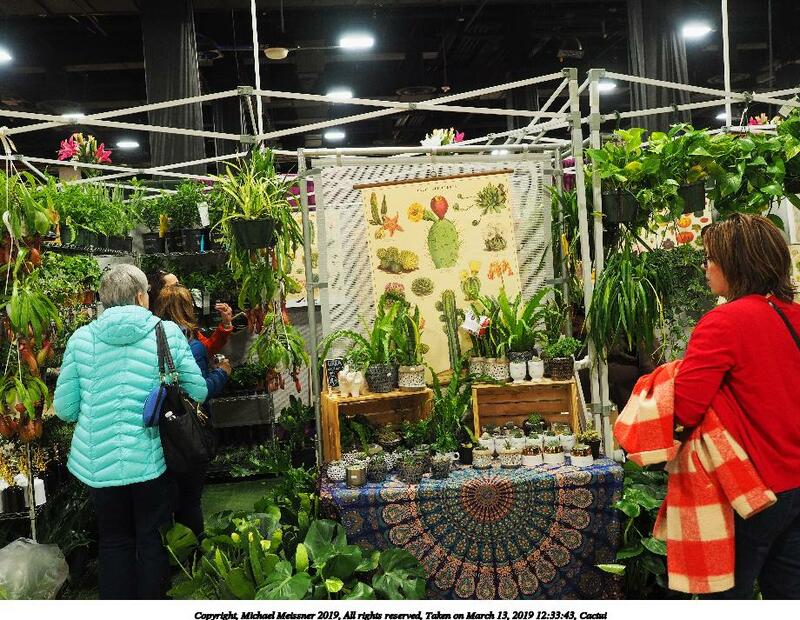 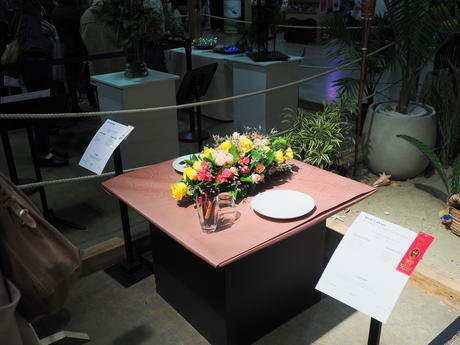 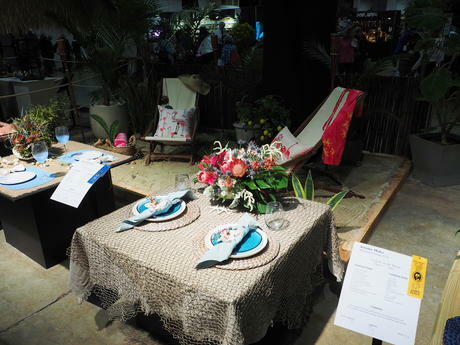 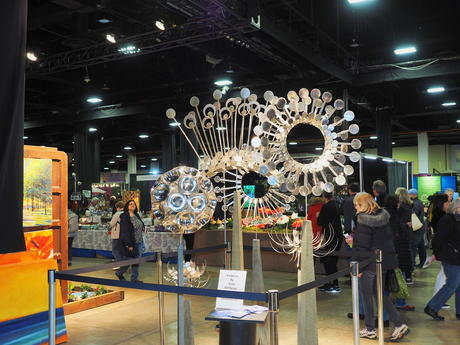 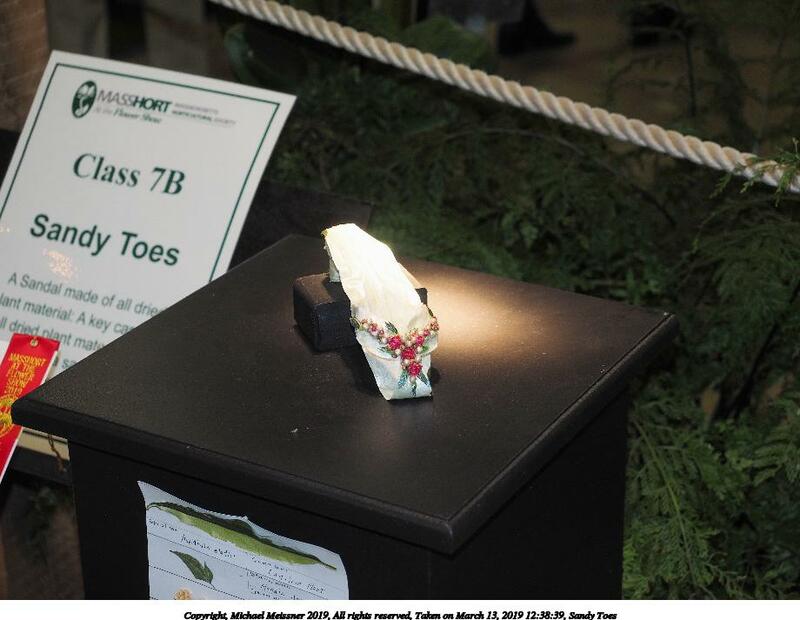 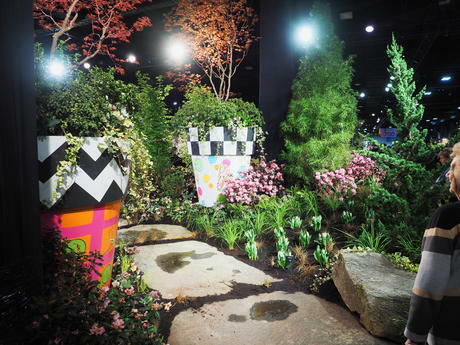 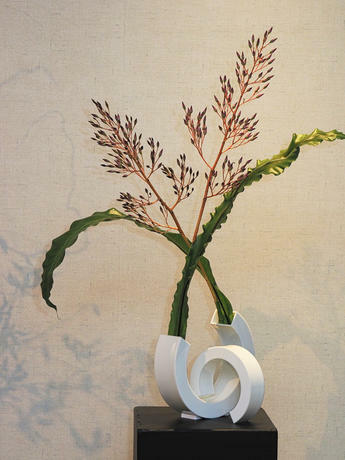 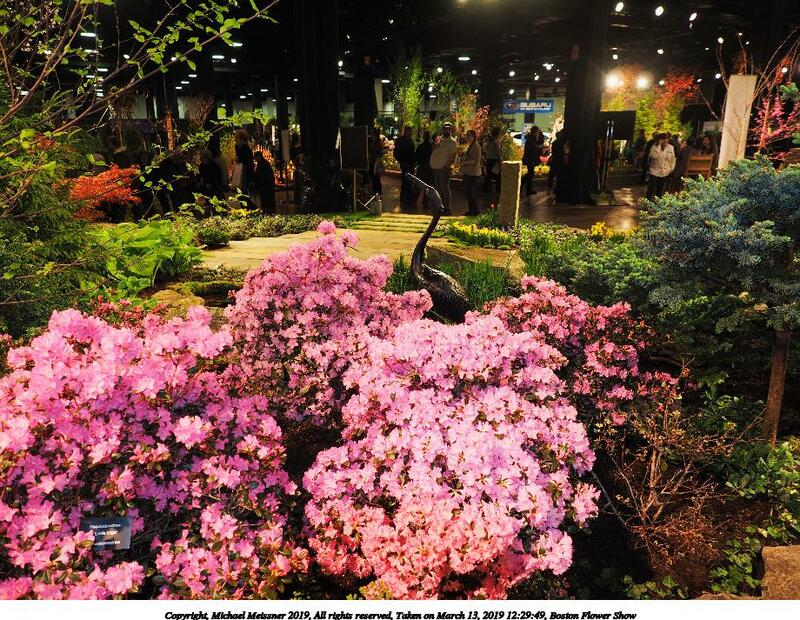 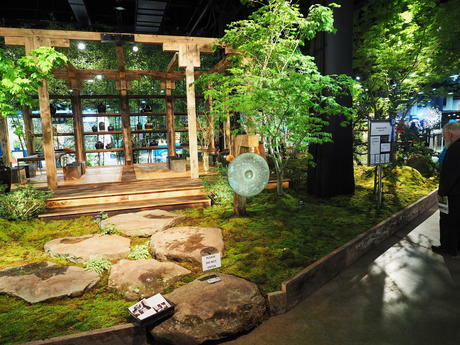 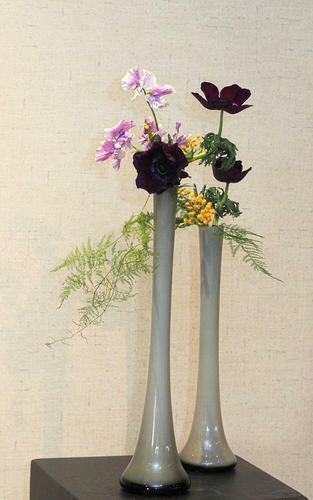 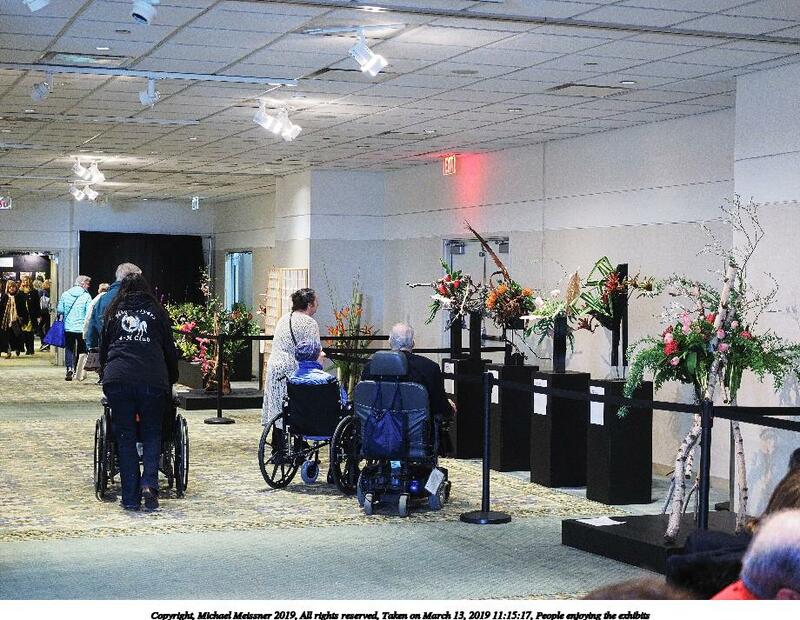 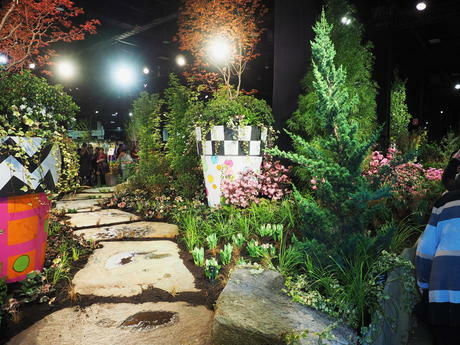 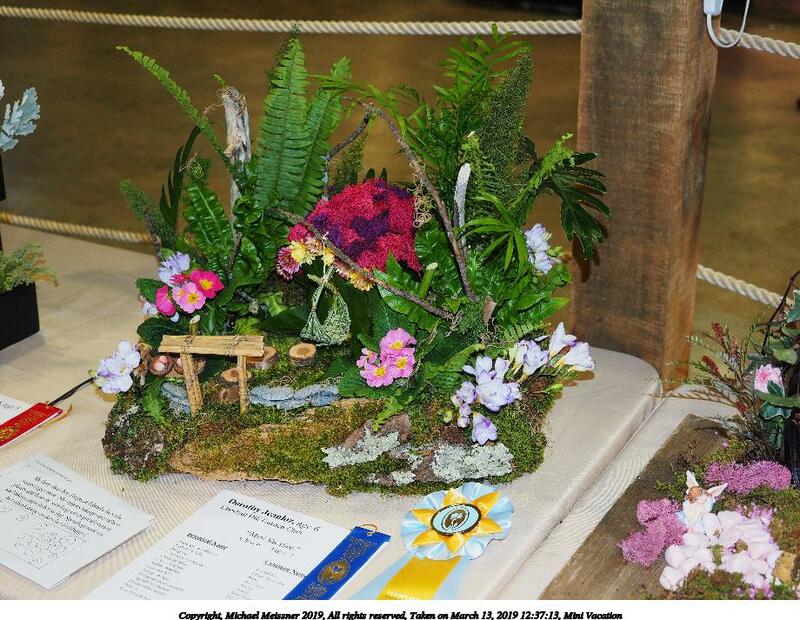 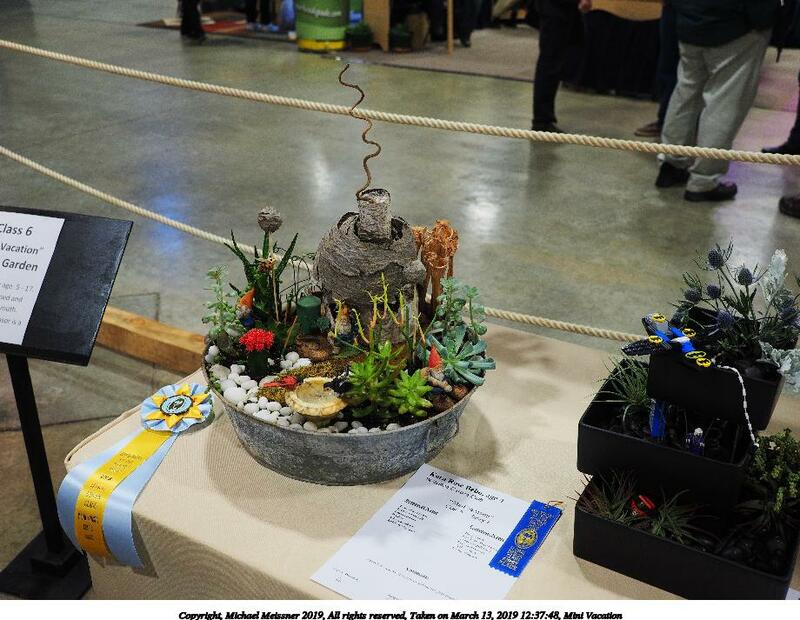 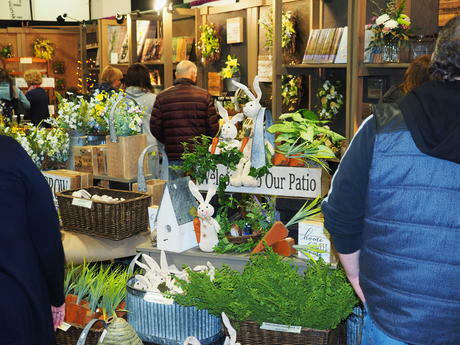 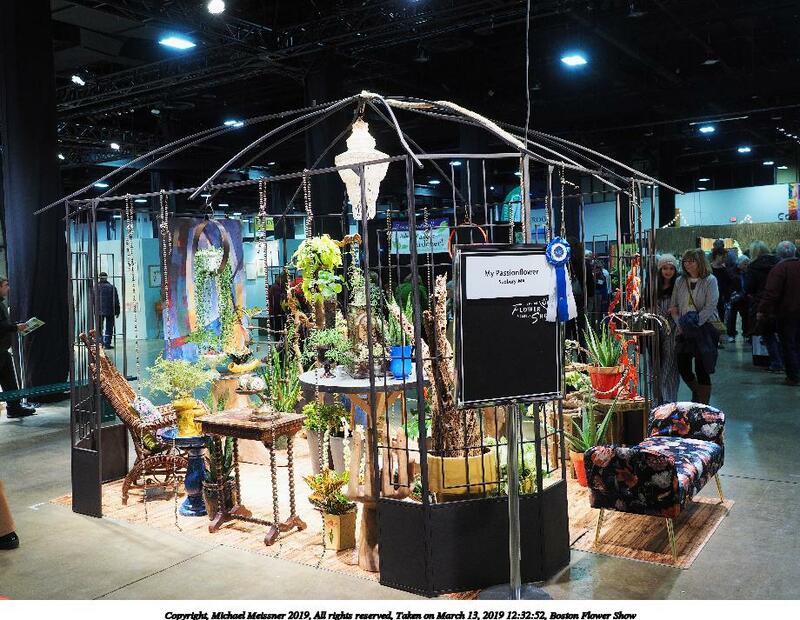 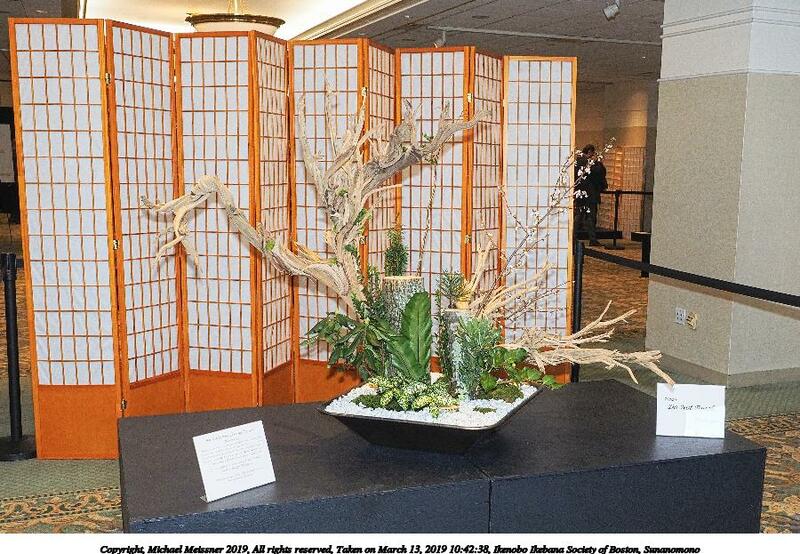 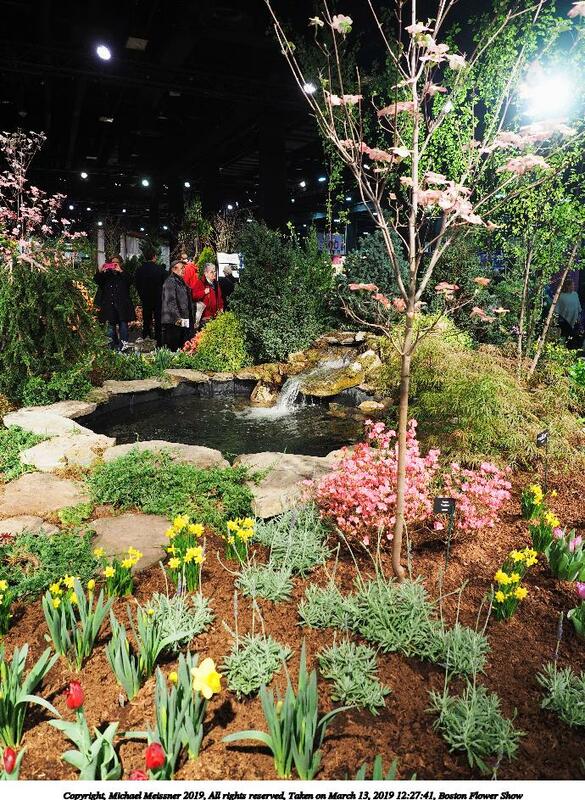 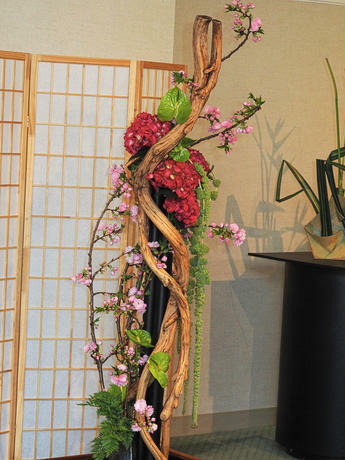 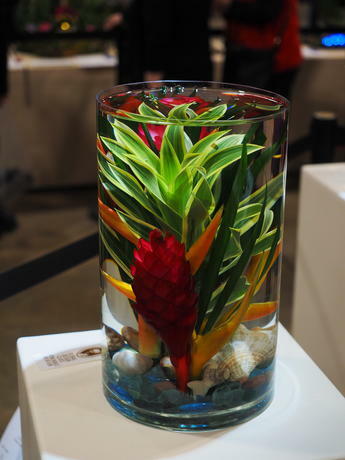 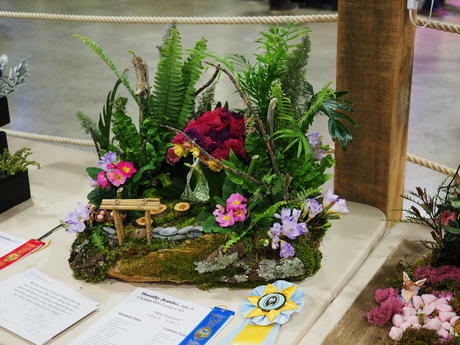 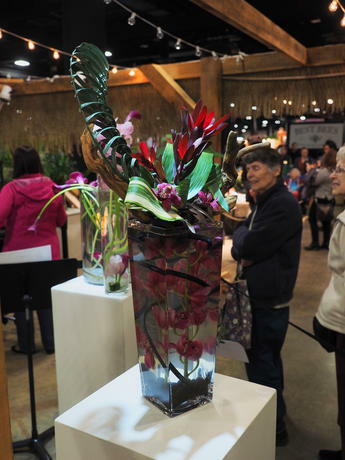 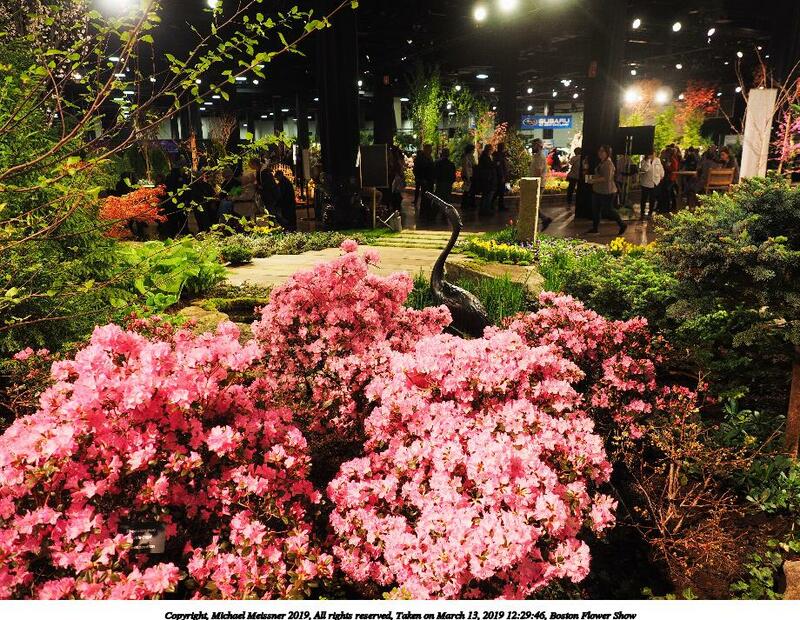 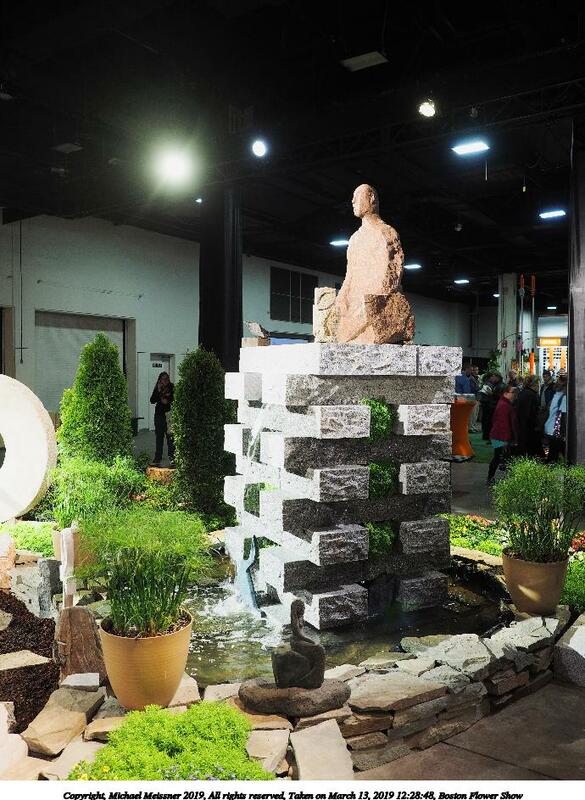 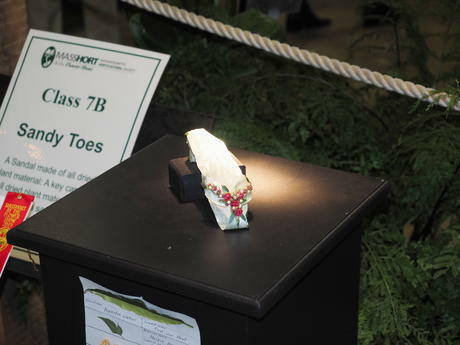 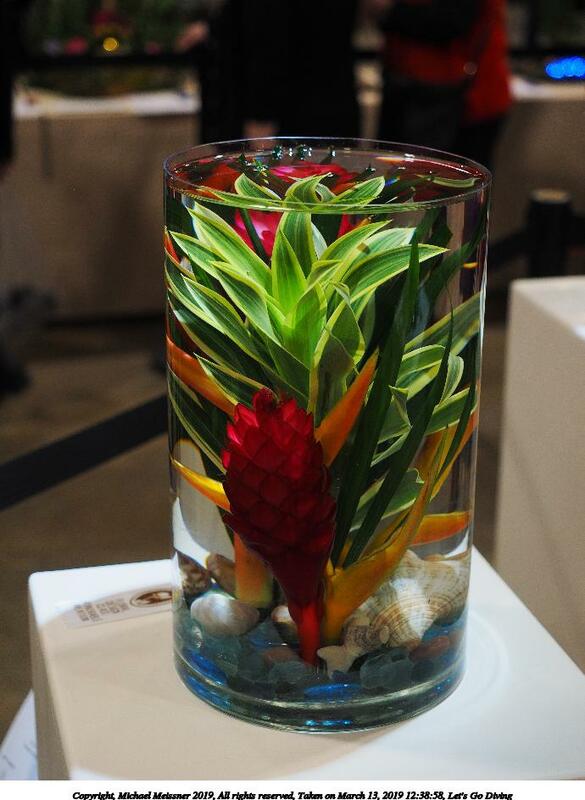 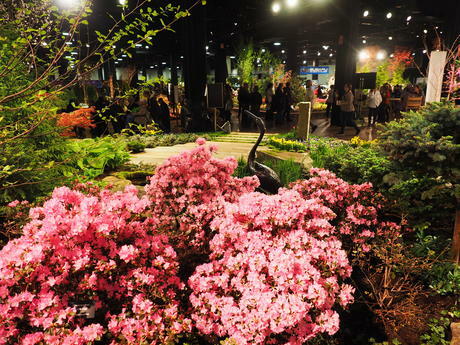 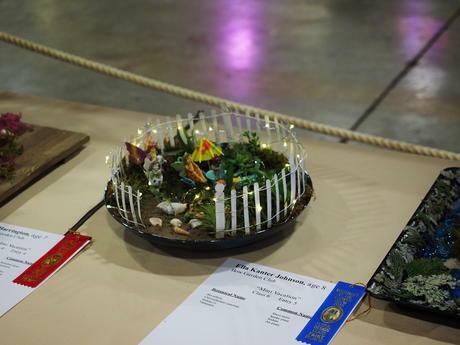 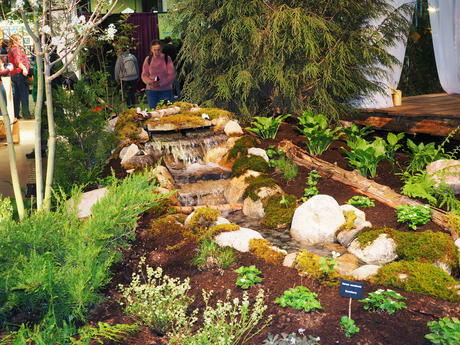 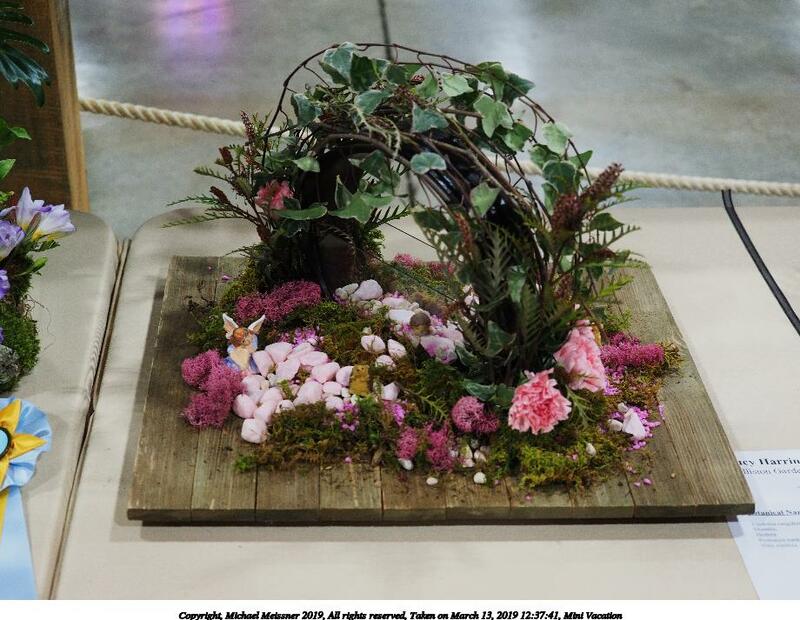 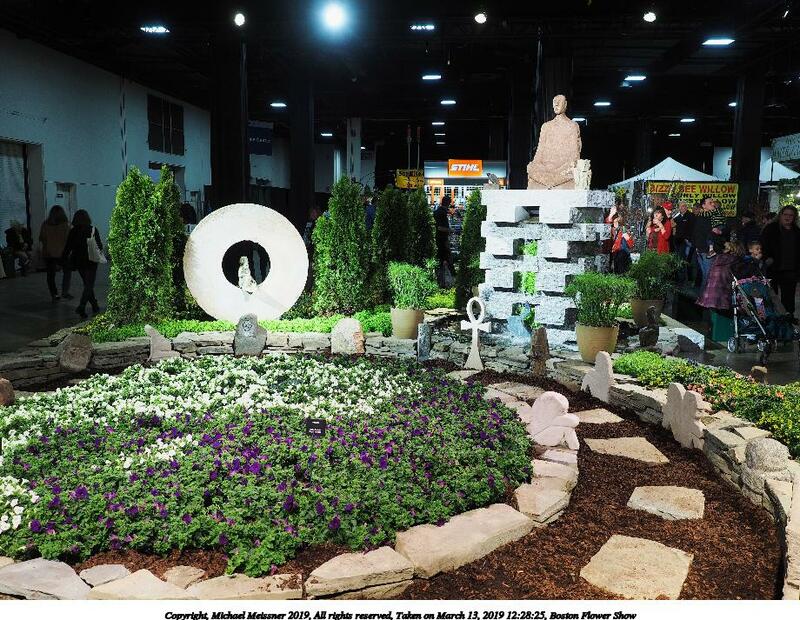 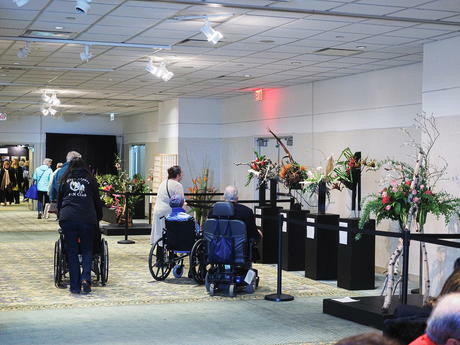 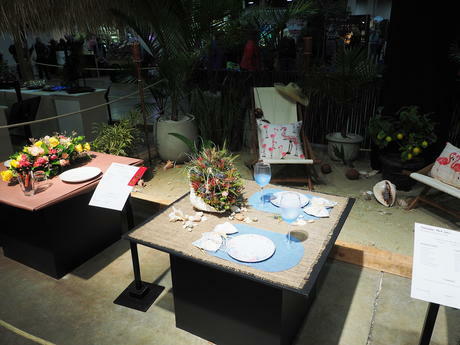 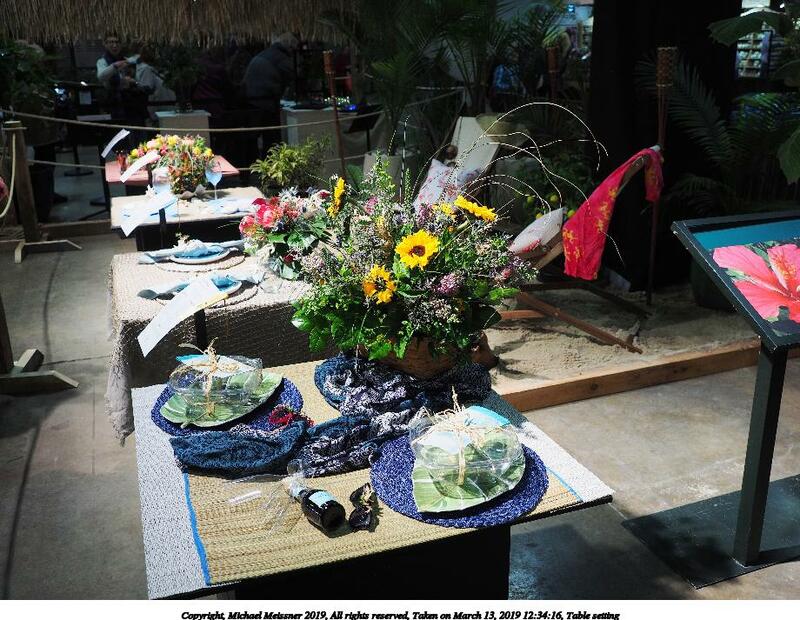 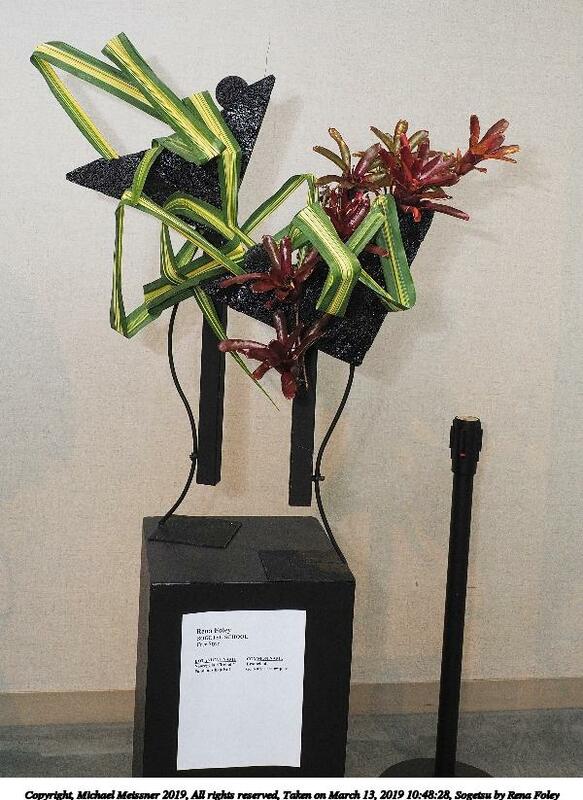 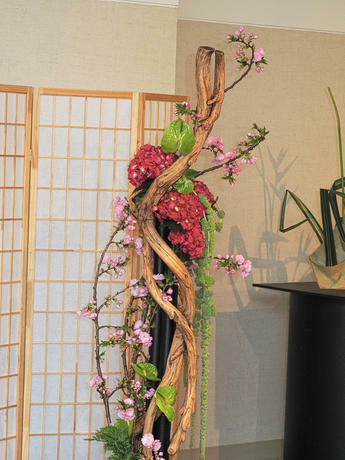 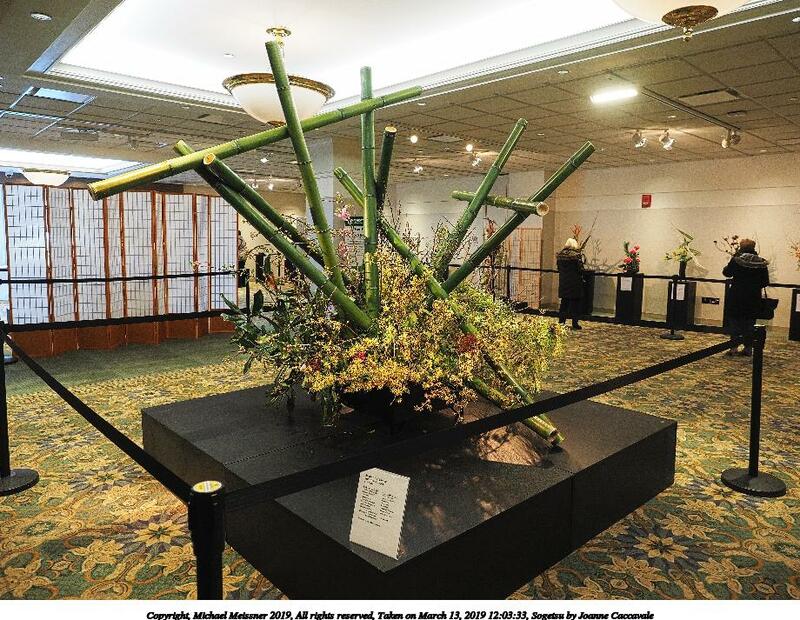 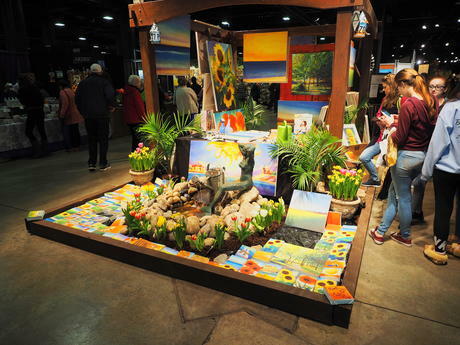 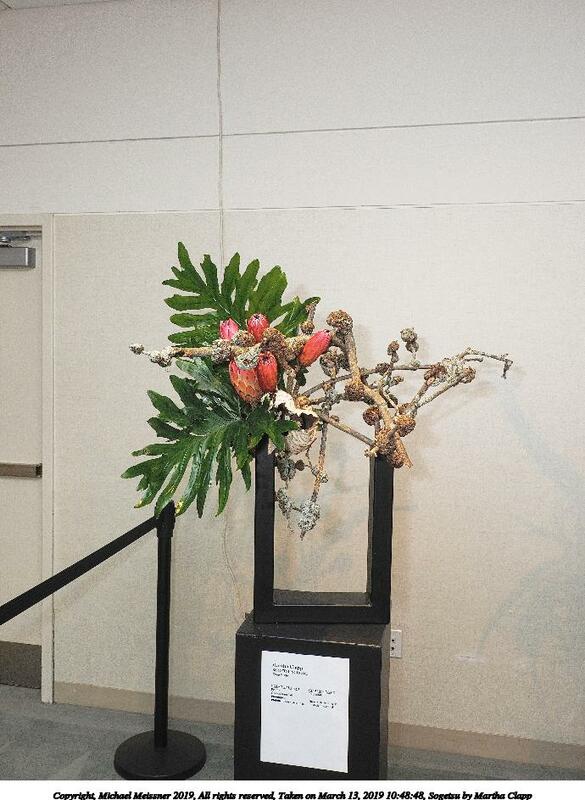 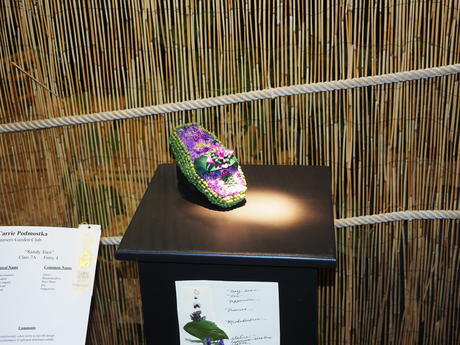 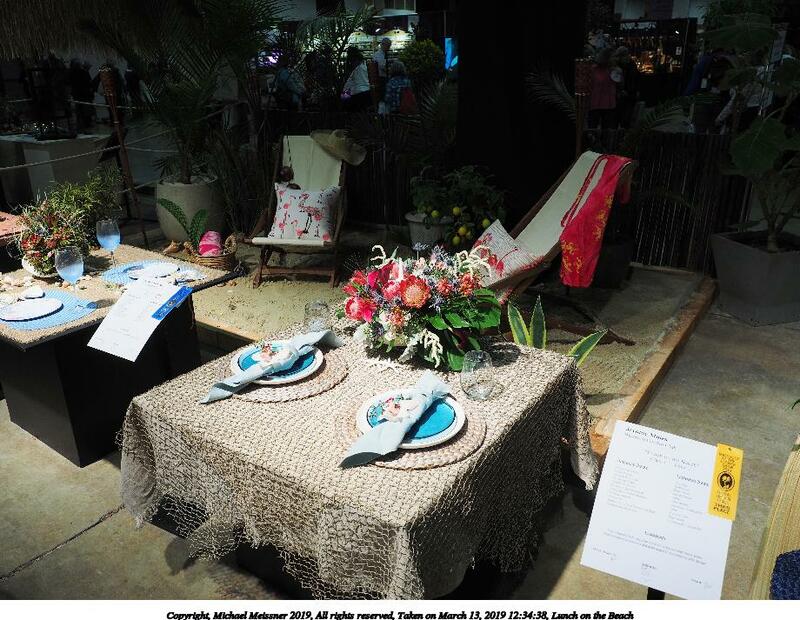 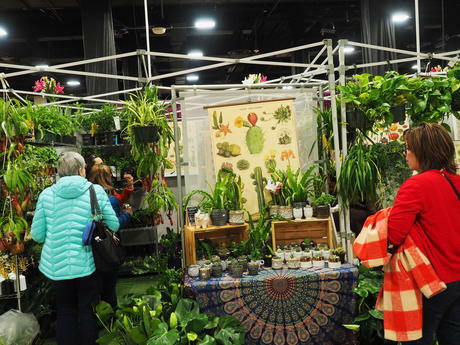 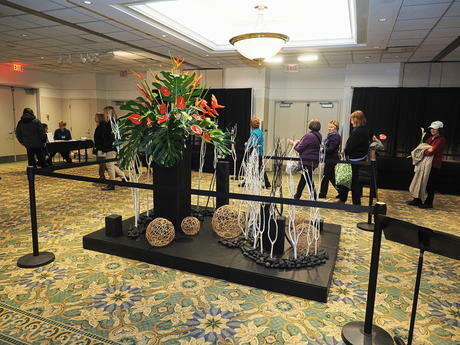 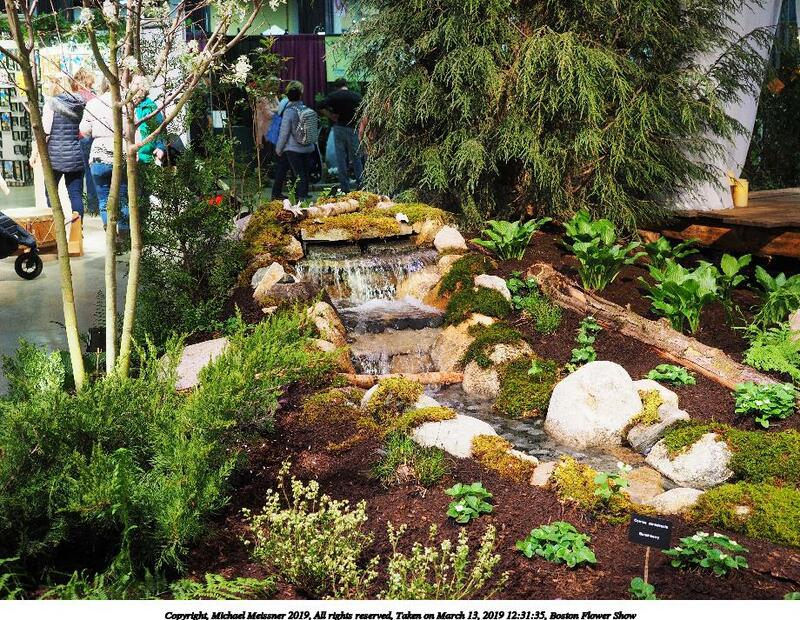 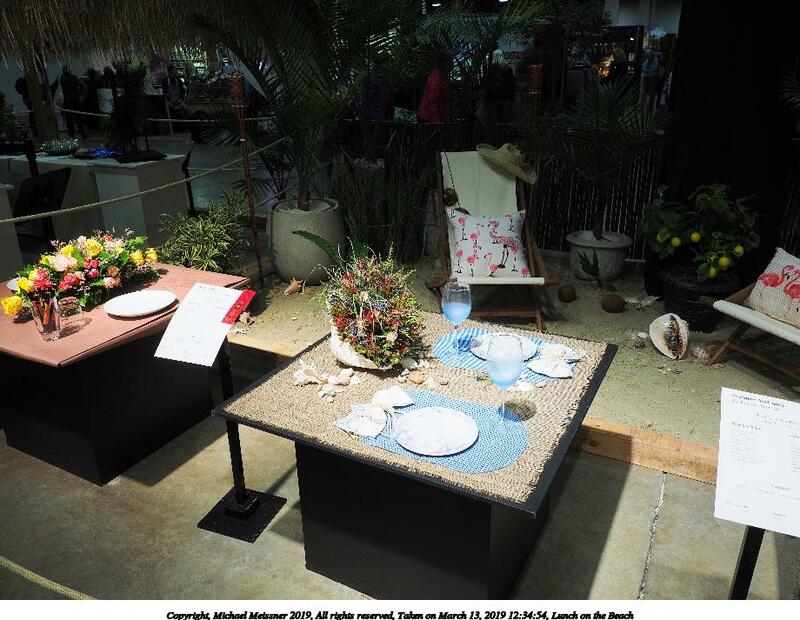 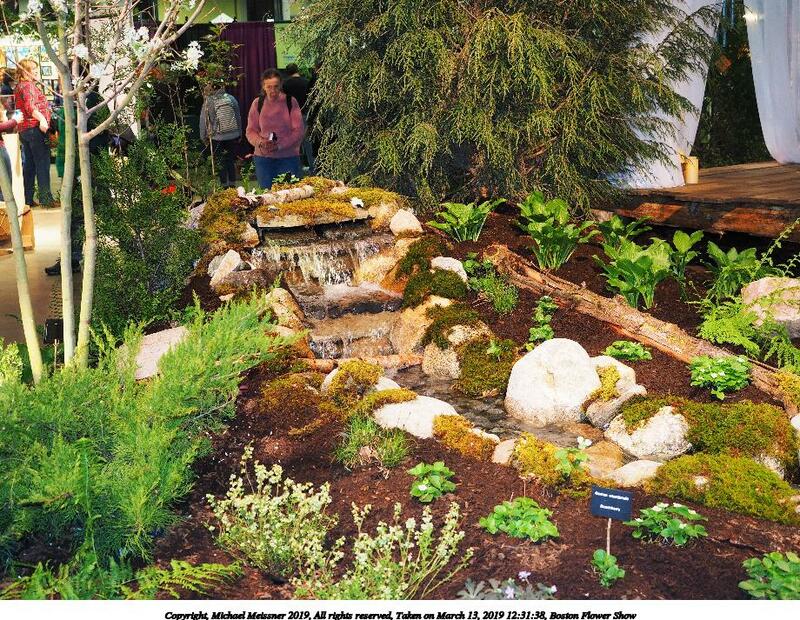 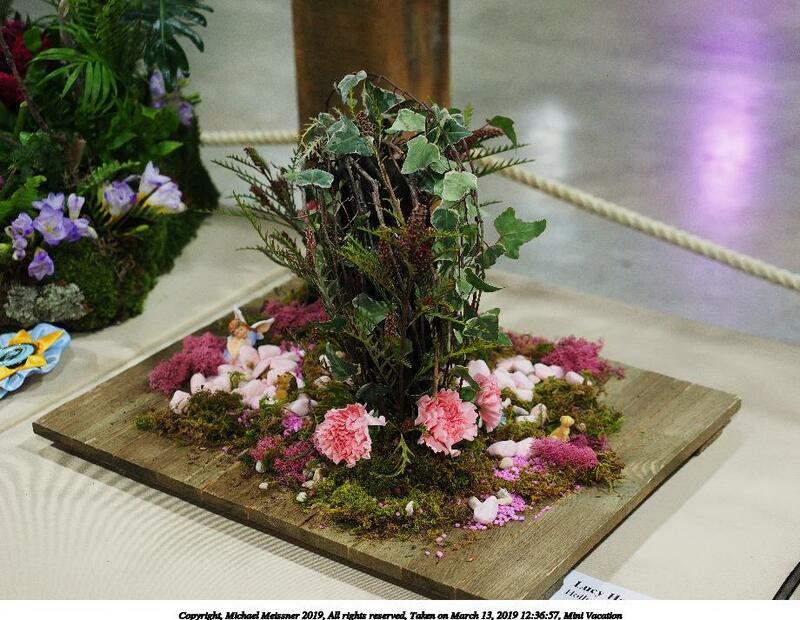 On March 13th, 2019, Liz and I went to the Boston Flower Show. 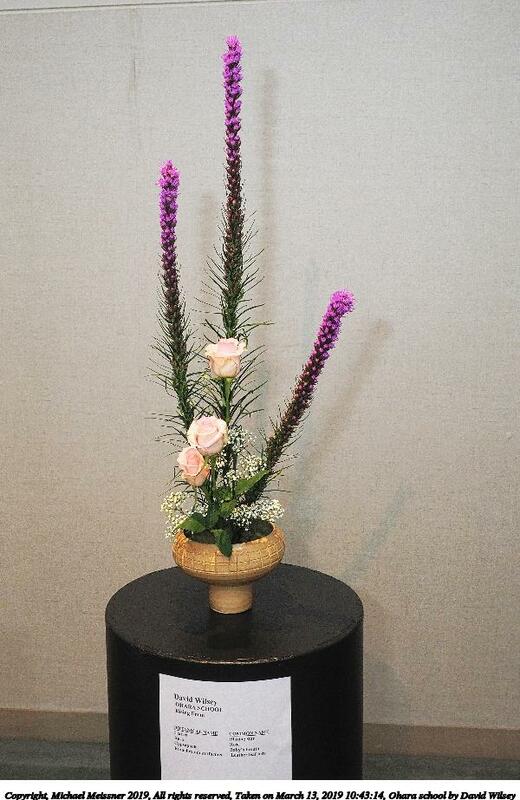 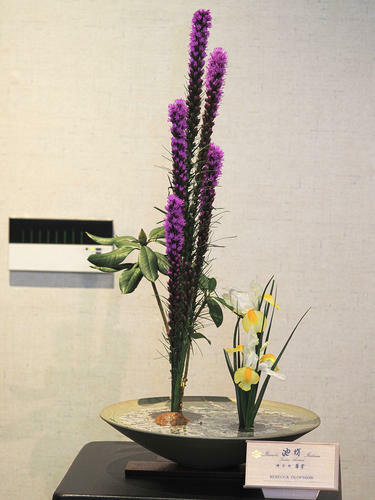 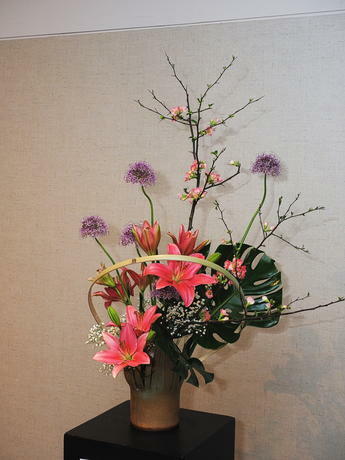 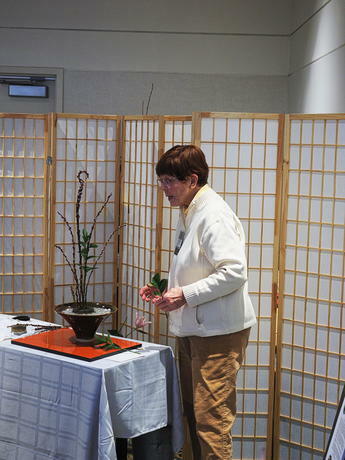 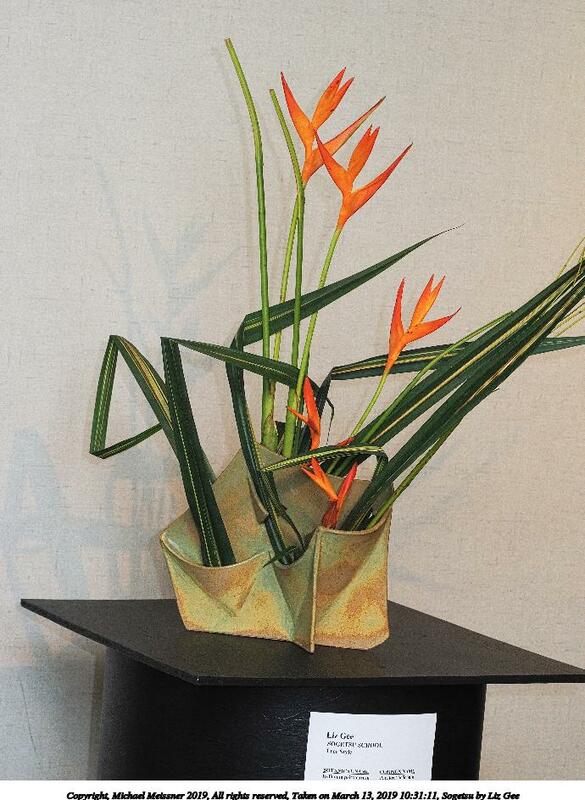 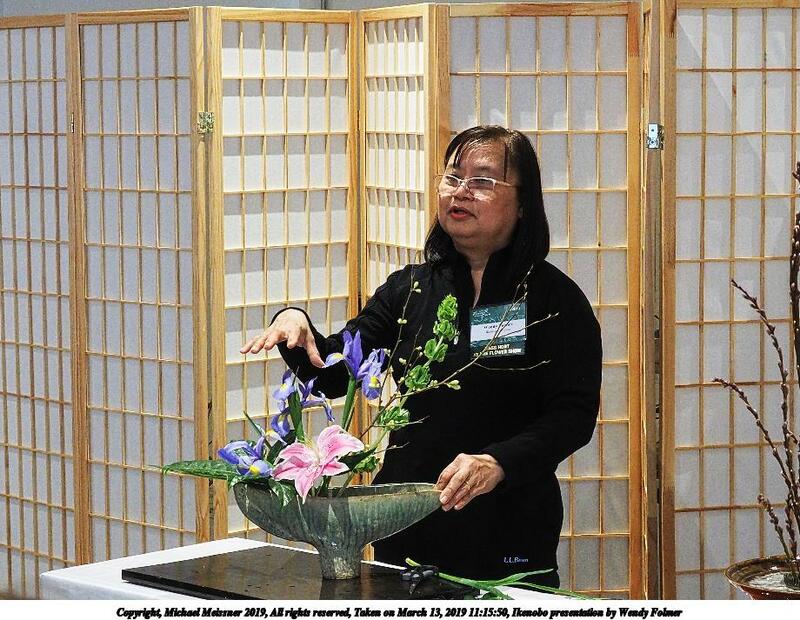 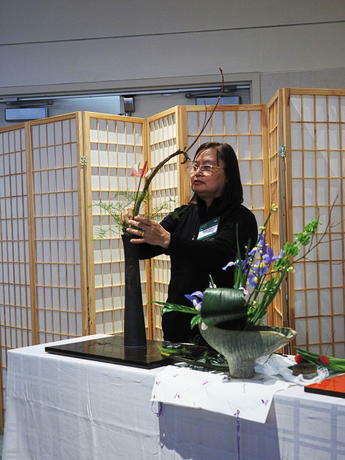 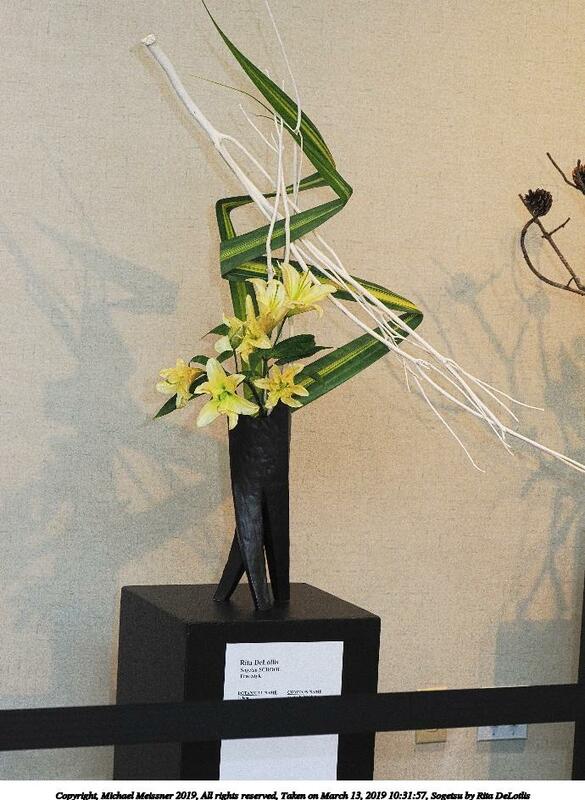 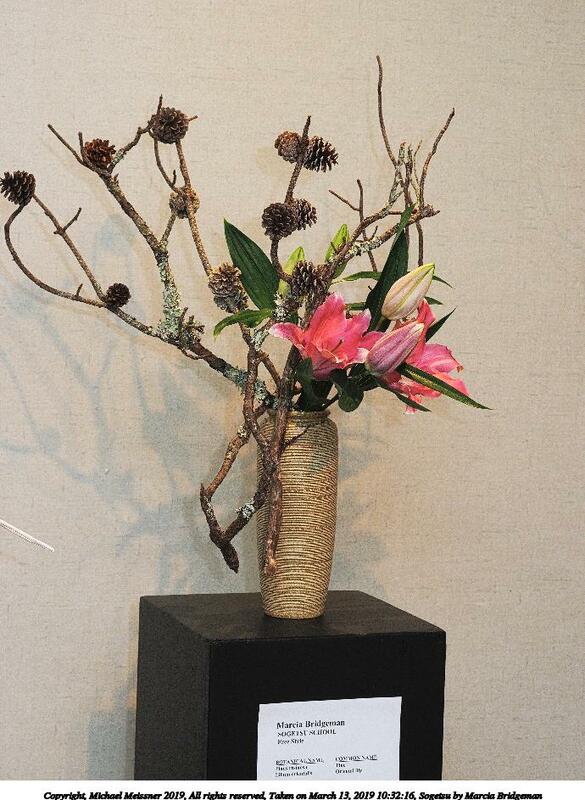 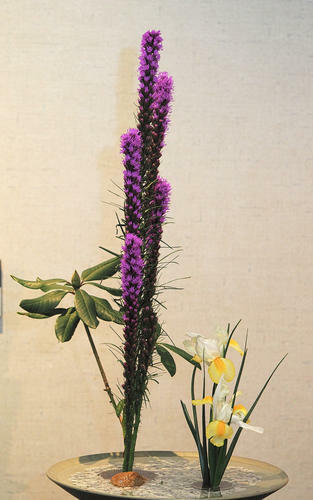 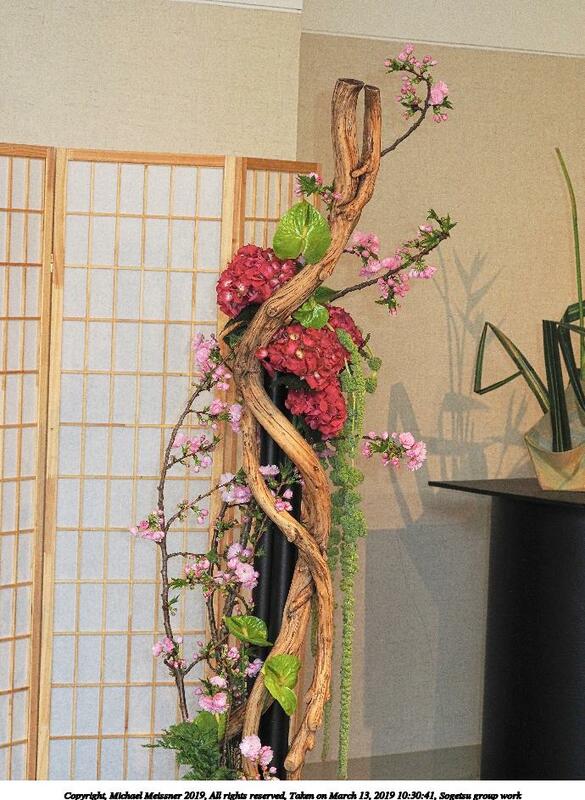 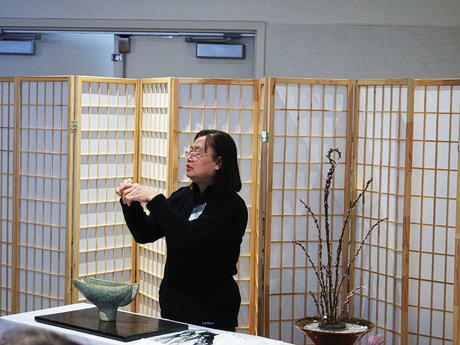 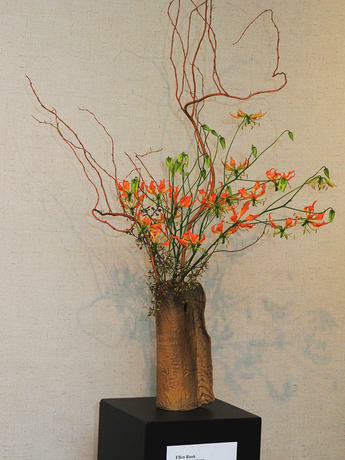 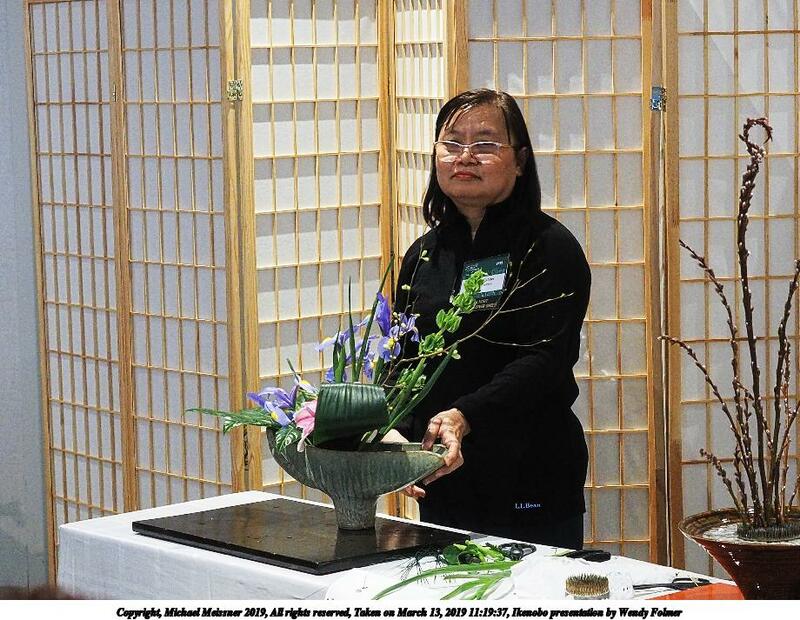 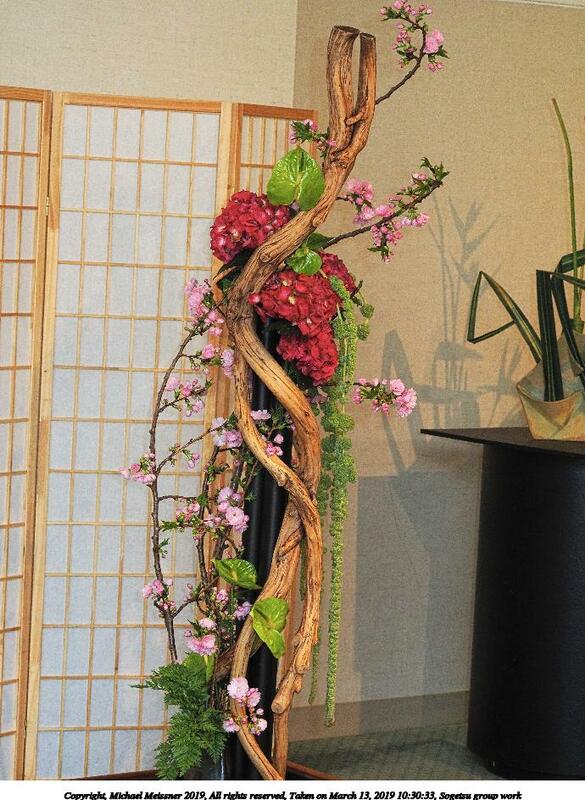 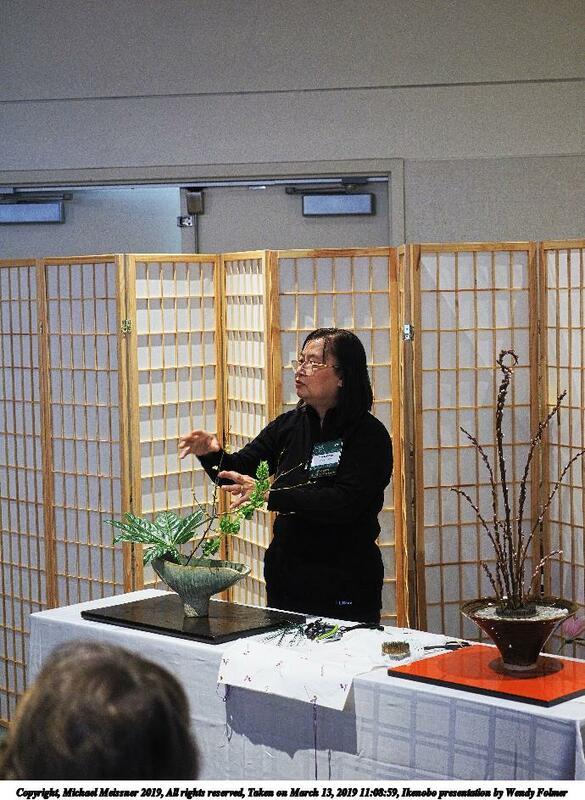 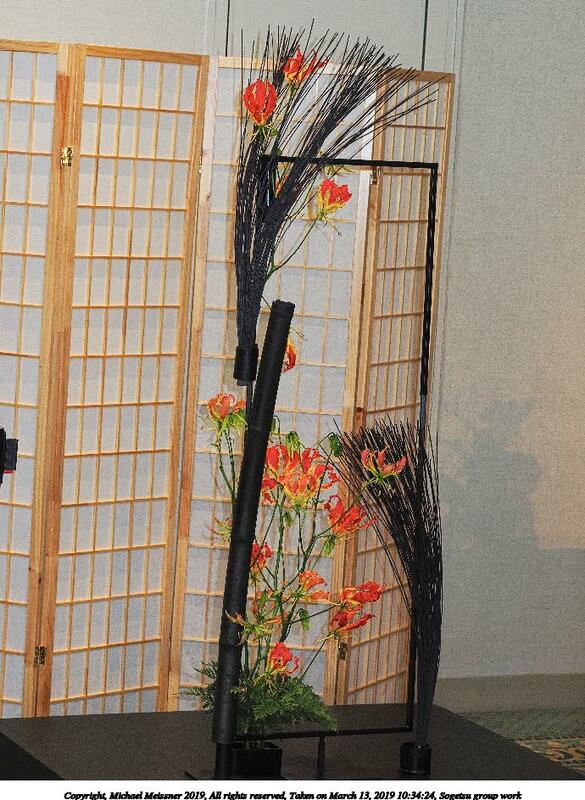 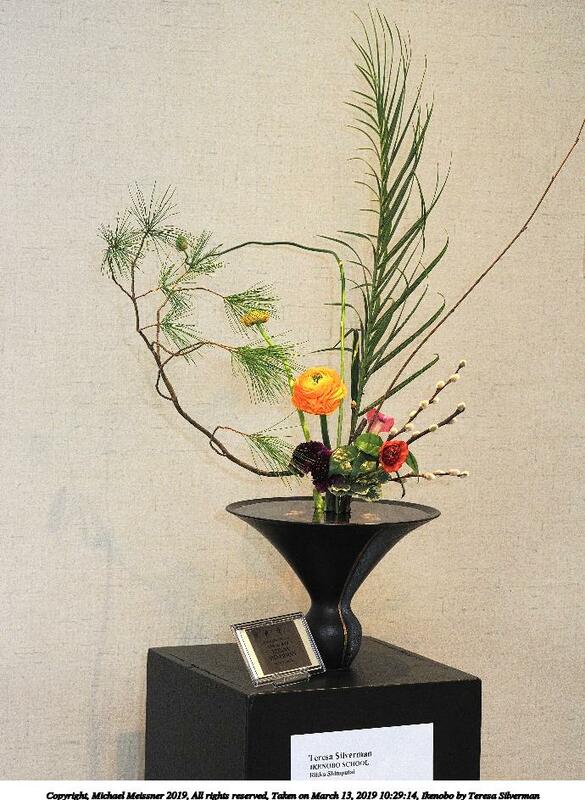 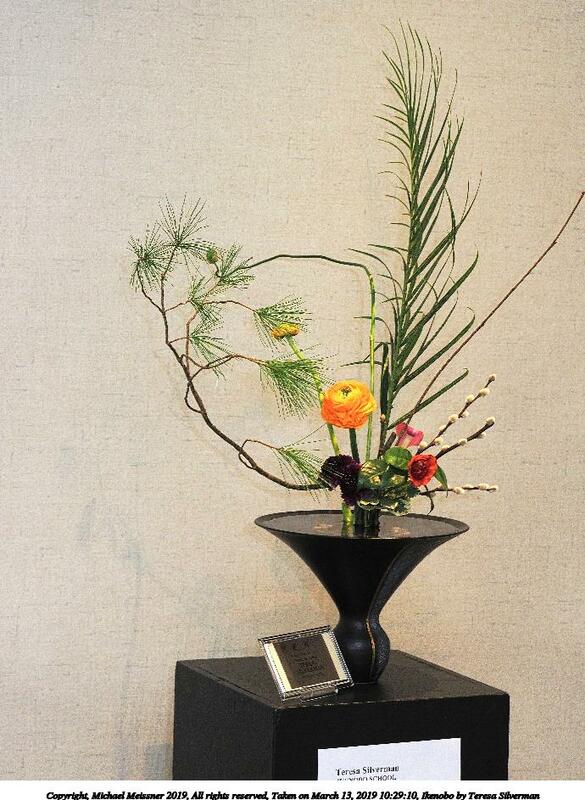 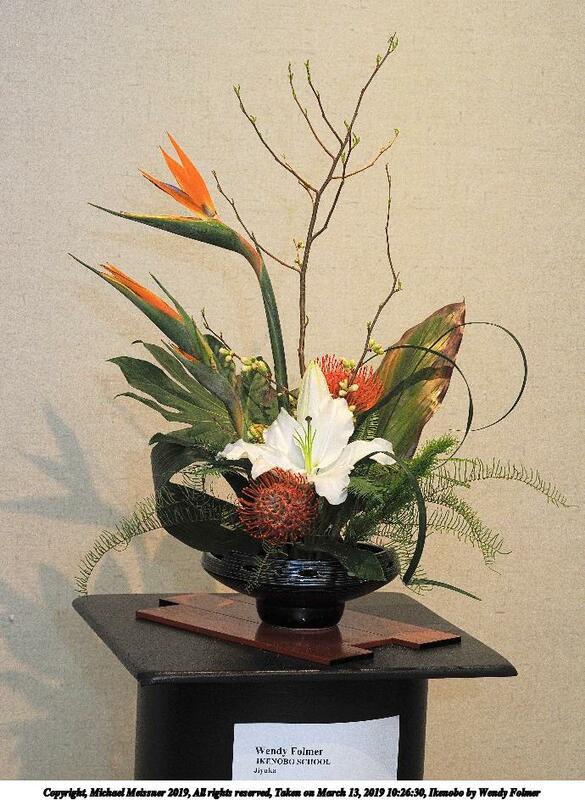 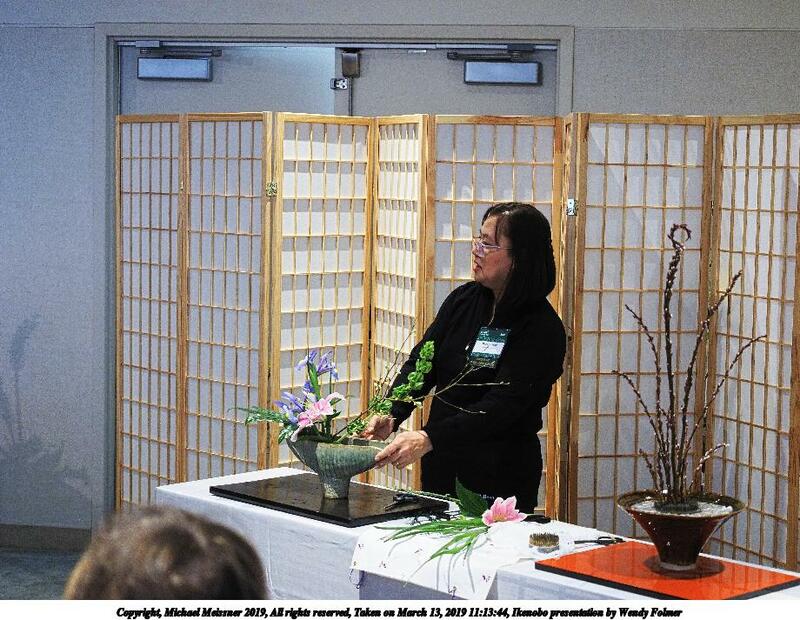 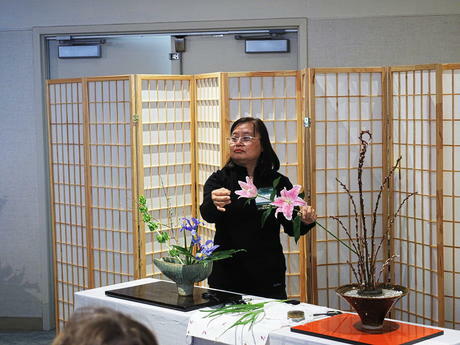 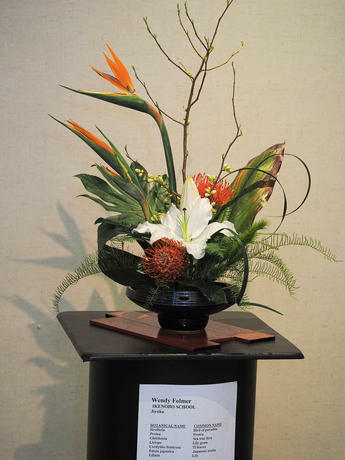 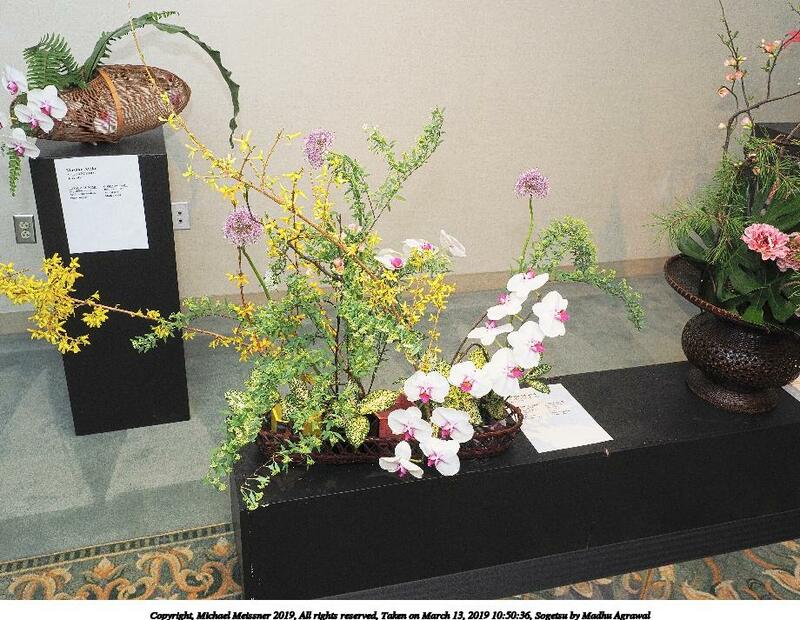 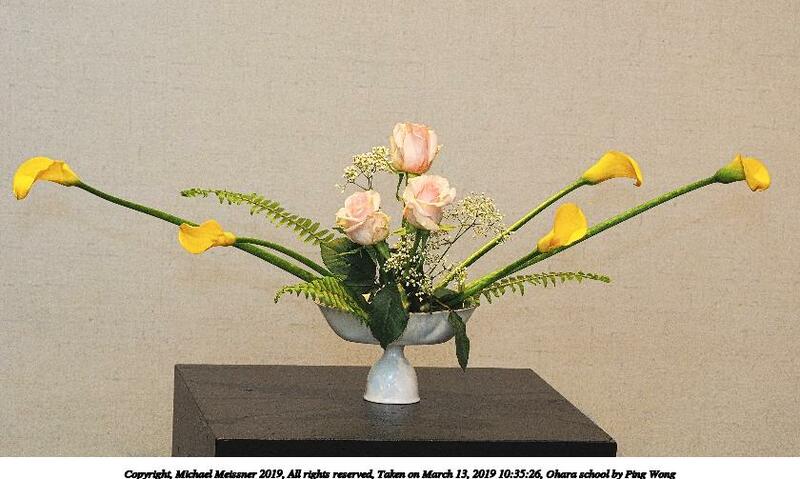 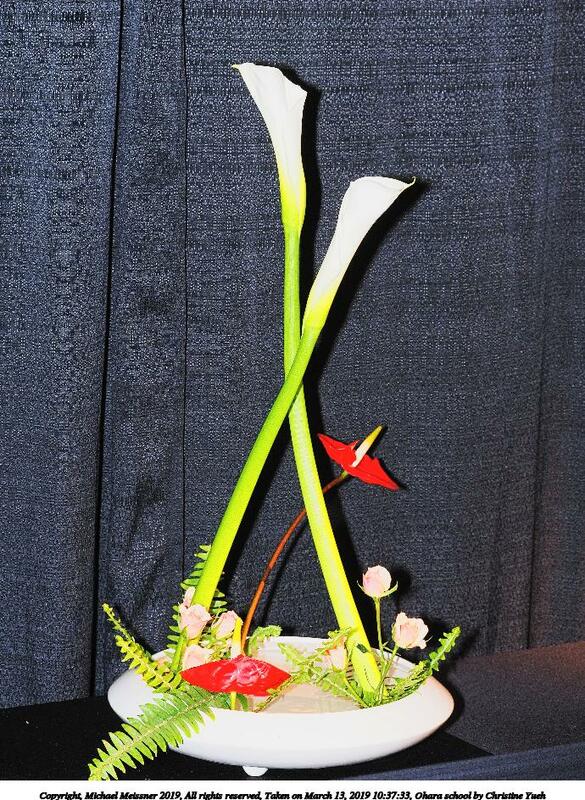 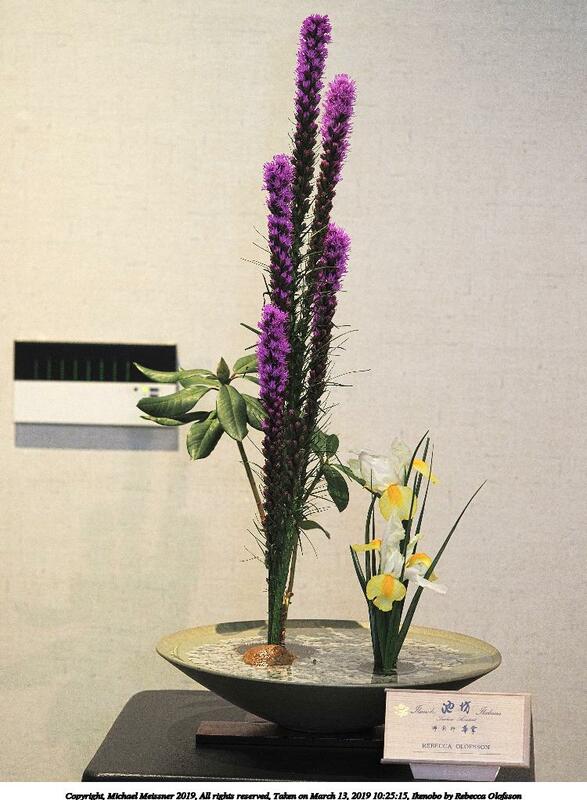 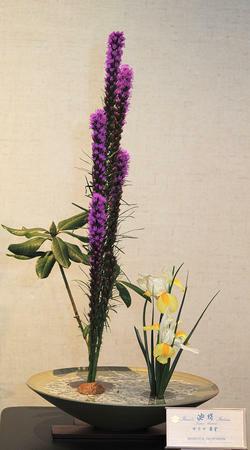 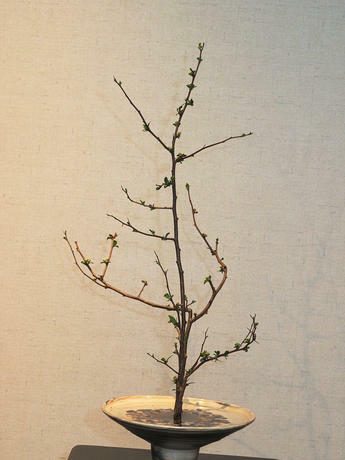 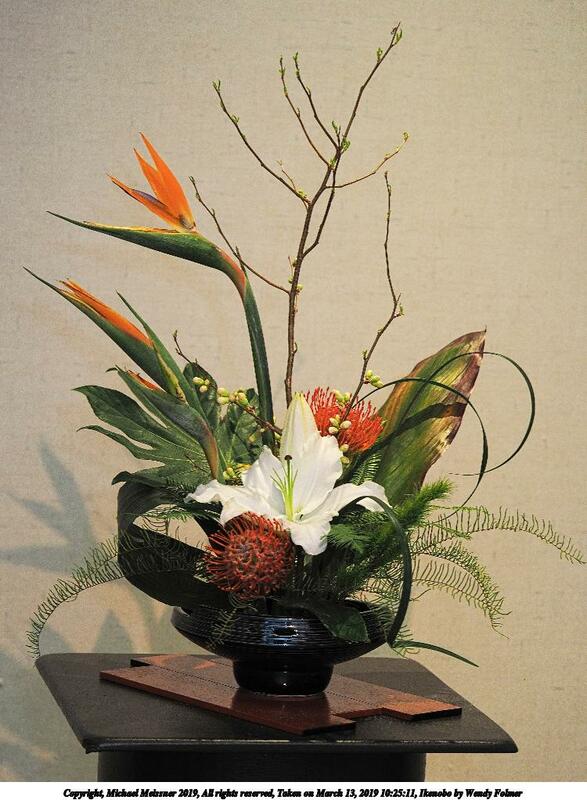 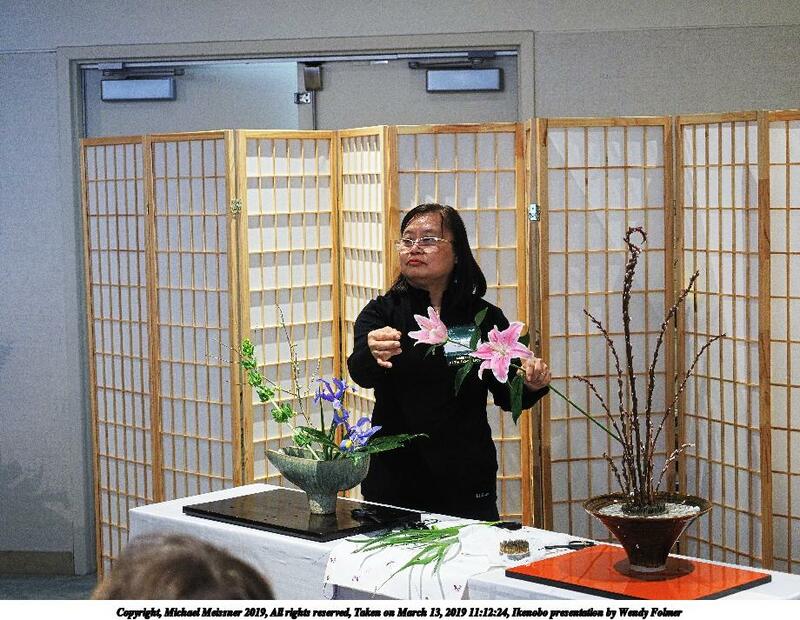 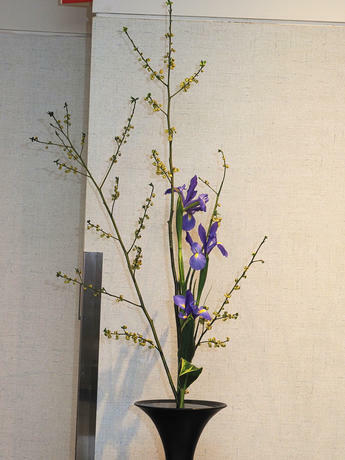 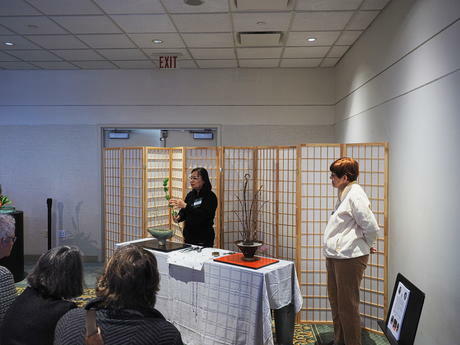 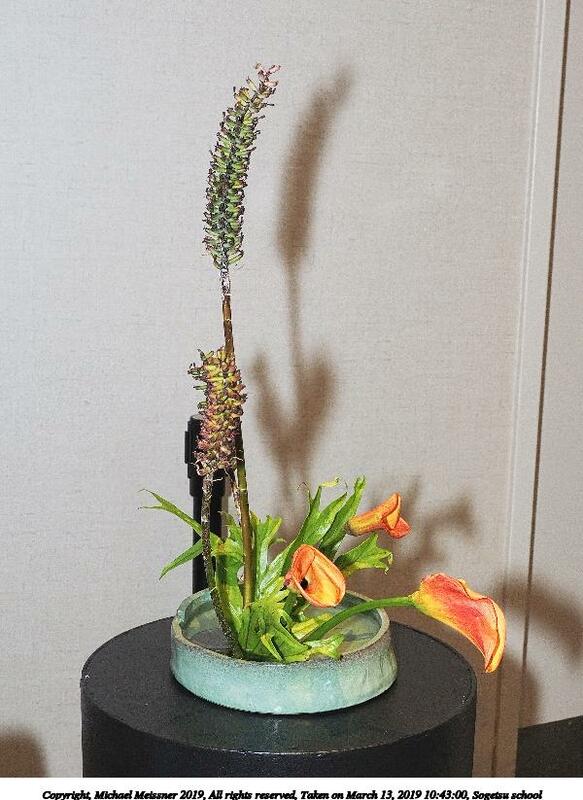 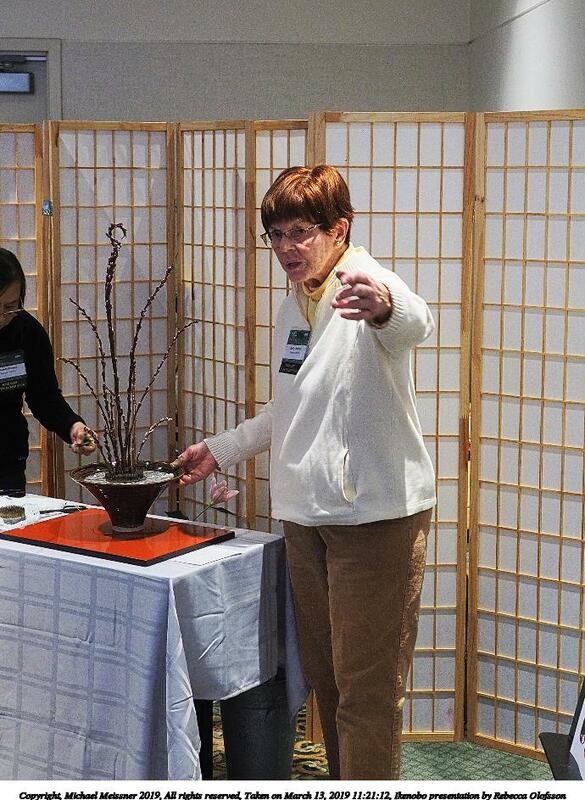 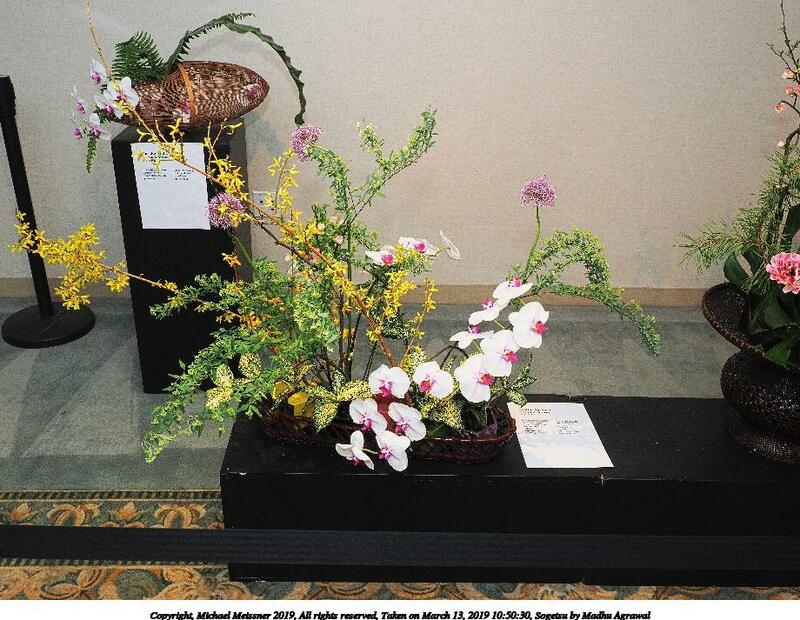 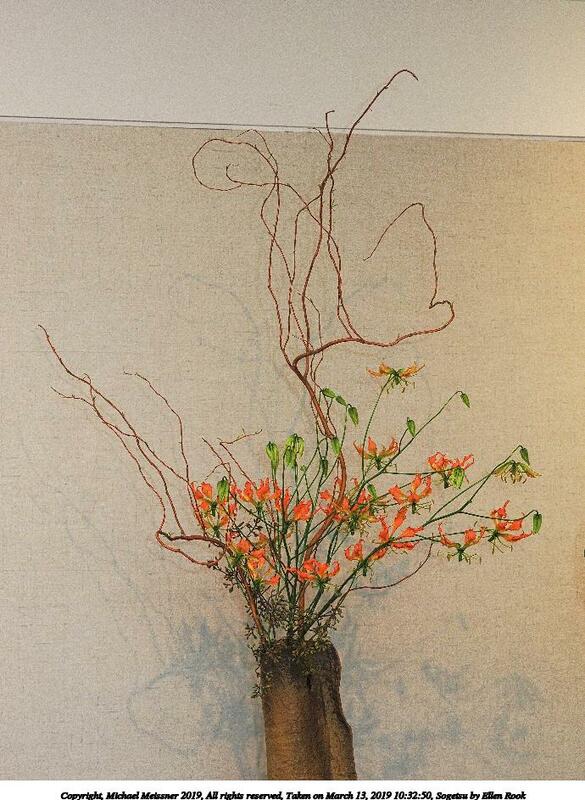 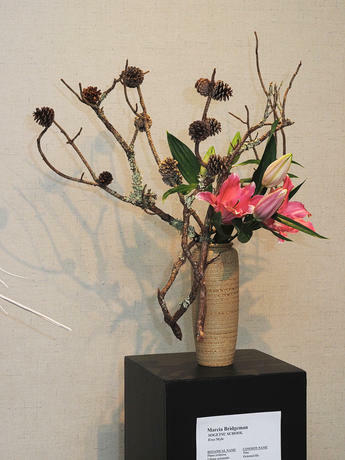 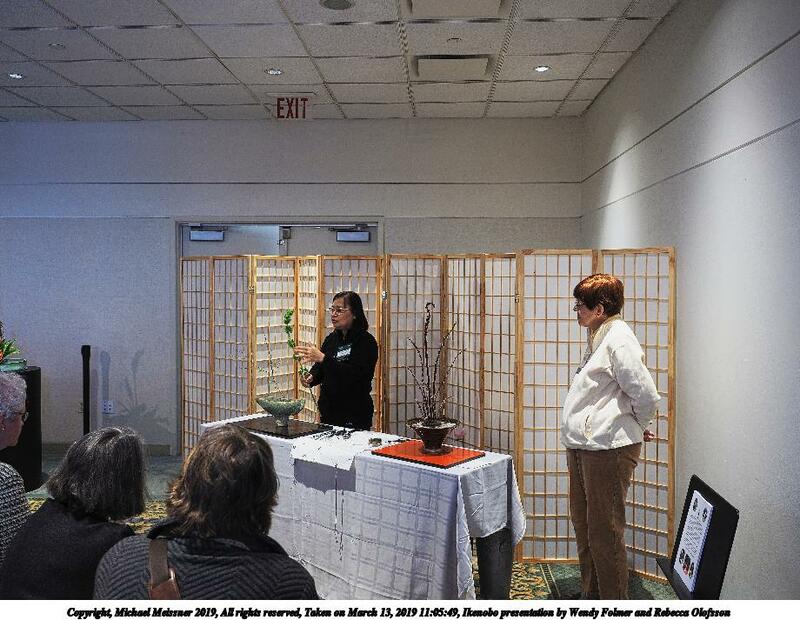 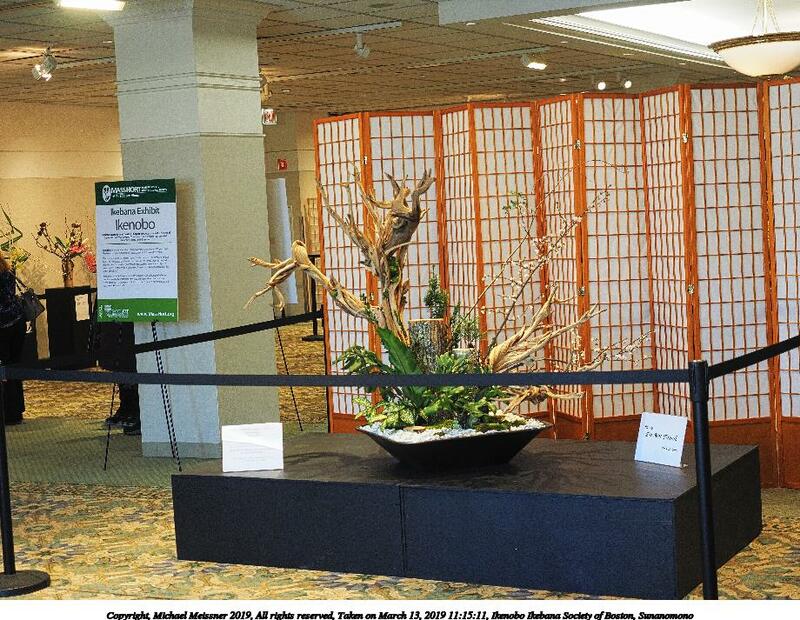 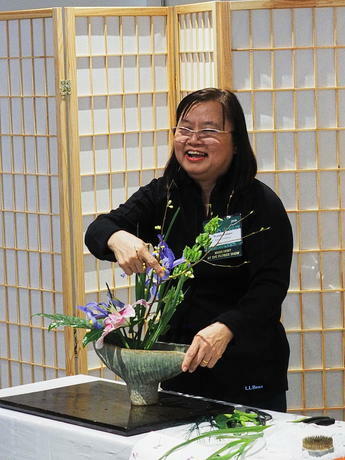 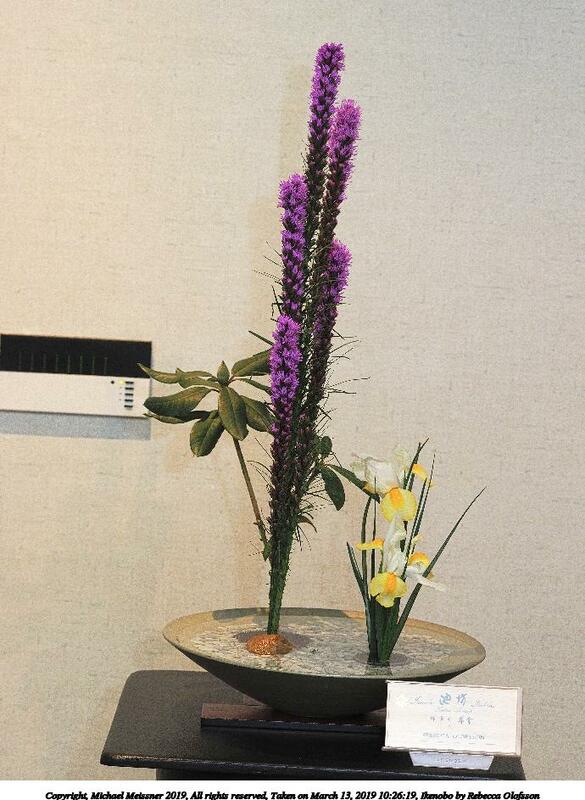 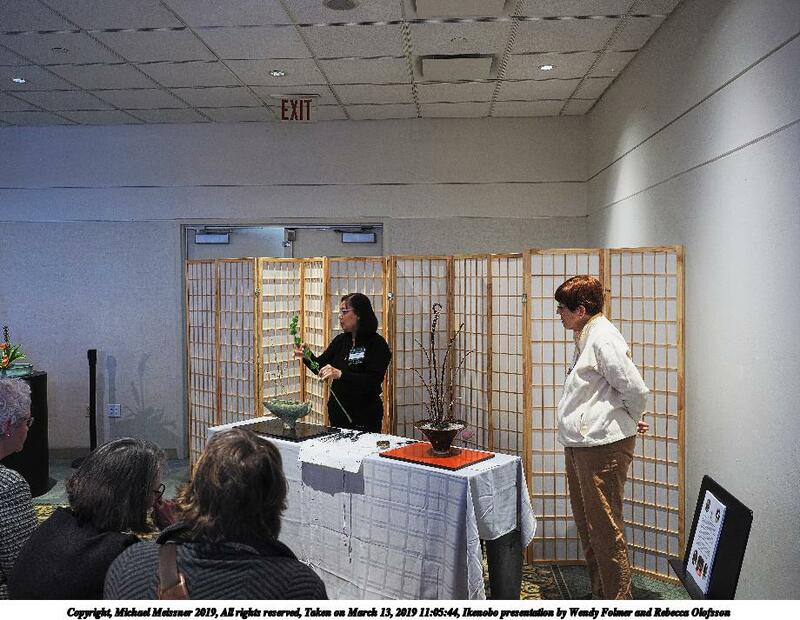 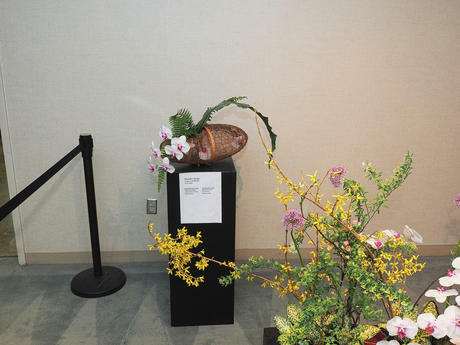 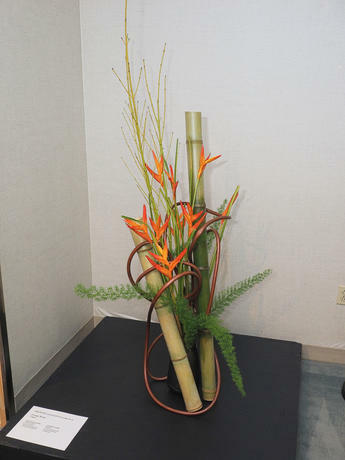 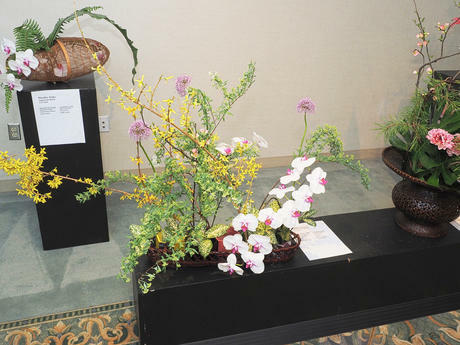 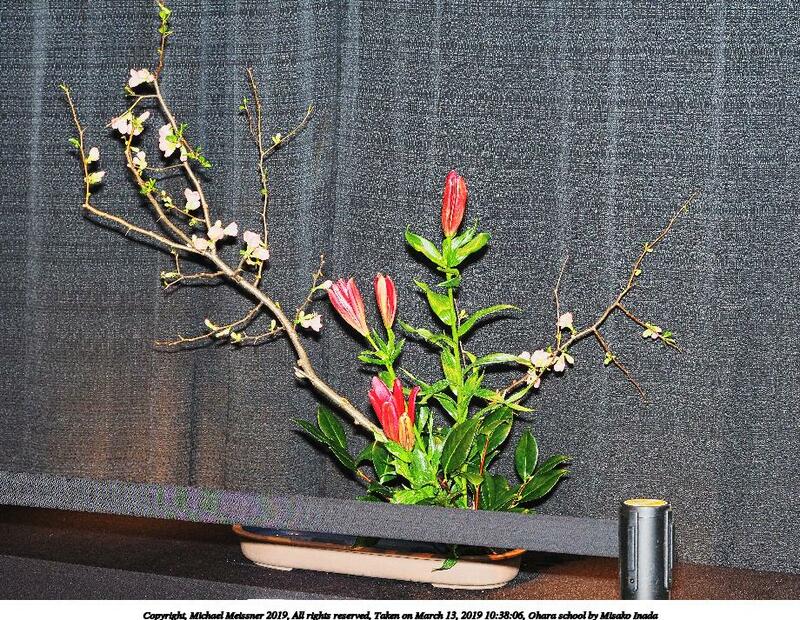 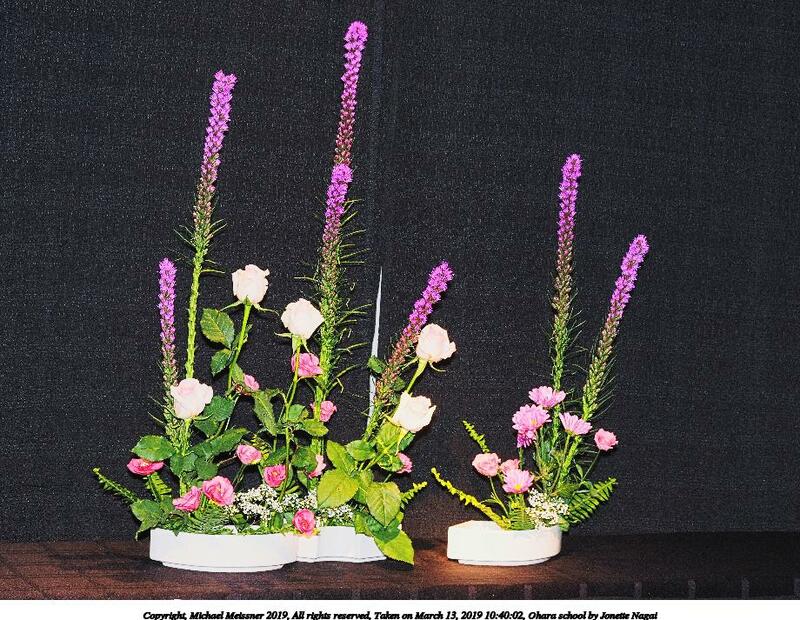 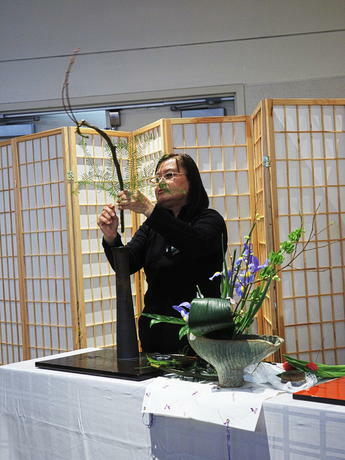 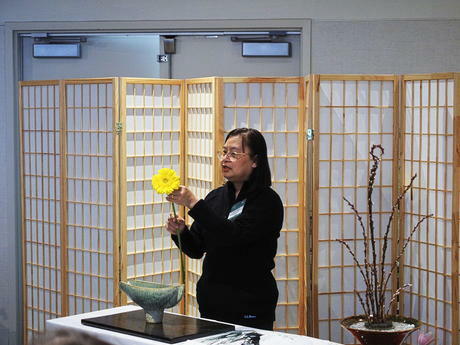 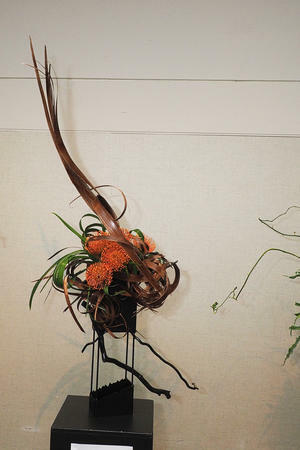 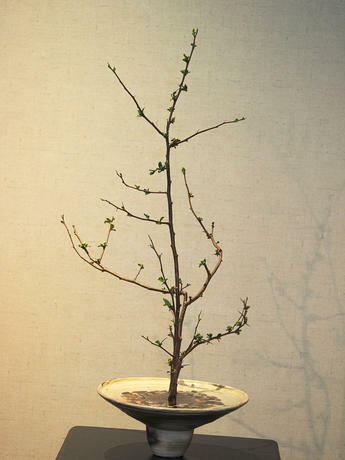 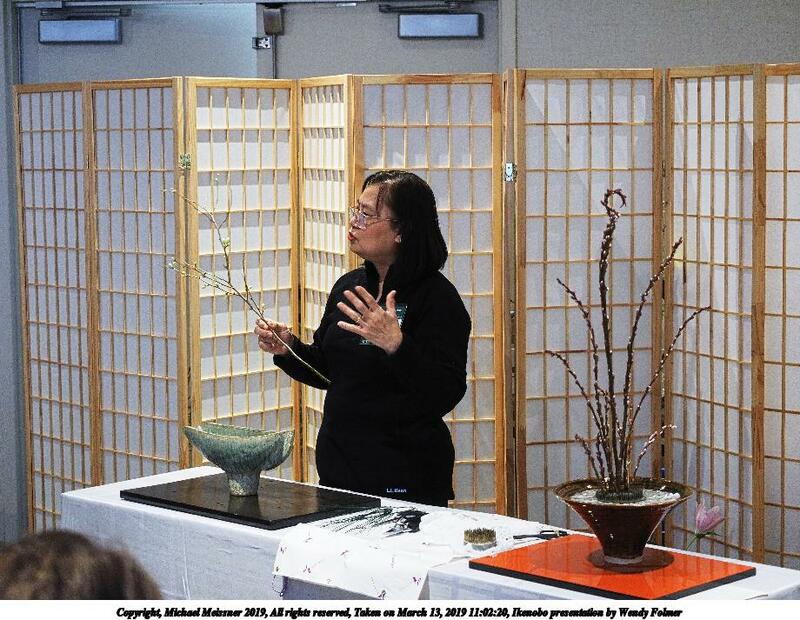 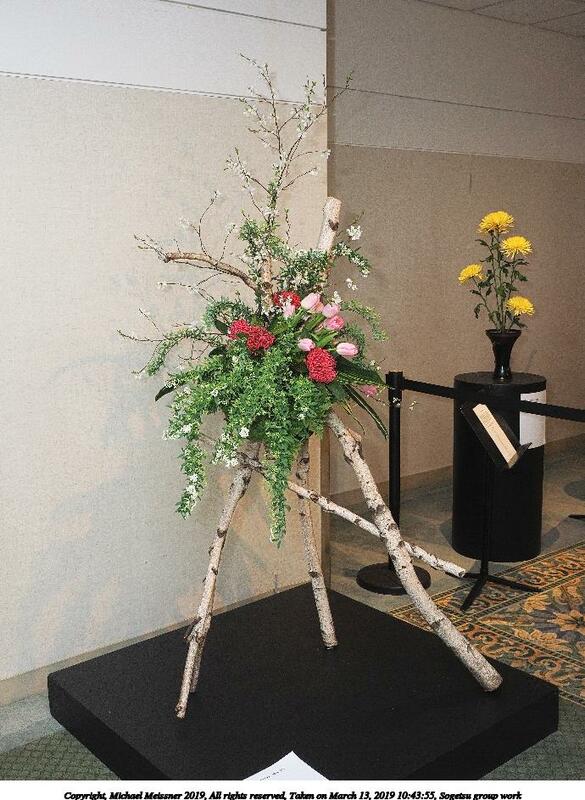 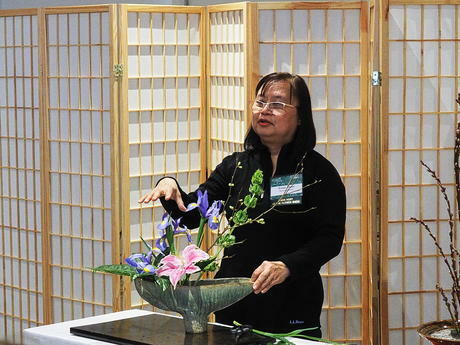 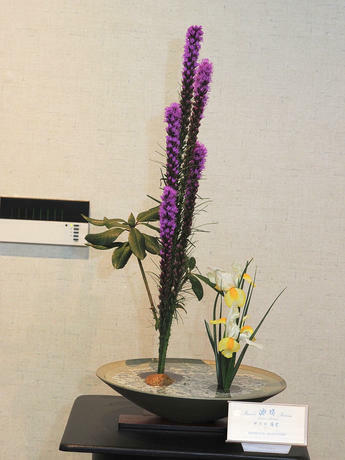 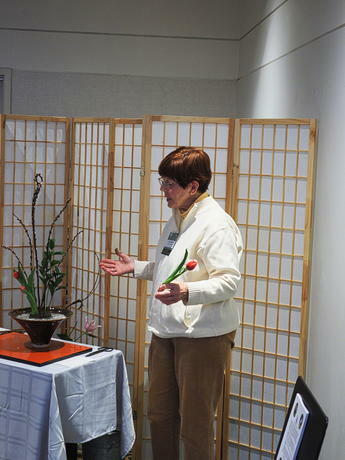 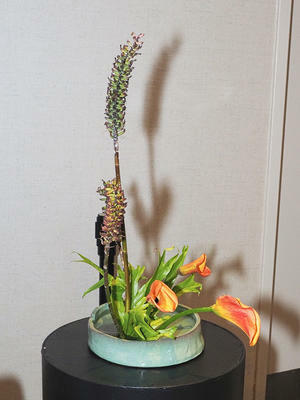 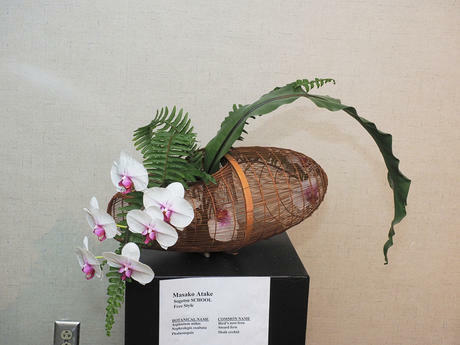 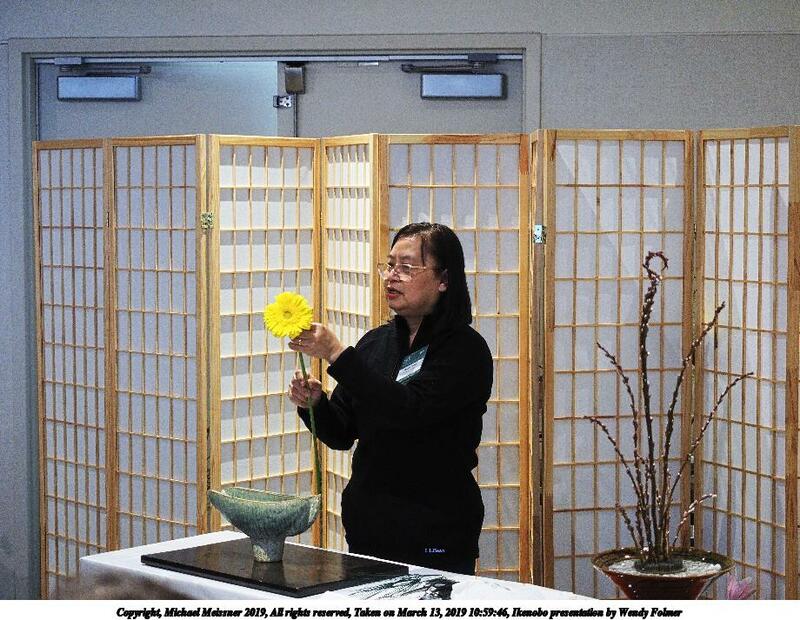 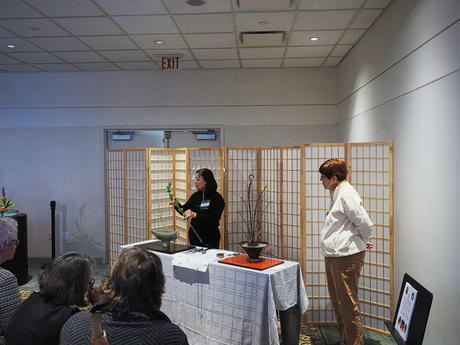 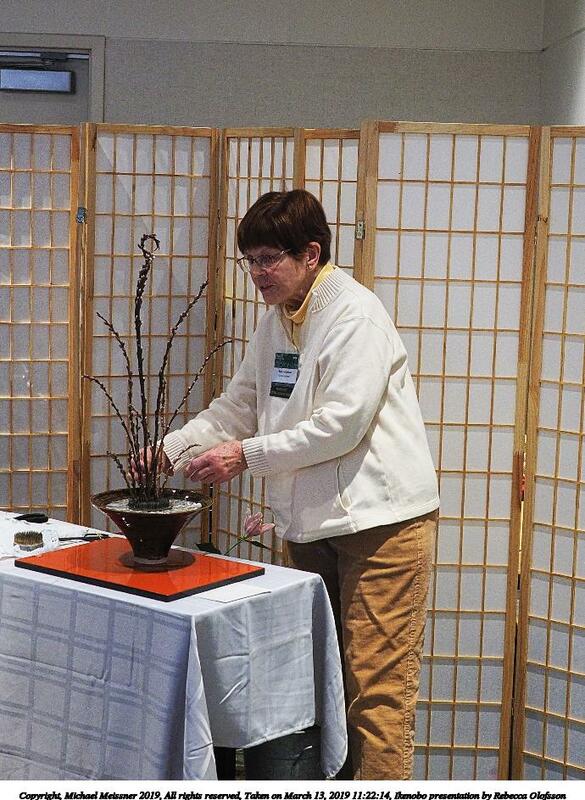 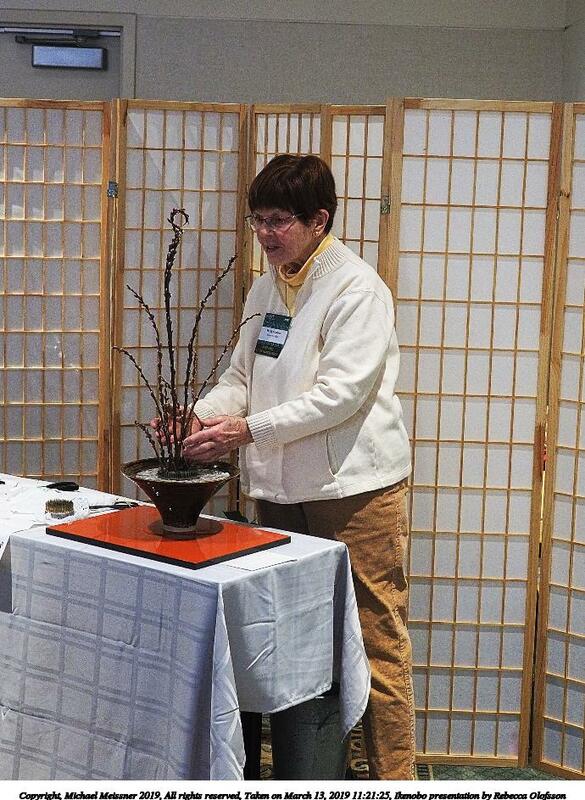 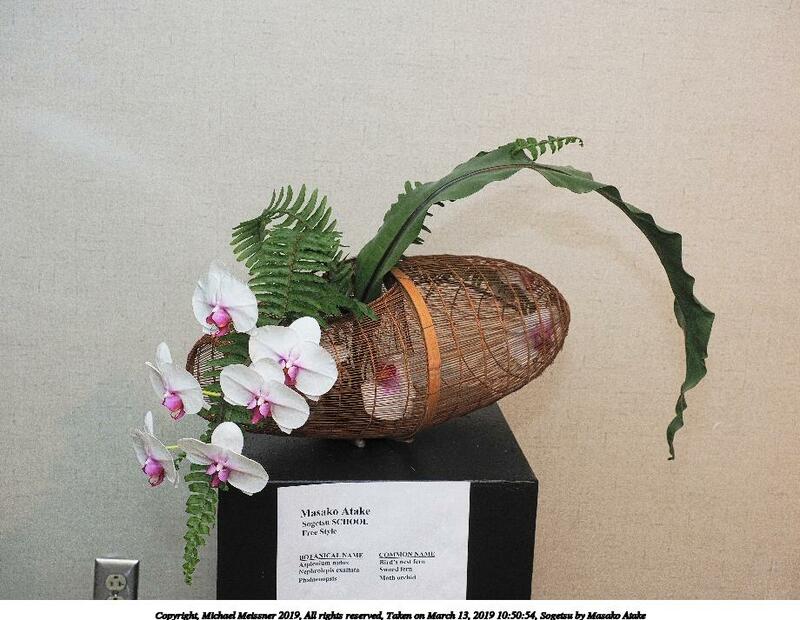 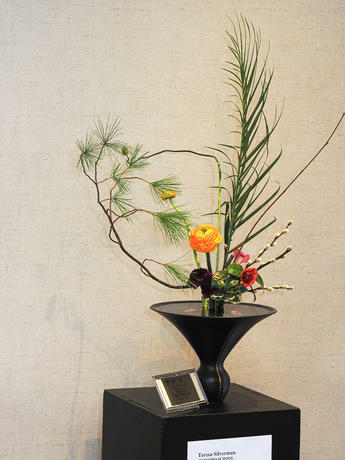 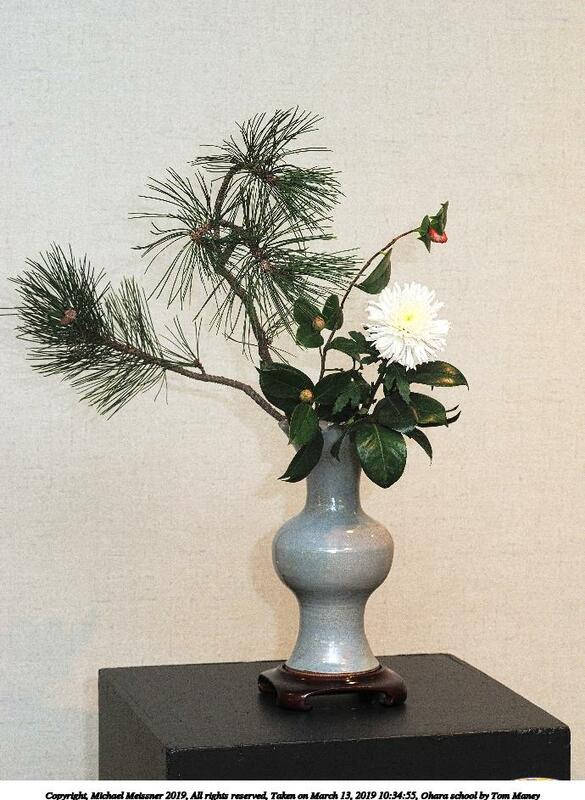 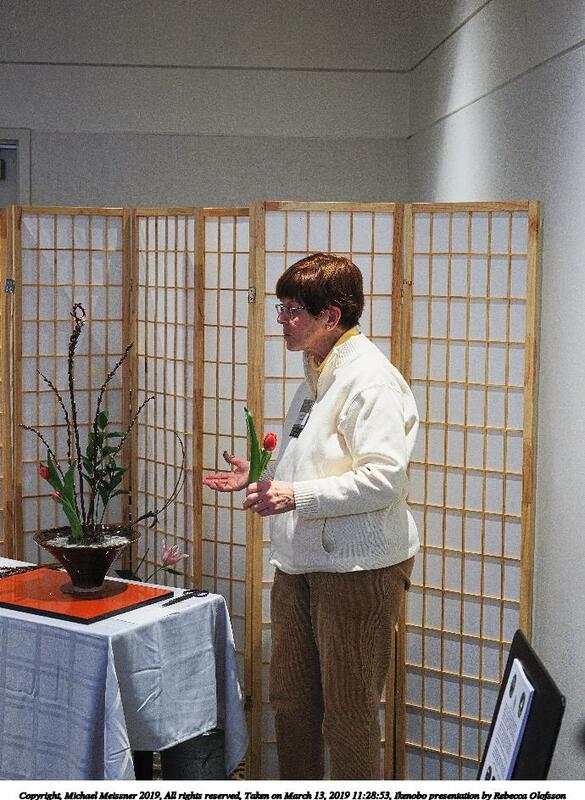 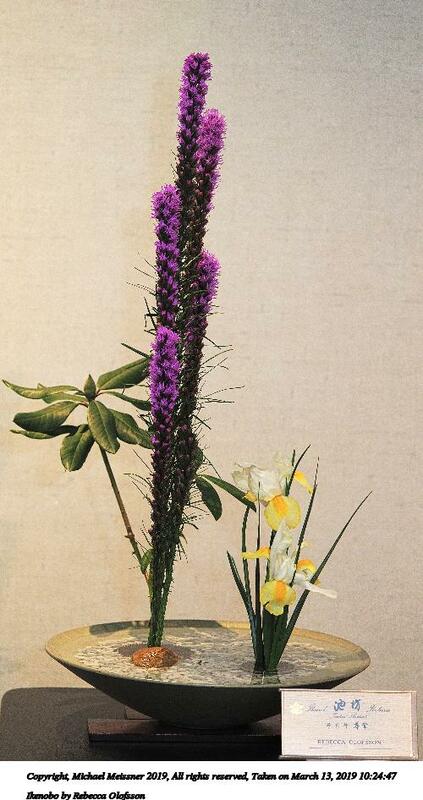 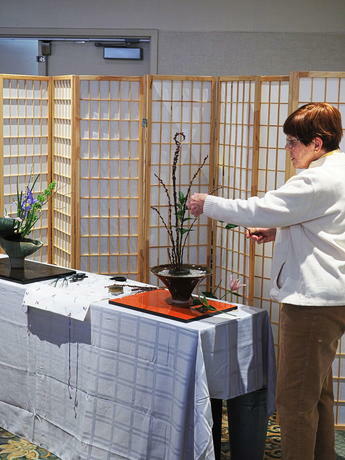 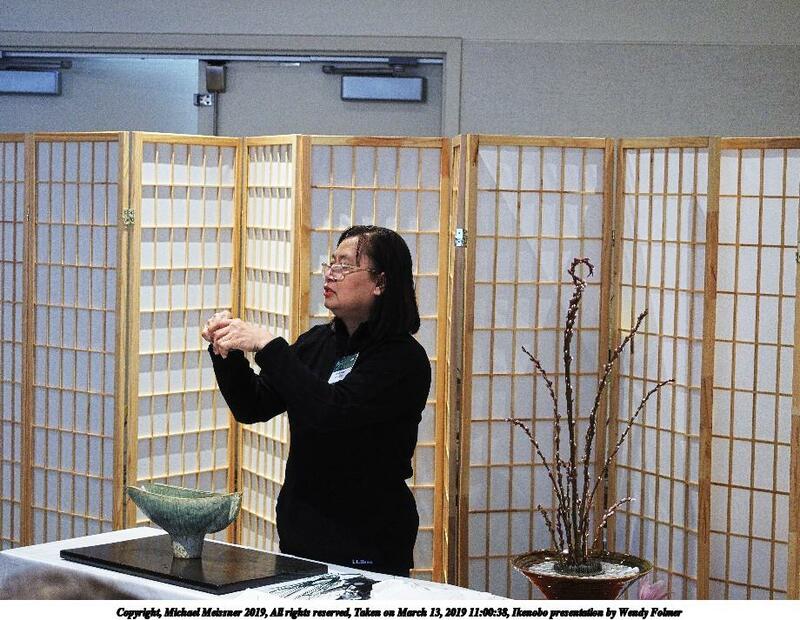 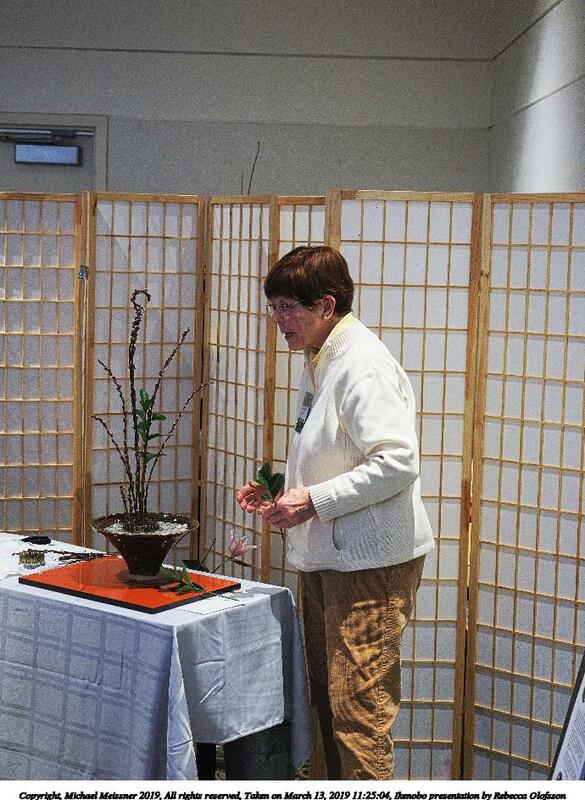 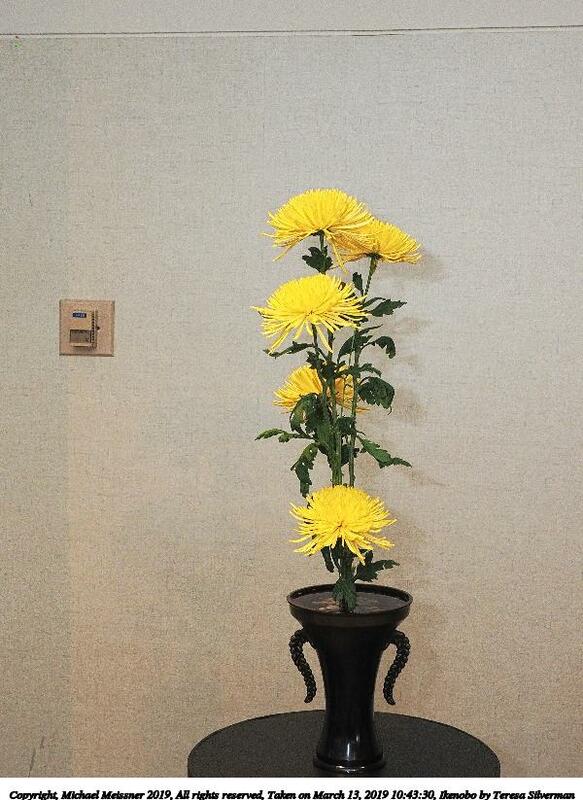 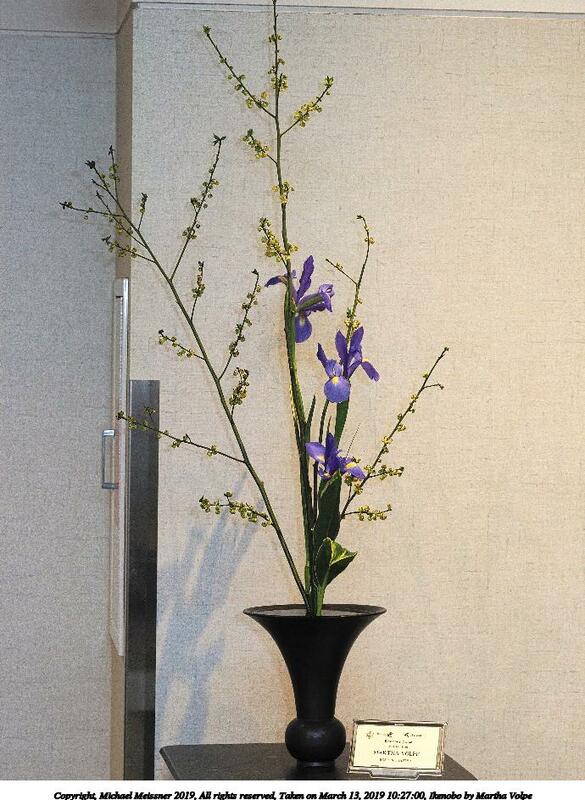 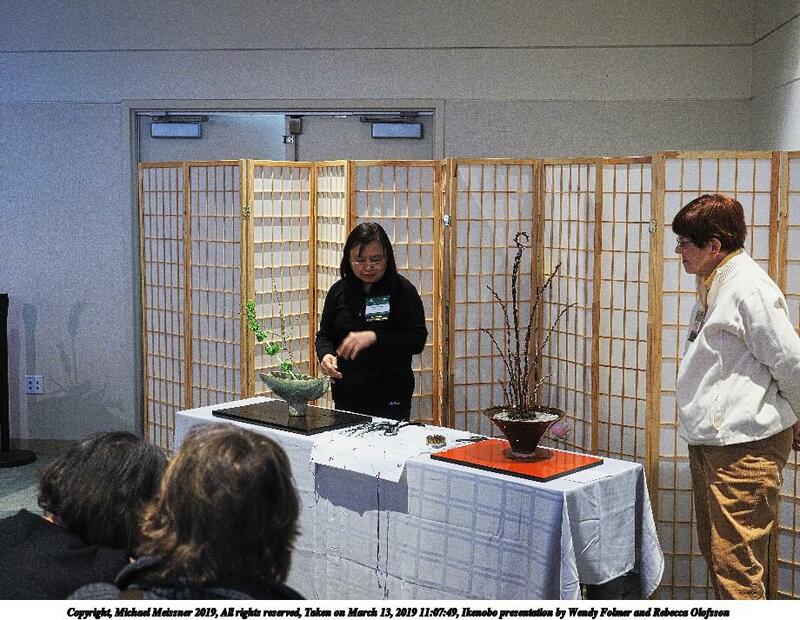 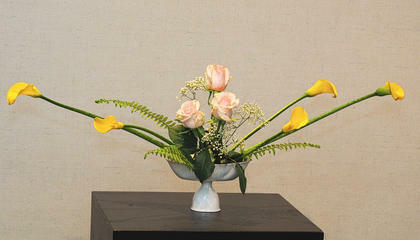 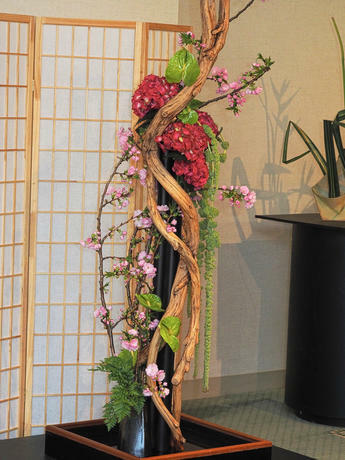 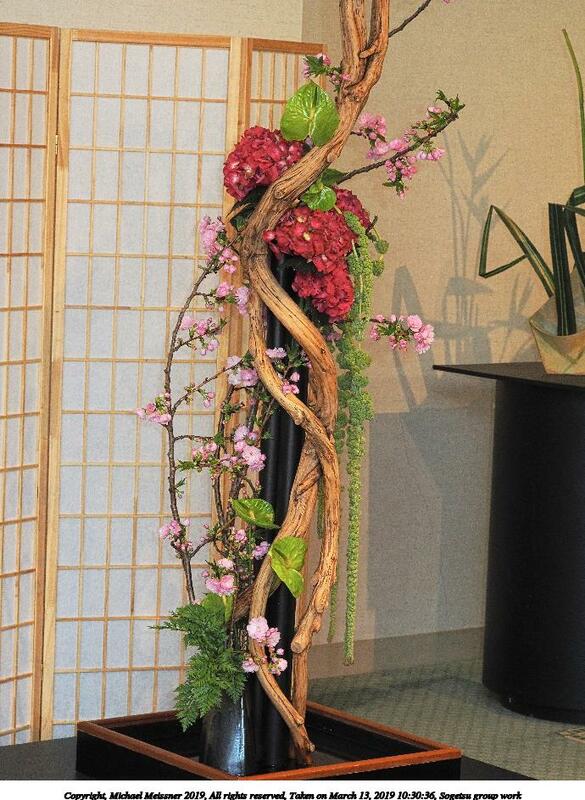 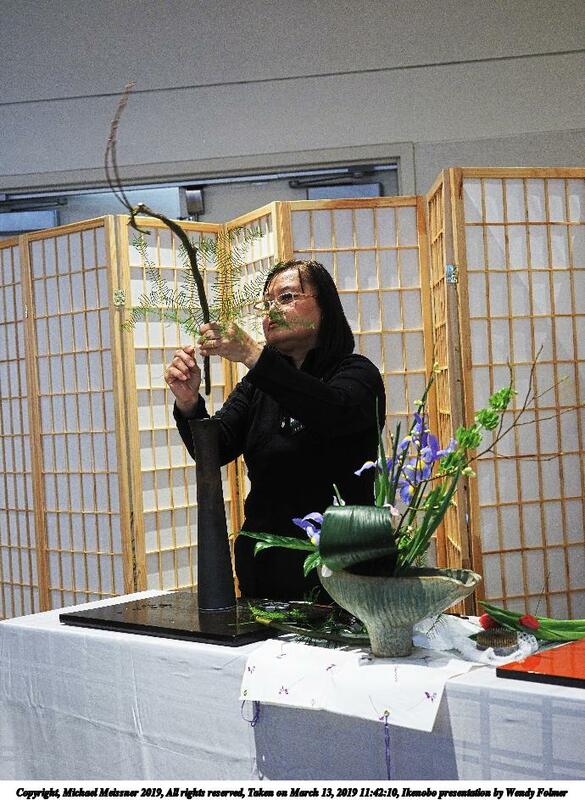 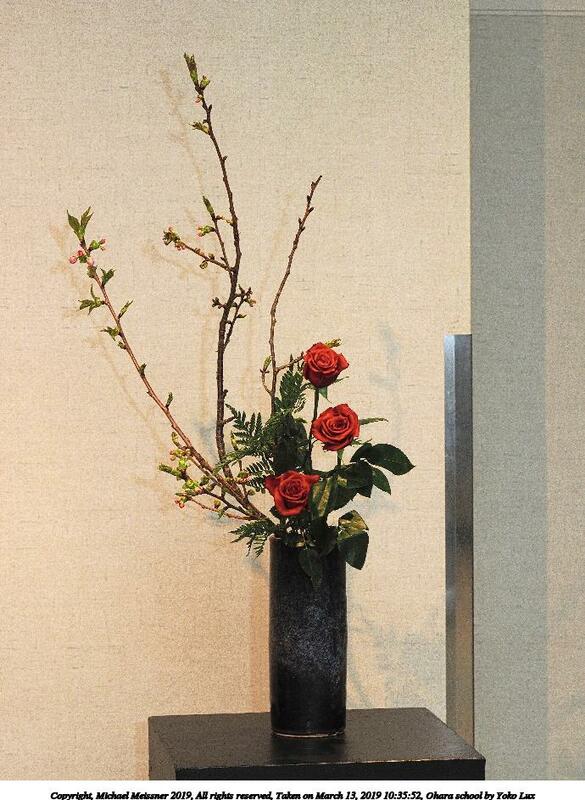 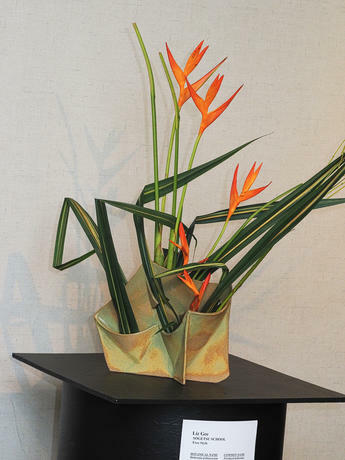 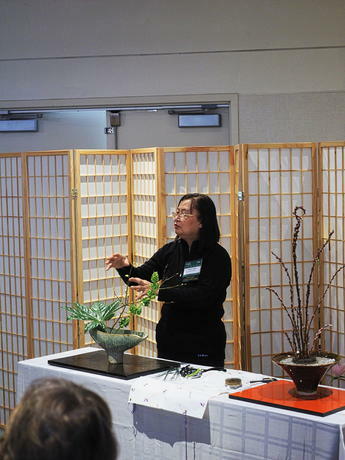 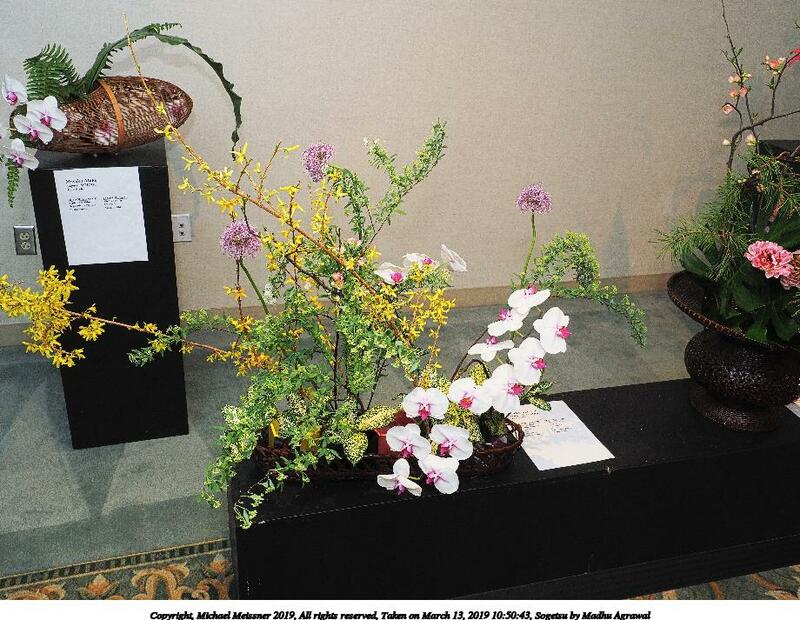 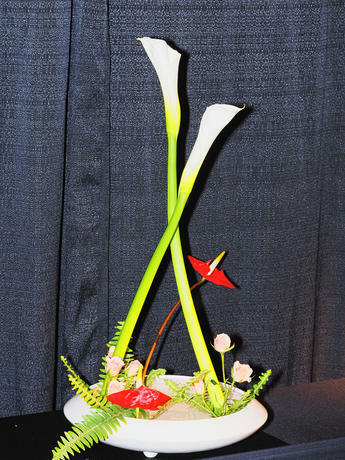 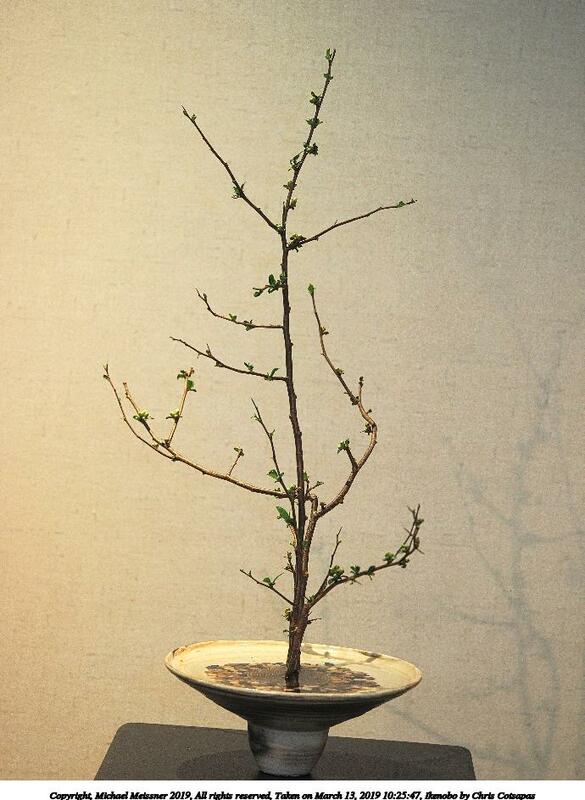 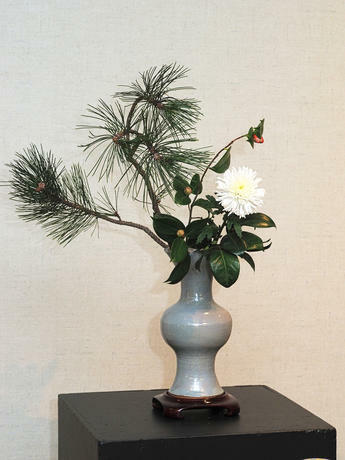 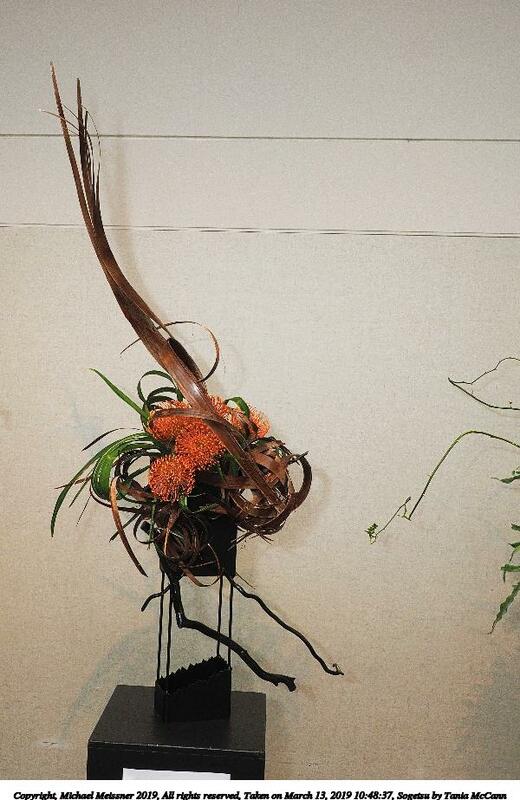 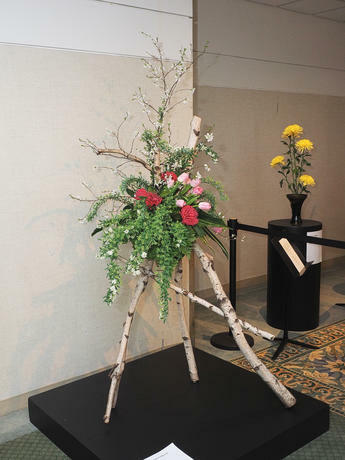 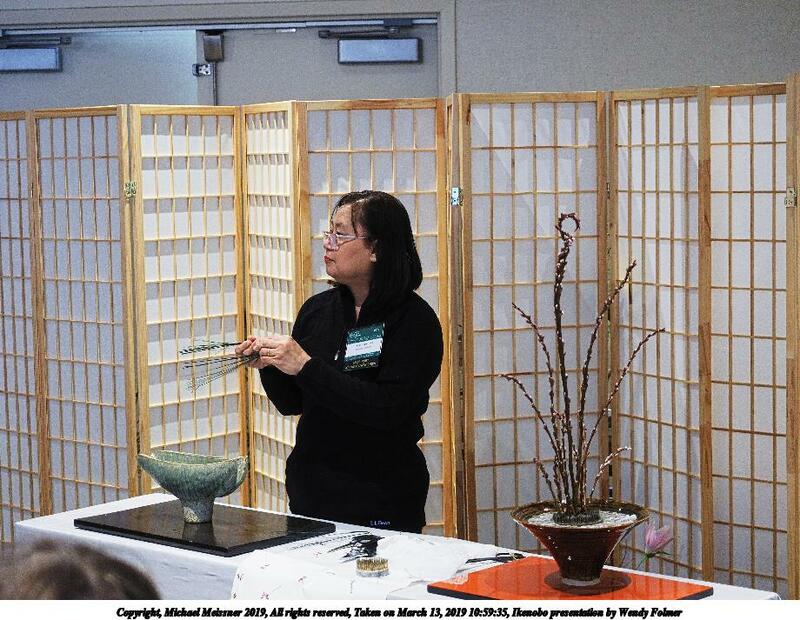 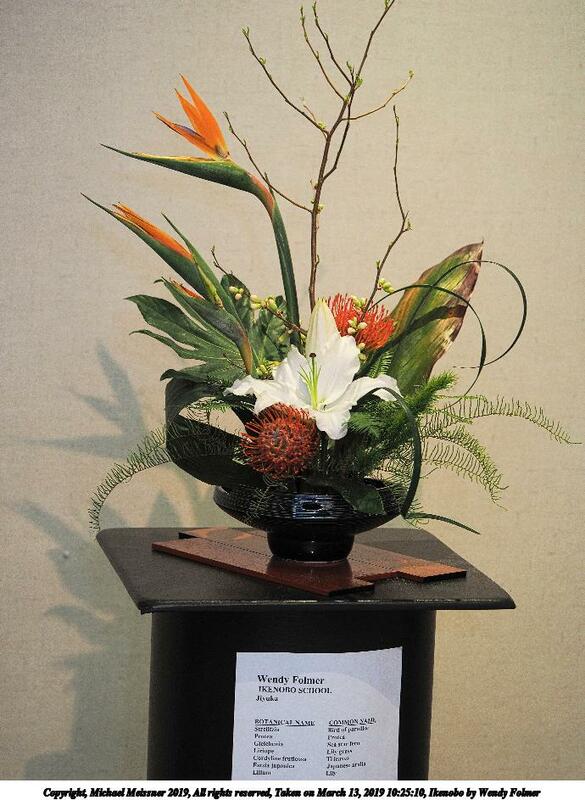 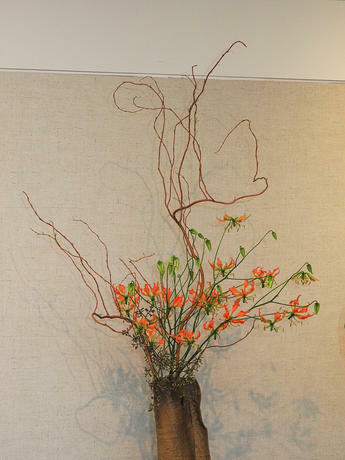 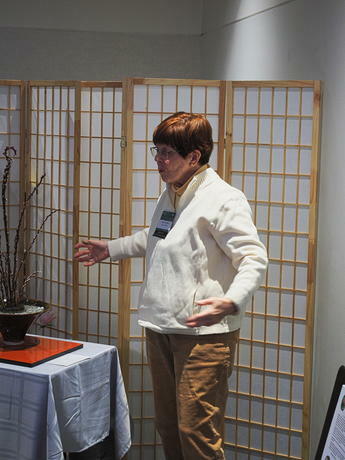 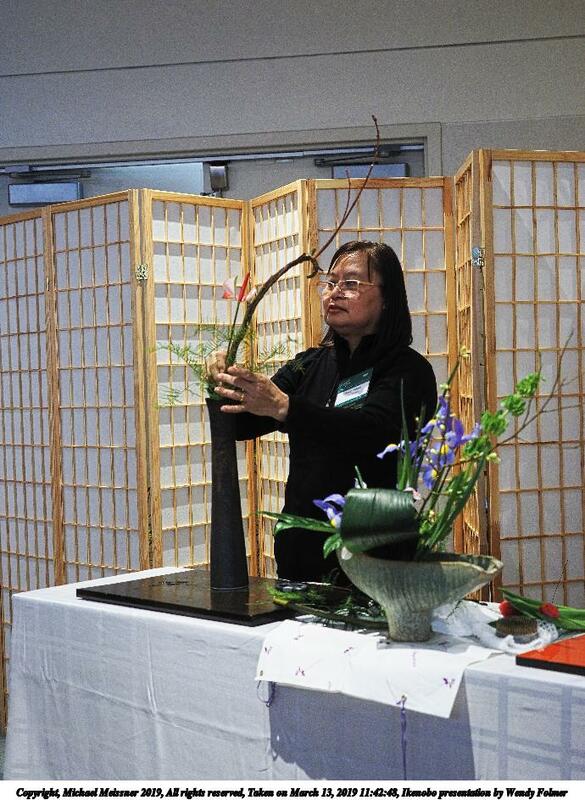 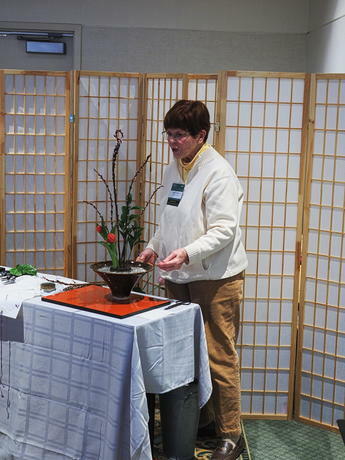 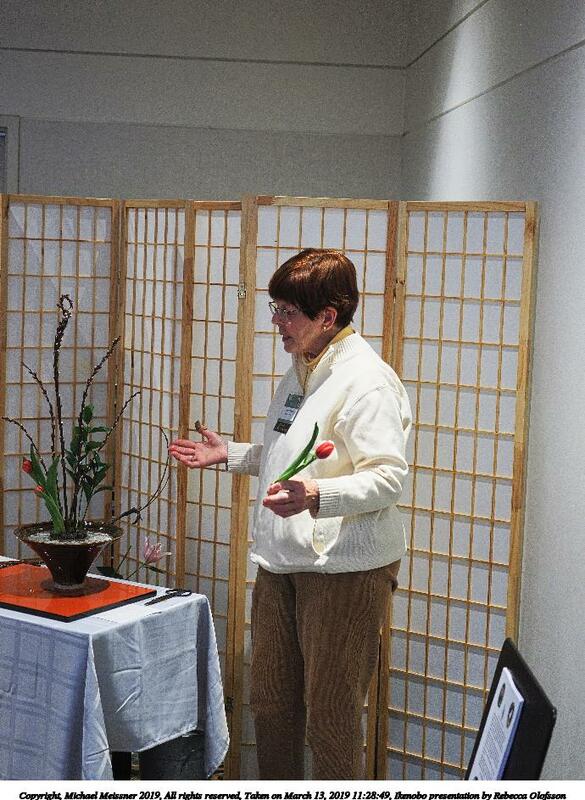 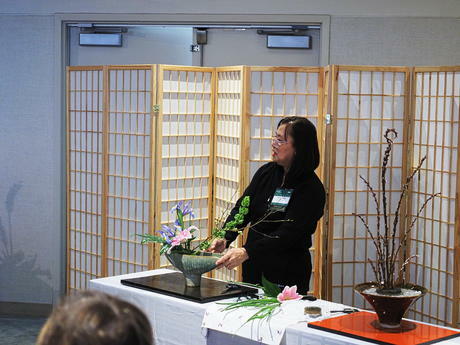 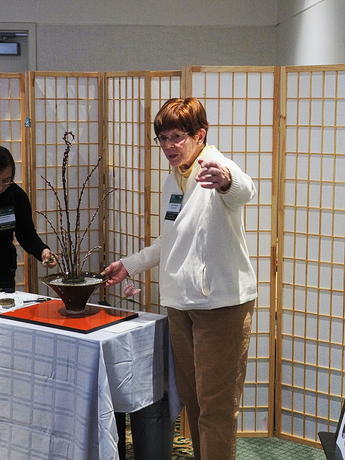 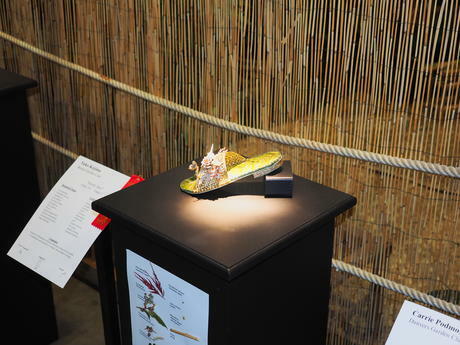 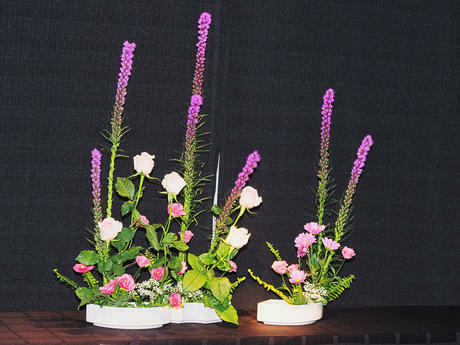 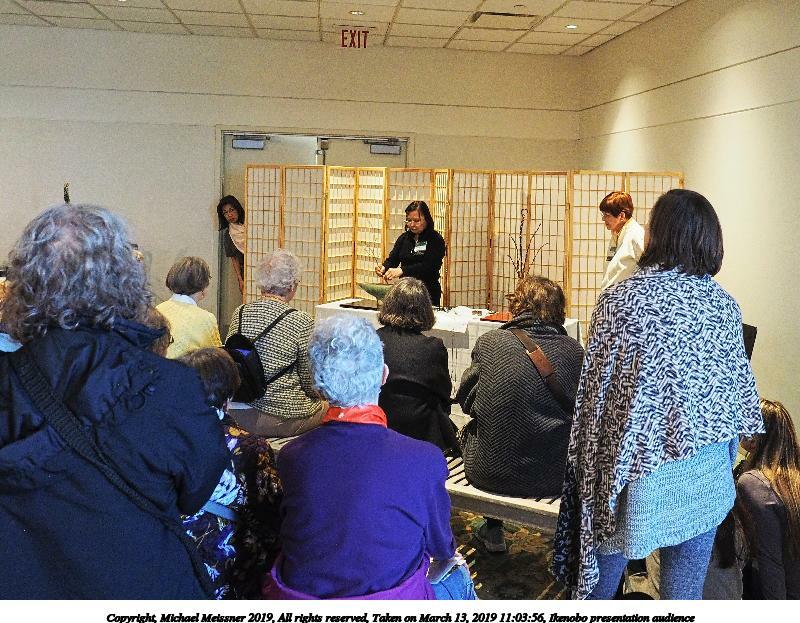 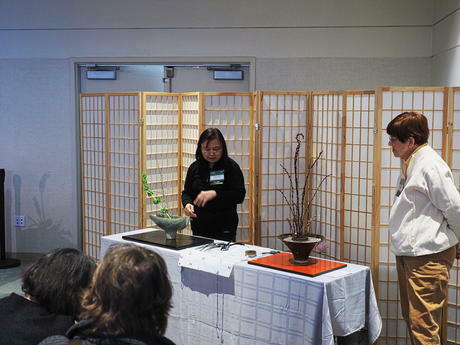 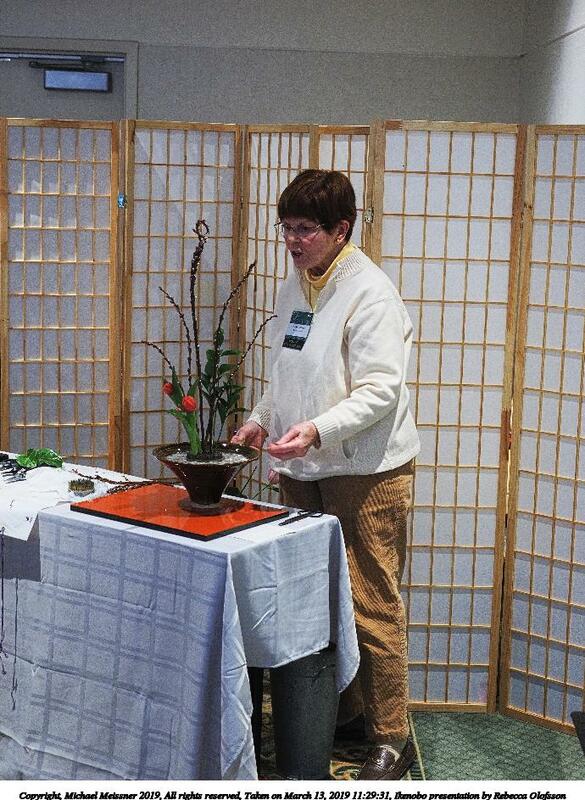 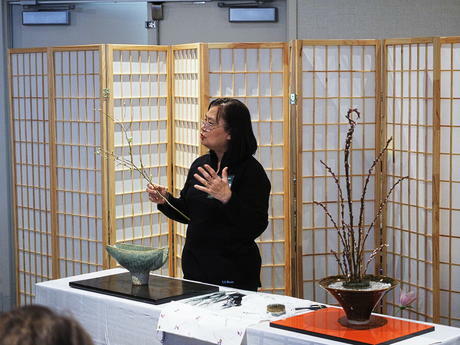 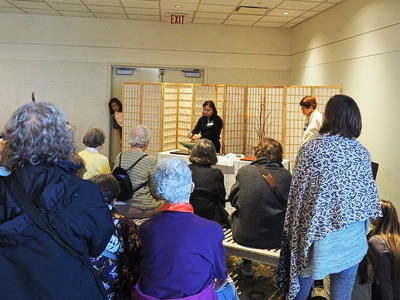 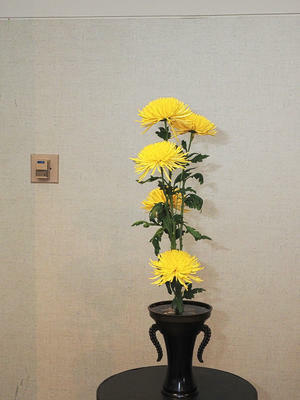 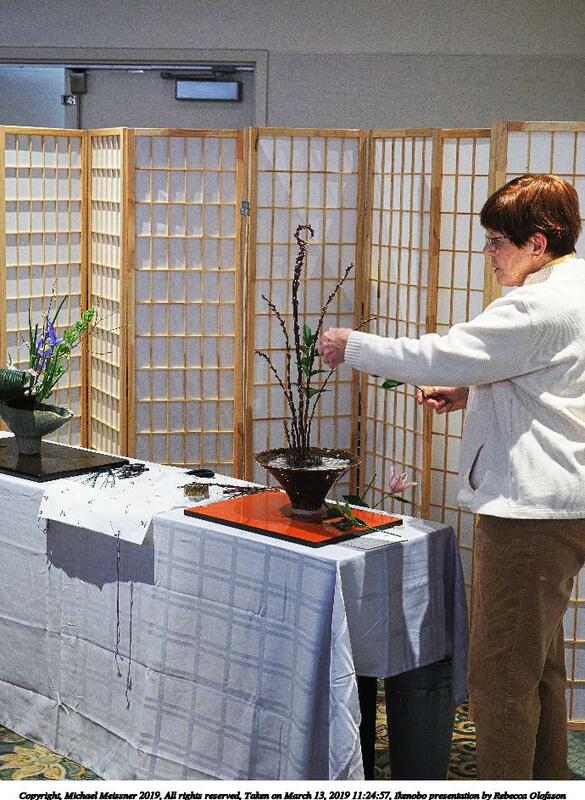 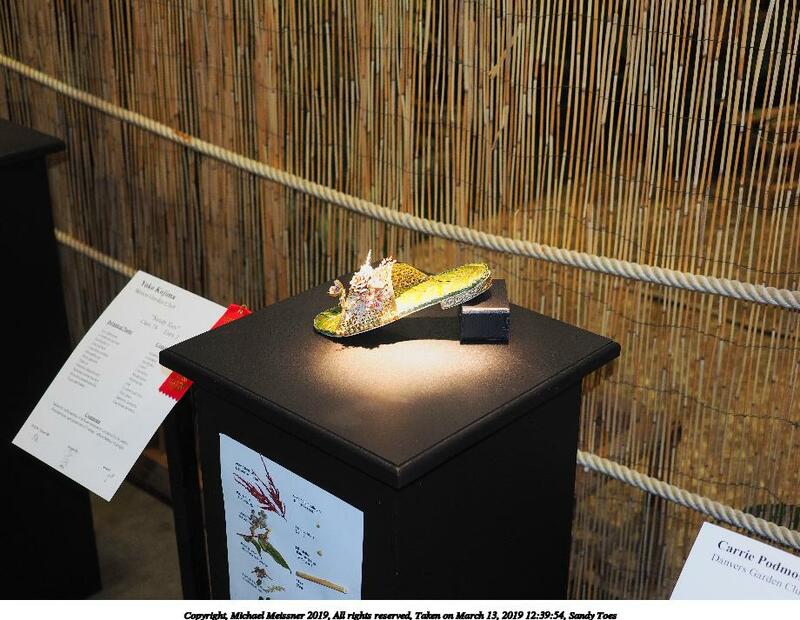 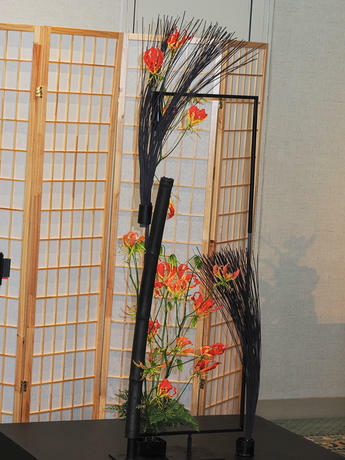 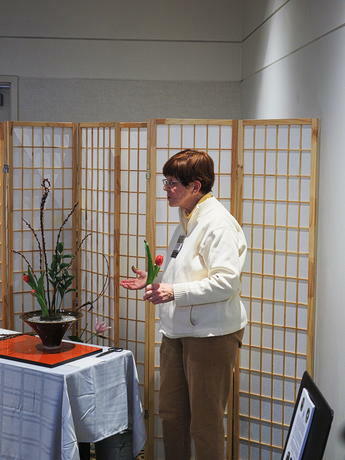 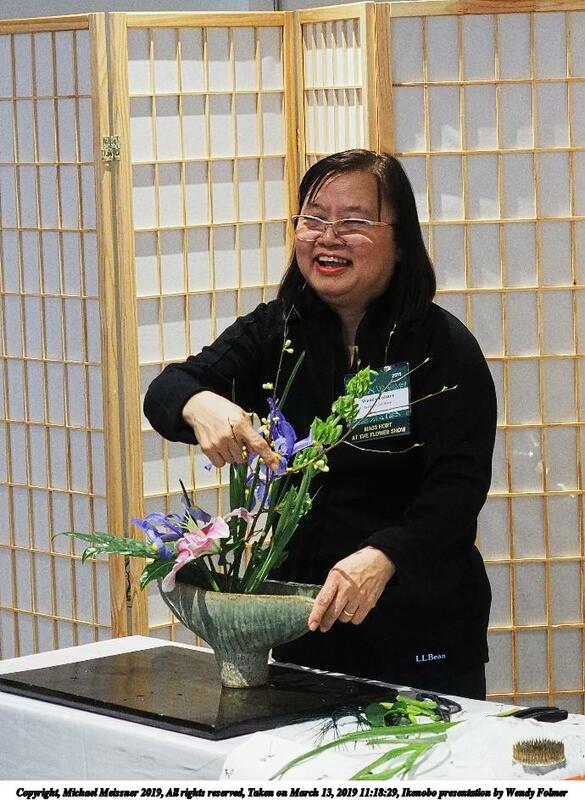 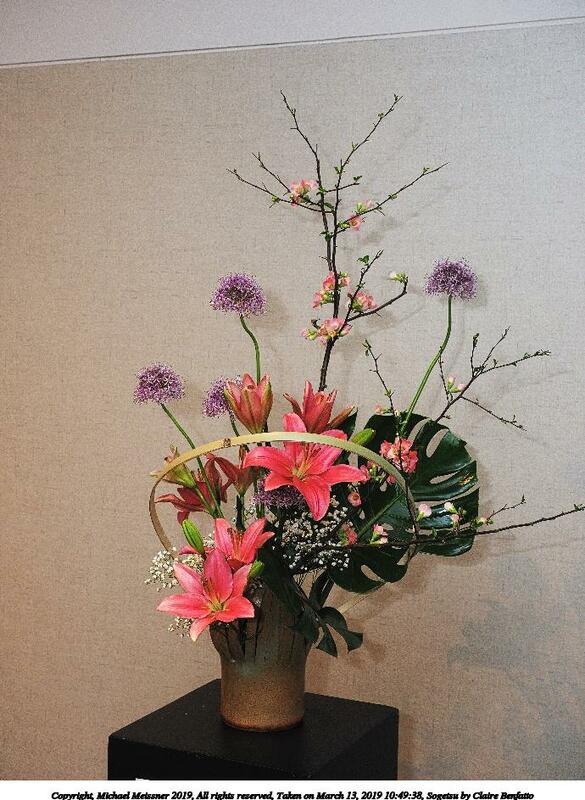 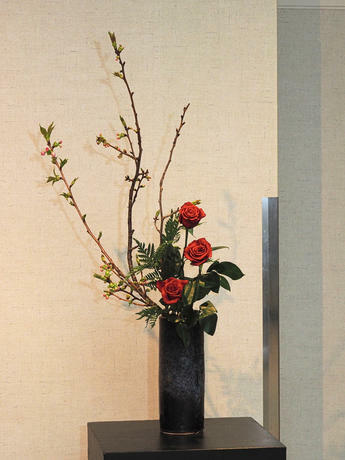 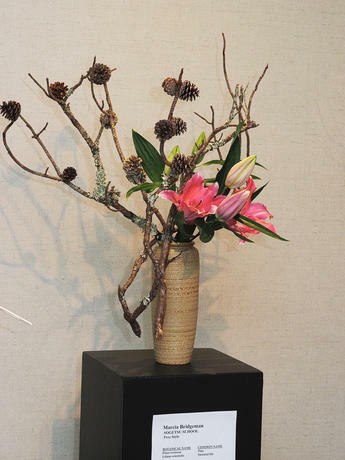 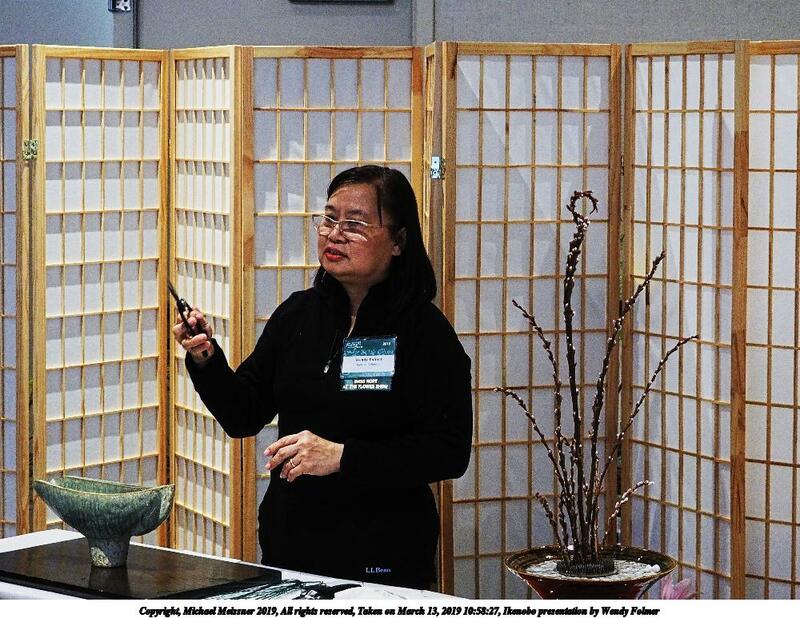 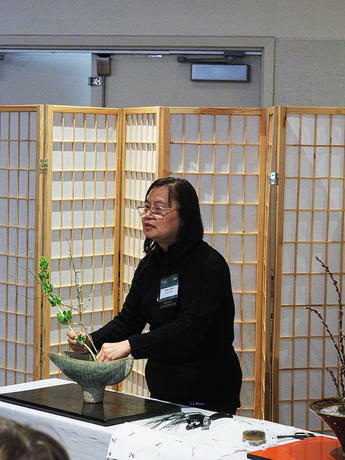 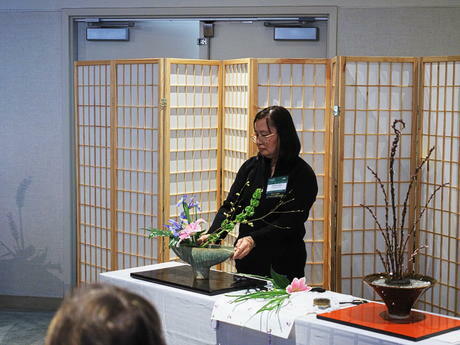 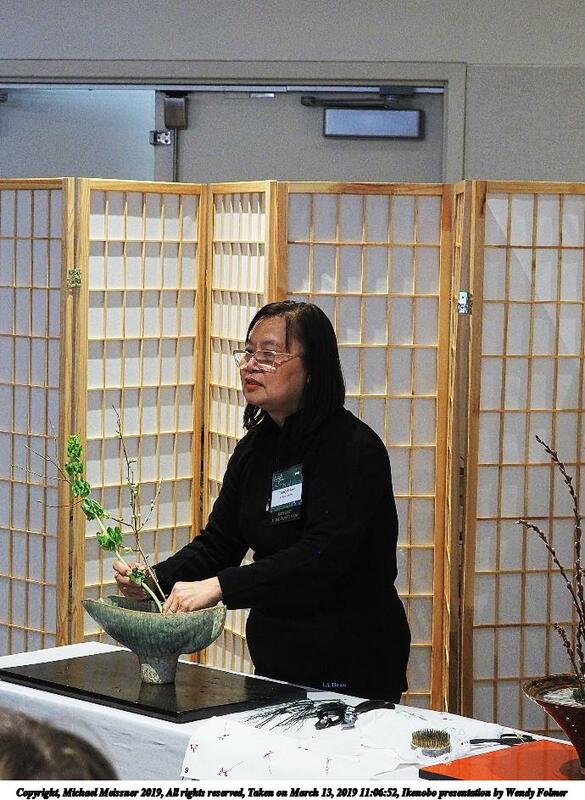 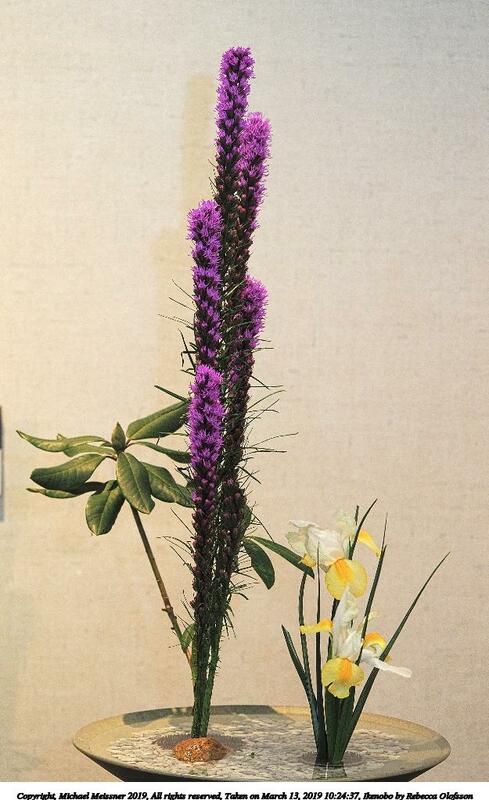 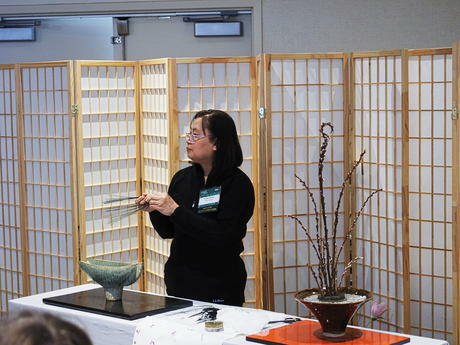 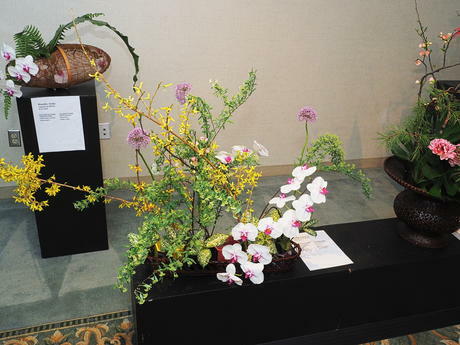 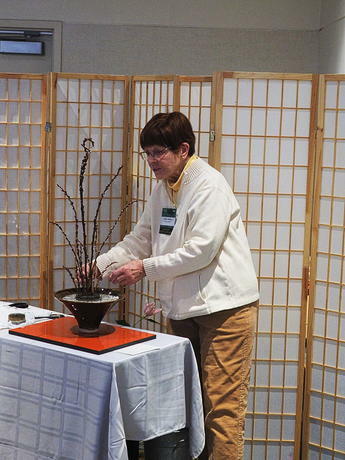 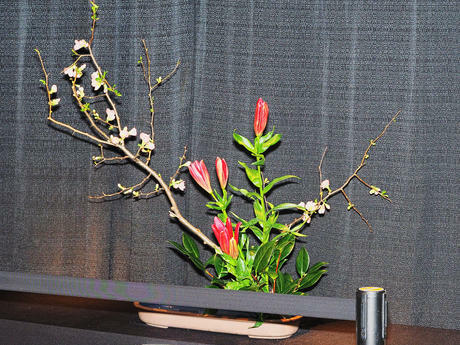 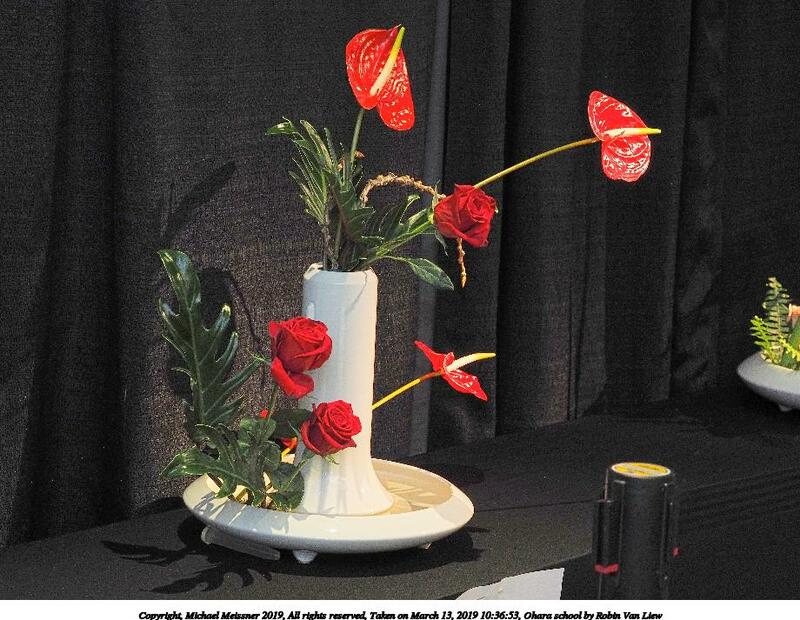 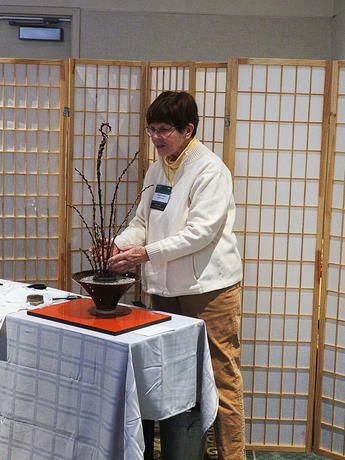 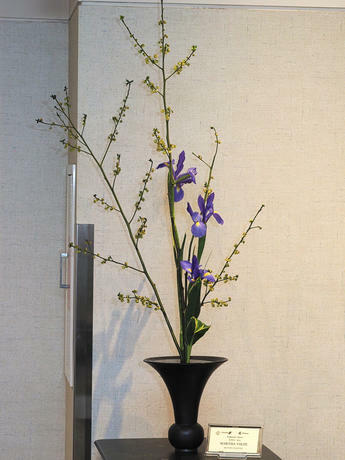 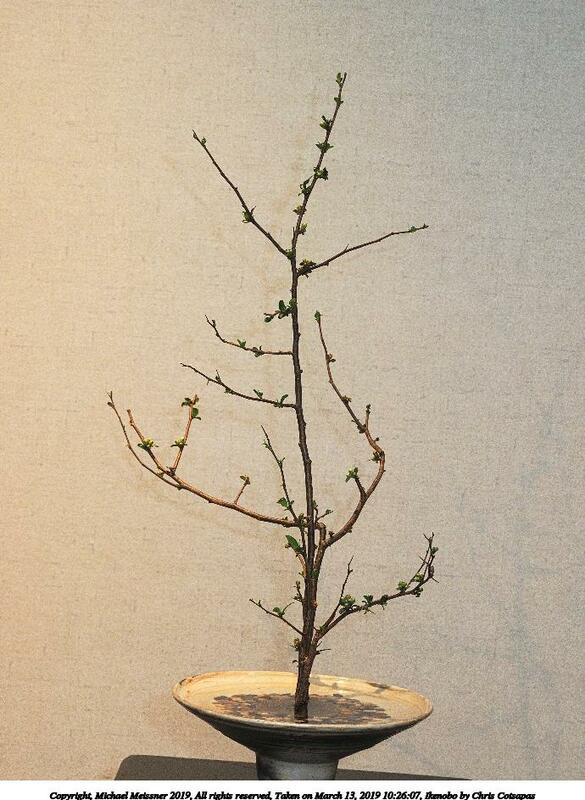 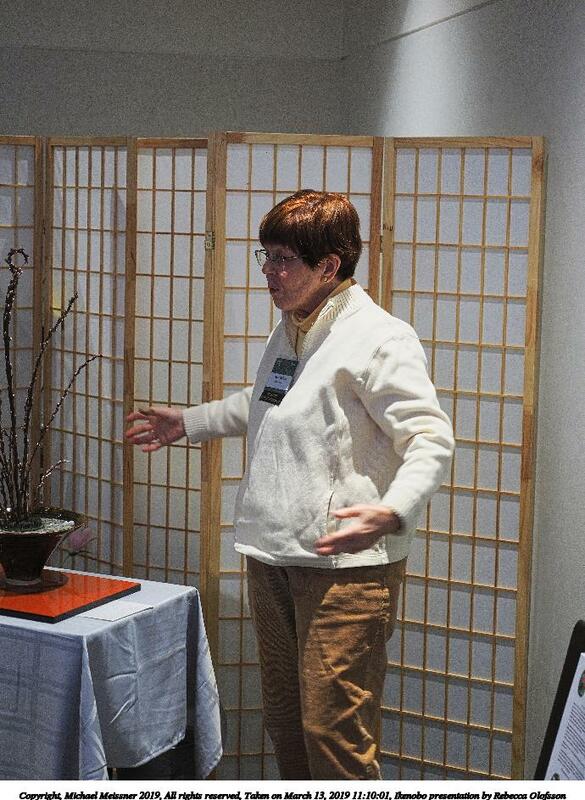 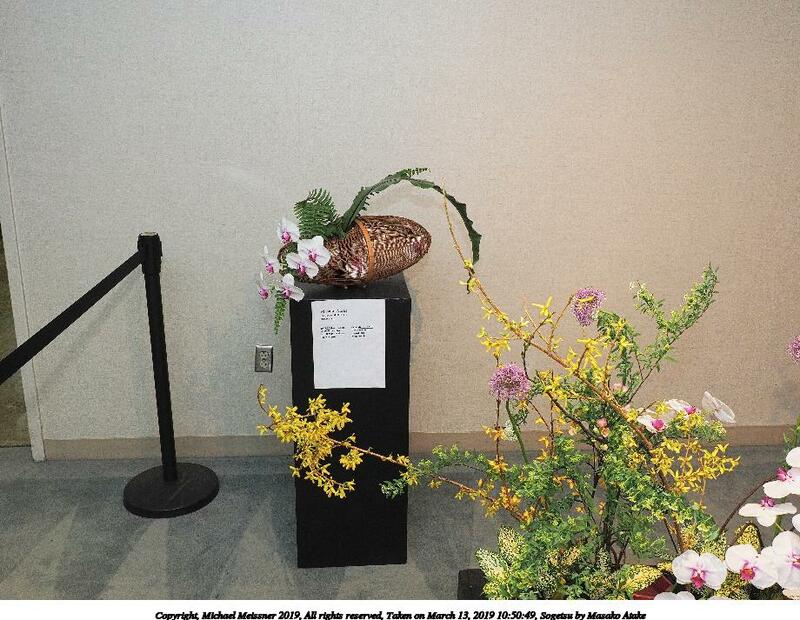 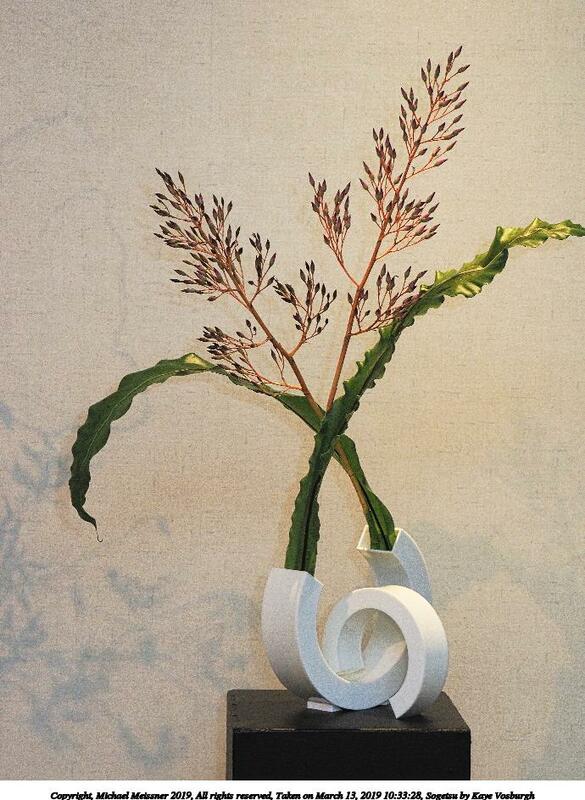 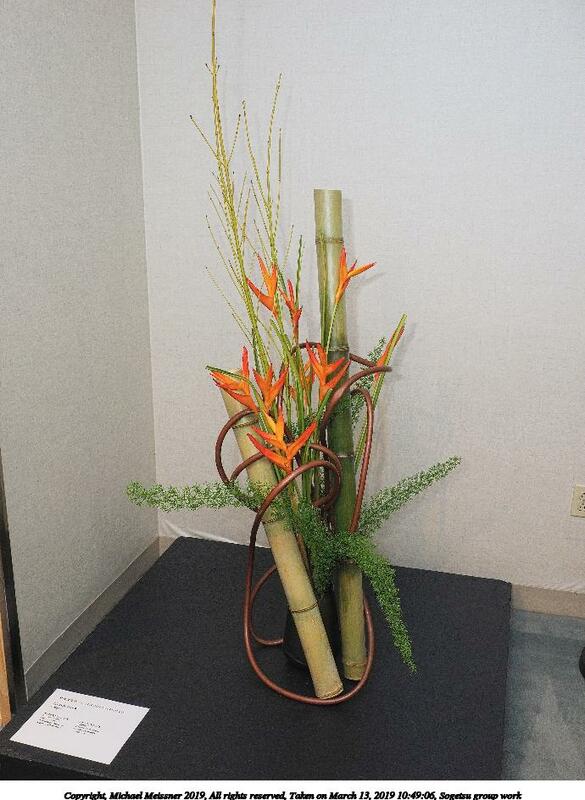 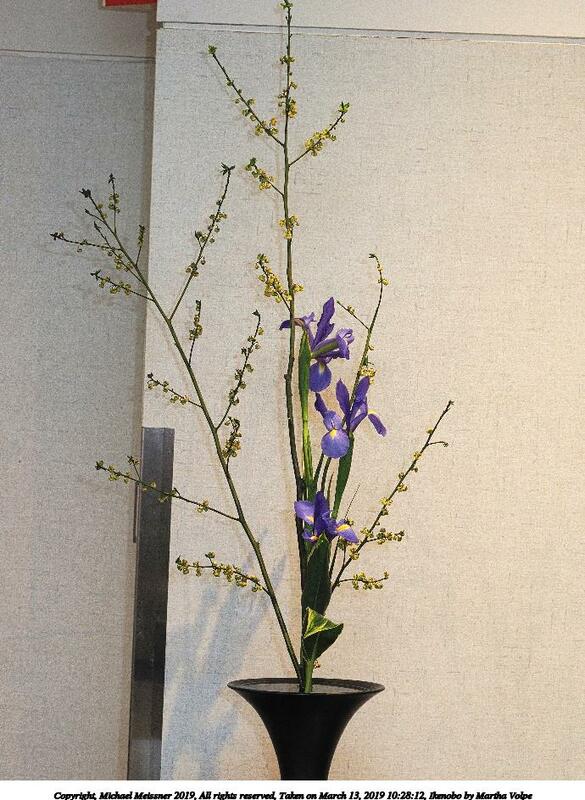 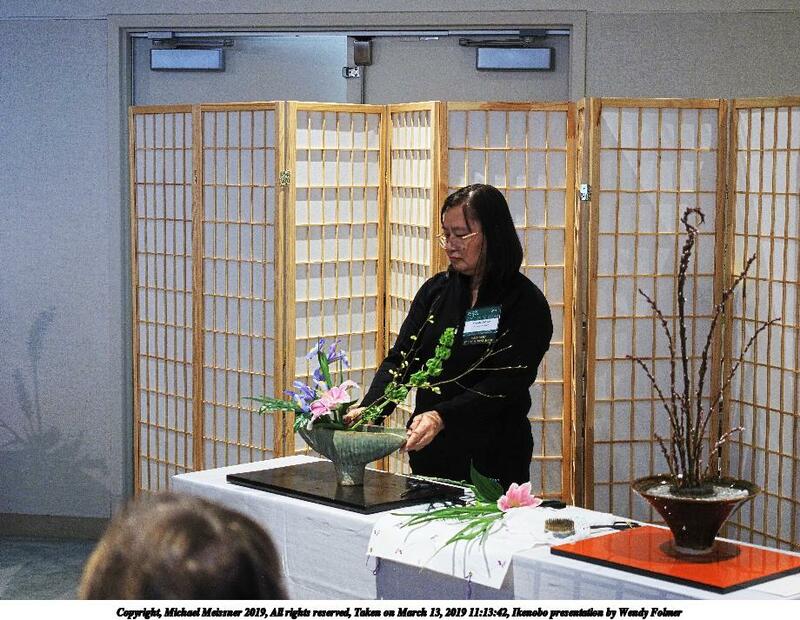 Liz's mom (Rebecca Olofsson) along with Wendy Foimer did a presentation of the Ikenobo school of Ikebana (Japanese flower arranging). 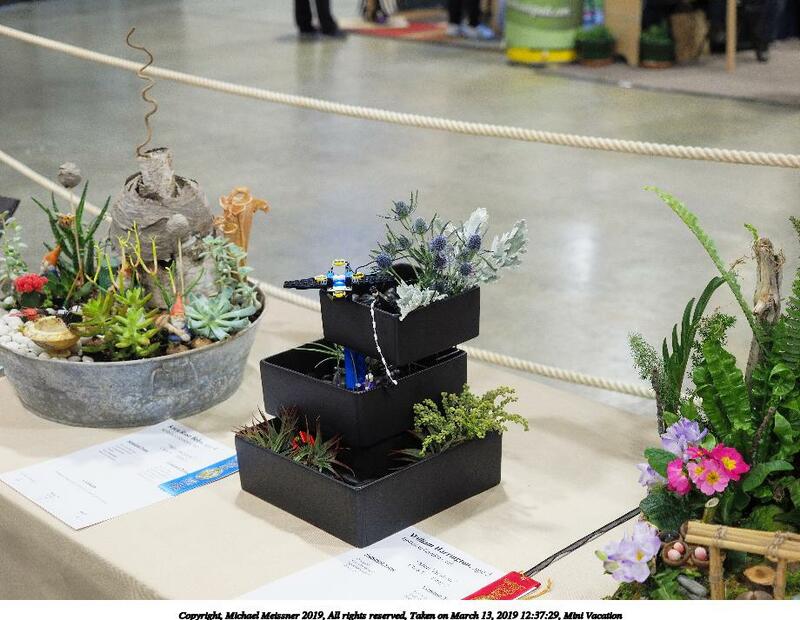 The thumbnail pictures displayed here are have been reduced to at most 500x313 or 375x500 pixels depending on the picture orientation. 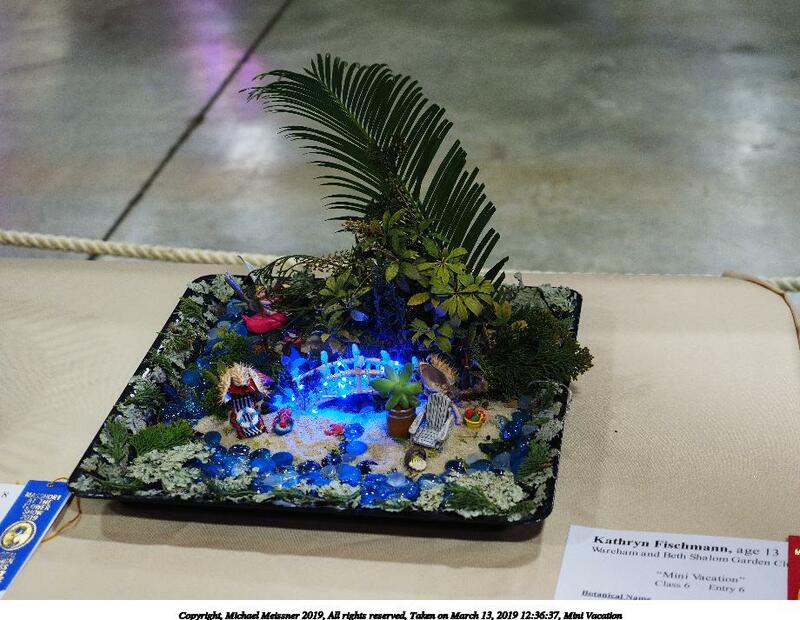 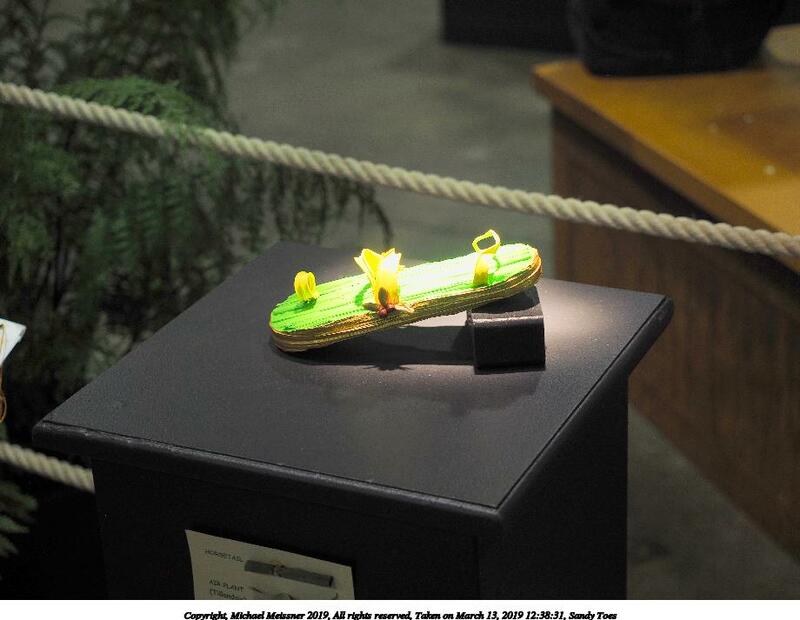 Clicking on the small file link will show you the picture that has been reduced to at most 1023x625 or 773x1000 pixels depending on the picture orientation. 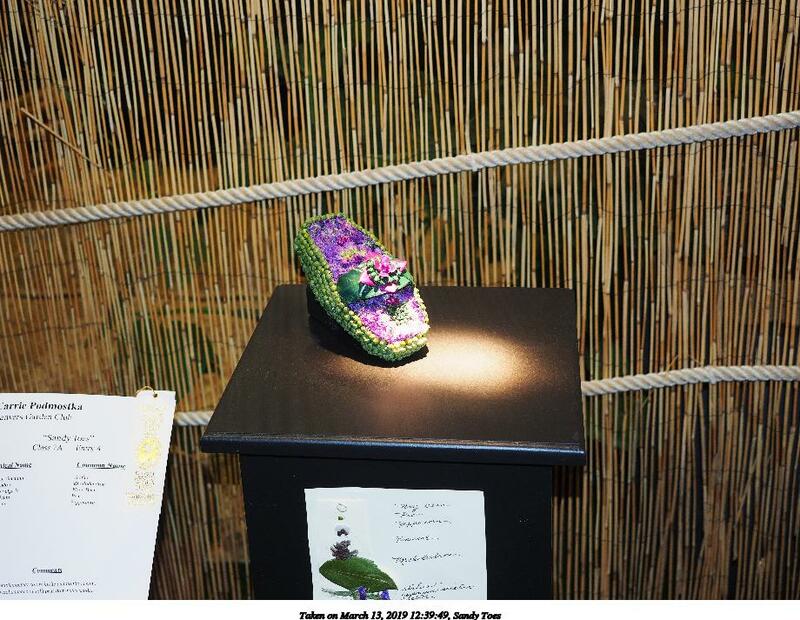 If you click on the thumbnail you will get the small picture.